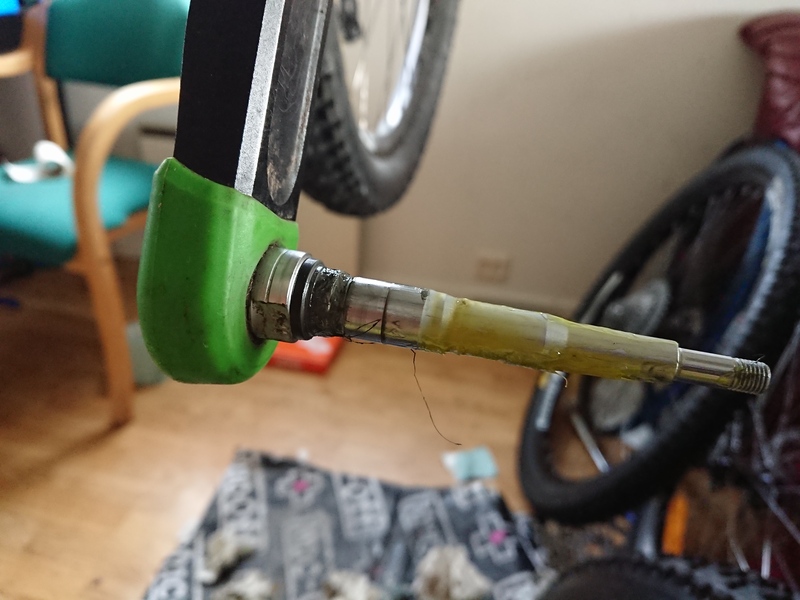 I have used this dropper post for few months, but I was feeling horrible most of January & February so did not put it to as much use as I hoped for, but also used it some in January, and trough march. 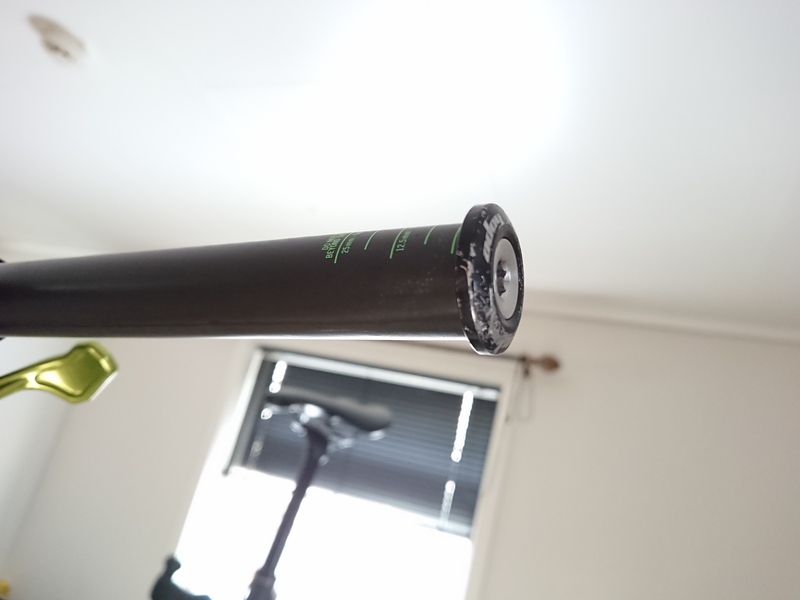 For better clearance for the cable for dropper post I flipped Timber Bell. 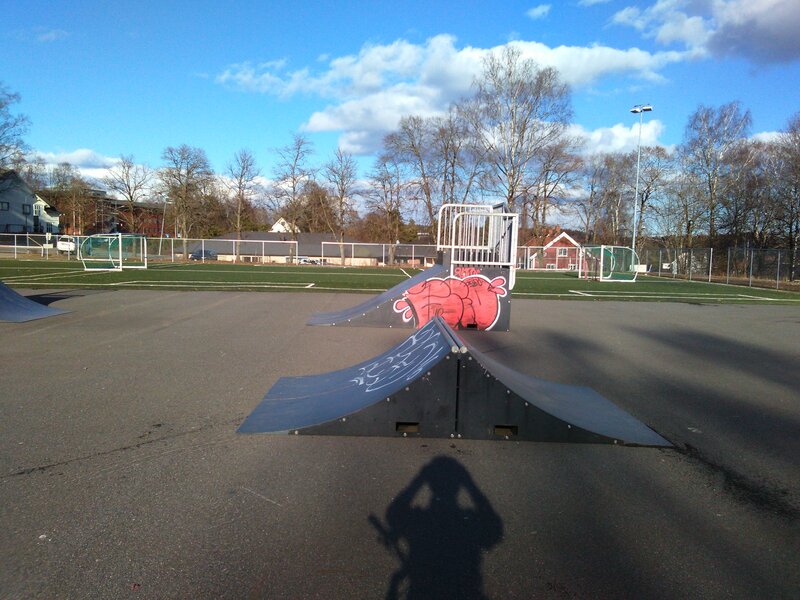 With Tesa anti slip / grip tape installed. 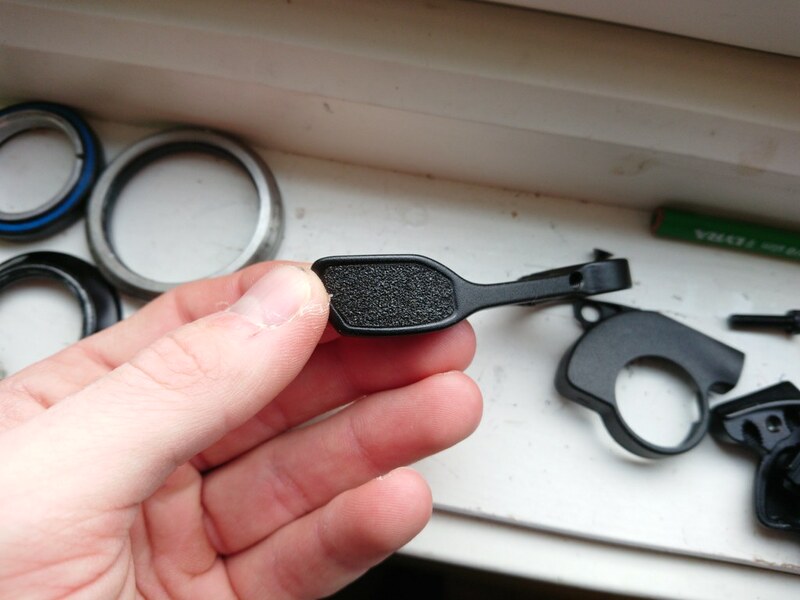 The remote came with grip tape already installed but I installed rougher grip tape, the grip tape that came with it showed slight signs of wear, but I prefer the rougher grip tape. 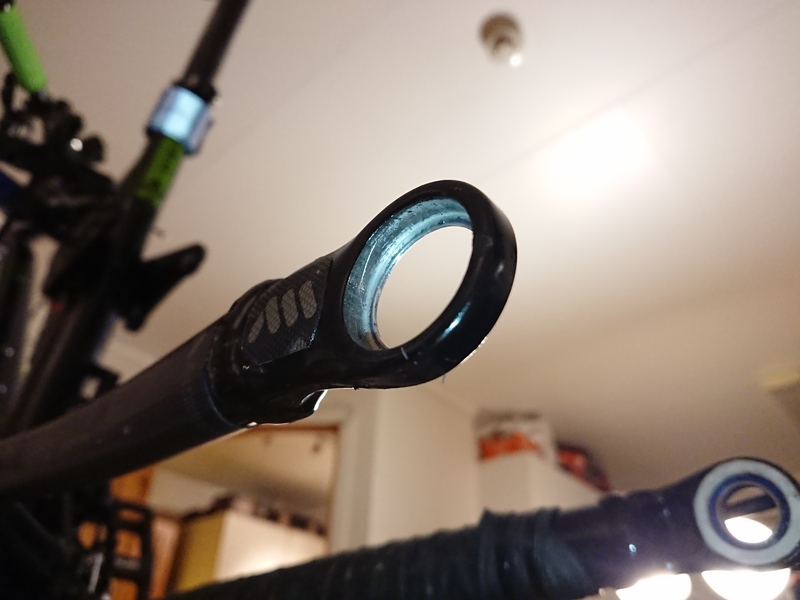 After few weeks of riding the stanchion got a slight discolouration about a cm below the top it is where when the it’s fully down, it’s I side the collar, I am not sure why this happen, but it’s barely visible, and try to get it to show on photo. 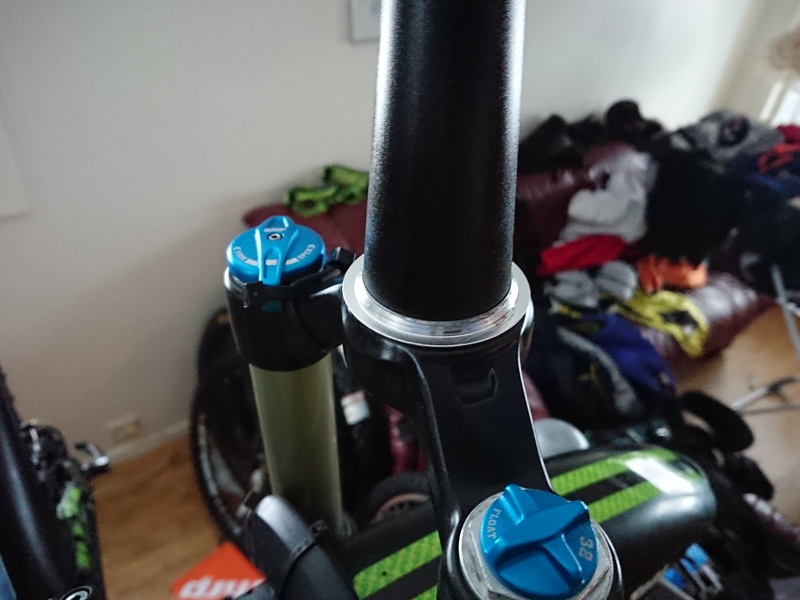 You have to have weight on the middle to drop it, but not a problem, if done like that it drops smoothly, it’s faster than Turbine dropper, so light feel drop, this is not surprising at all nor is this a major flaw. 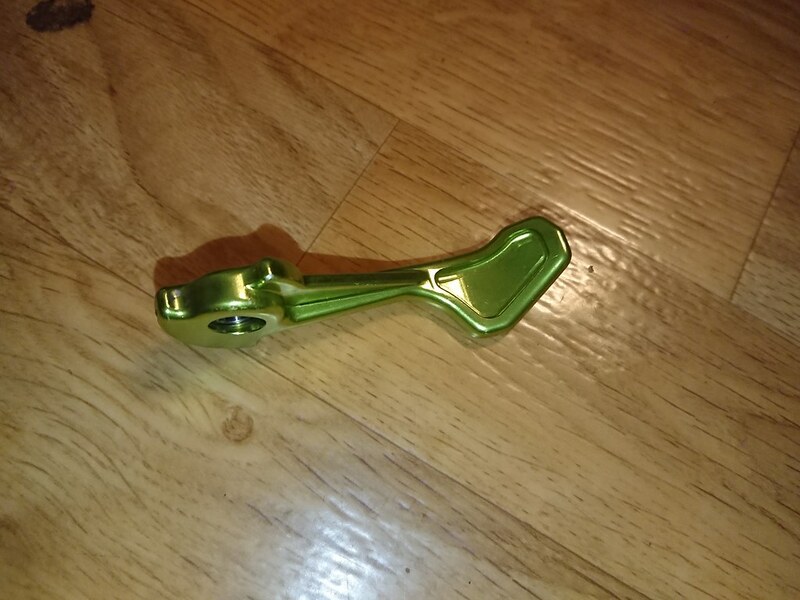 The slot for the brass key holding the head straight is too wide so the head rotates few degrees, this could be felt when riding, especially if doing wheelies There is also up & down play, forward backward rocking play, so a lot more play than the Turbine, which only had side to side rotational play. 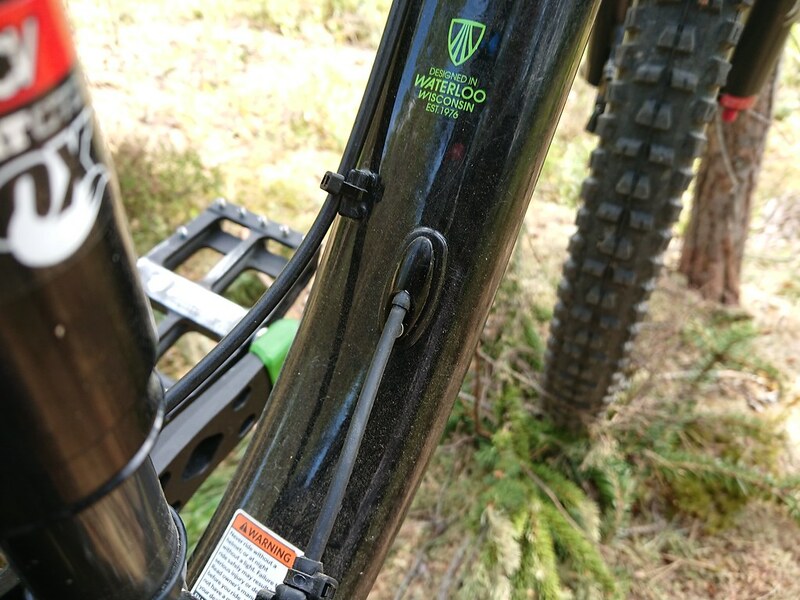 The top of the stanchion gets very grease after a long ride with dropping the saddle a lot, a lot of up and down, combined with rocking play back and forth. 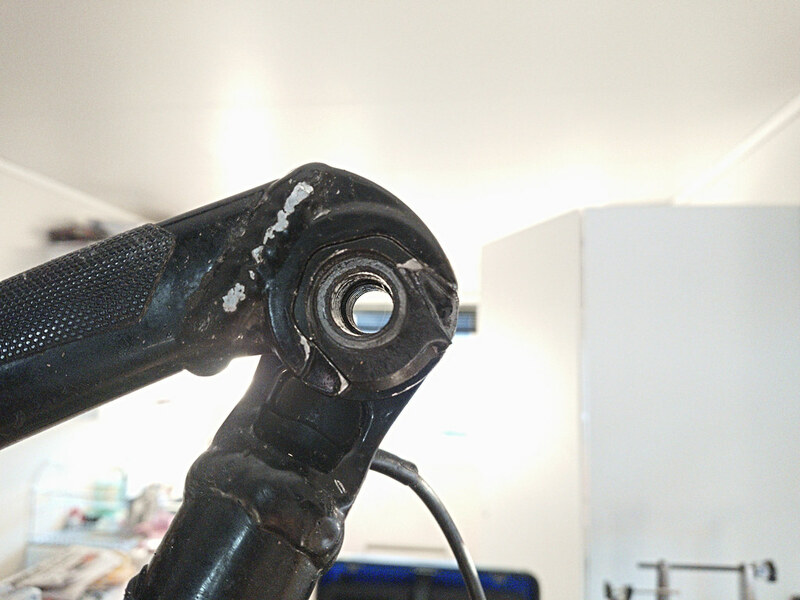 Clamp head saddle rail bolts can get loose, and might undo enough for the saddle to slip back, I think it’s due to temperatures changes & the loads, this is what happens when you take the bike out from the warm home out and ride for few minutes in subzero temps, this has happen with the Bontrager rigid post too, also the Race Face Turbine post. 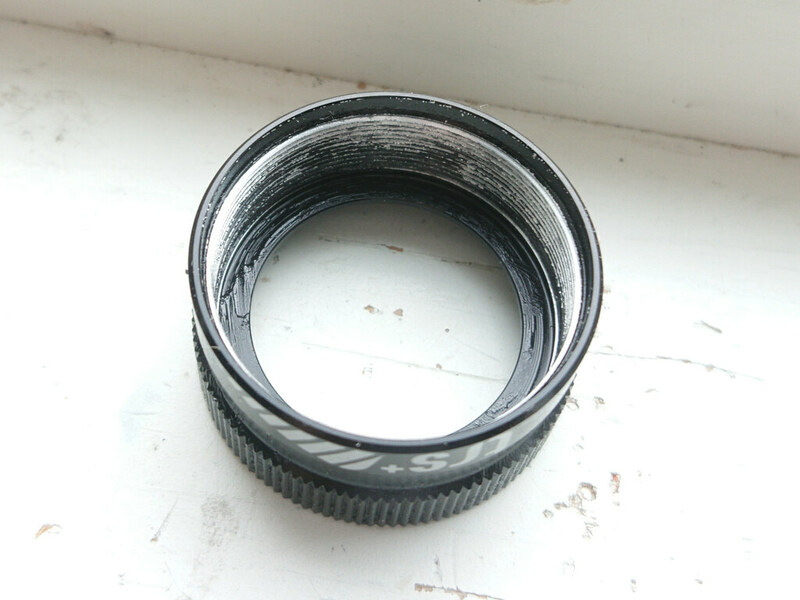 When I got home I had to fix this, and yes I had on Loctite 243, but this eventually happens anyway, Loctite eventually needs reapplying. 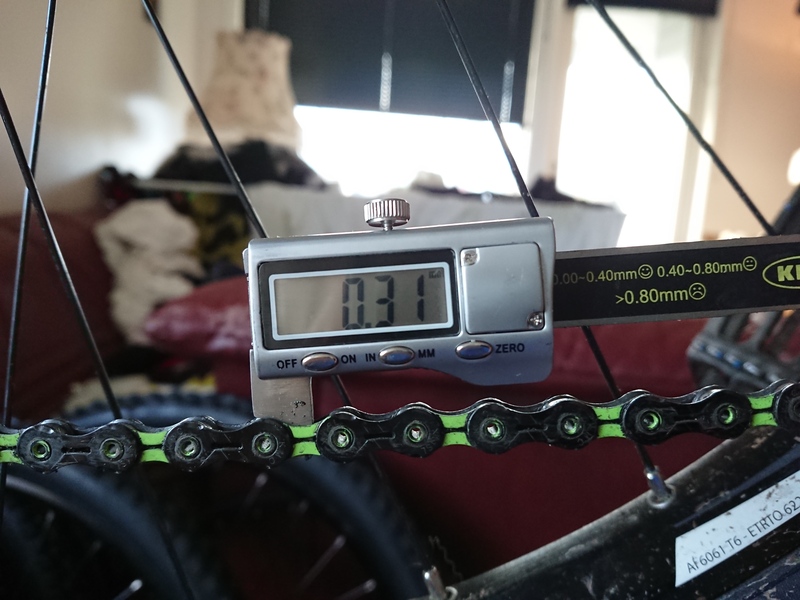 So a multi tool is a must, even if everything on the bike has been checked, i had to do this every time, but of course how much it loosened varied. 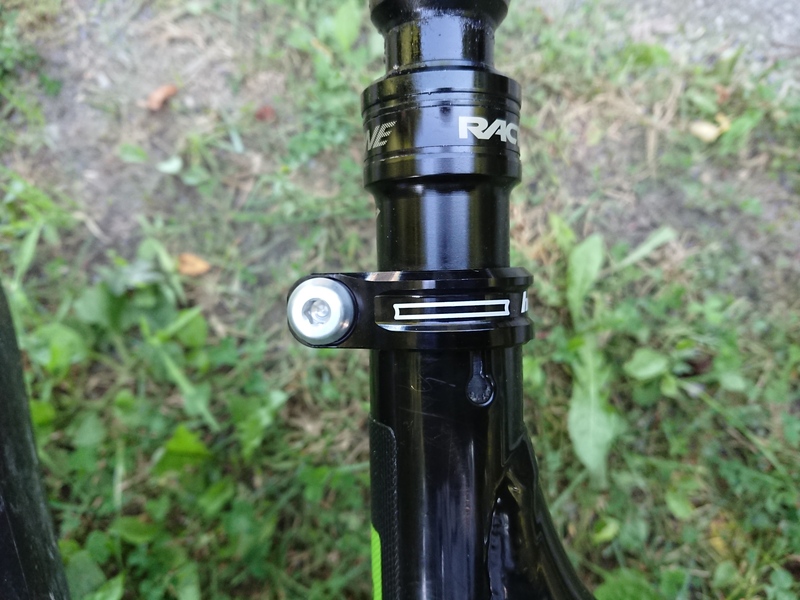 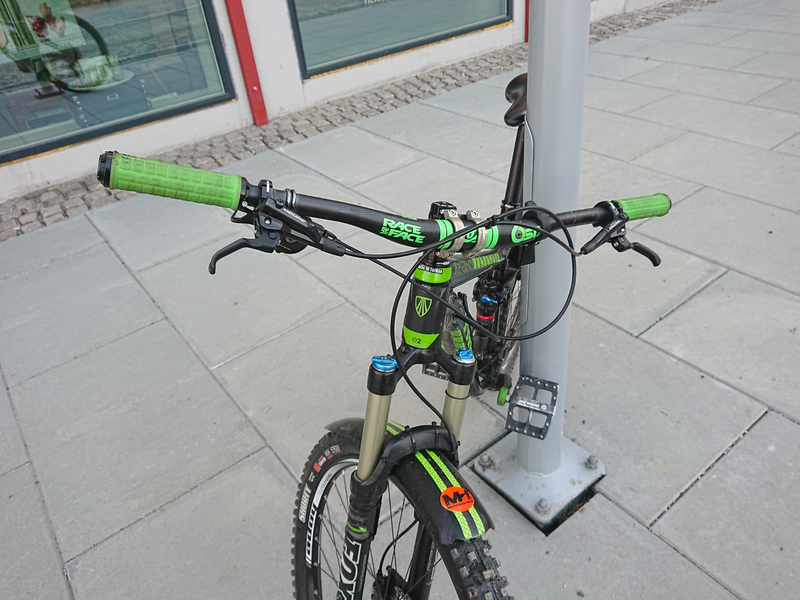 But I haven’t had issues like this on the Renthal Apex stem, but with Atlas Stem I had to Check it before and after every ride, and during ride to be sure bolt’s did not get loose and the handle bar were spinning. 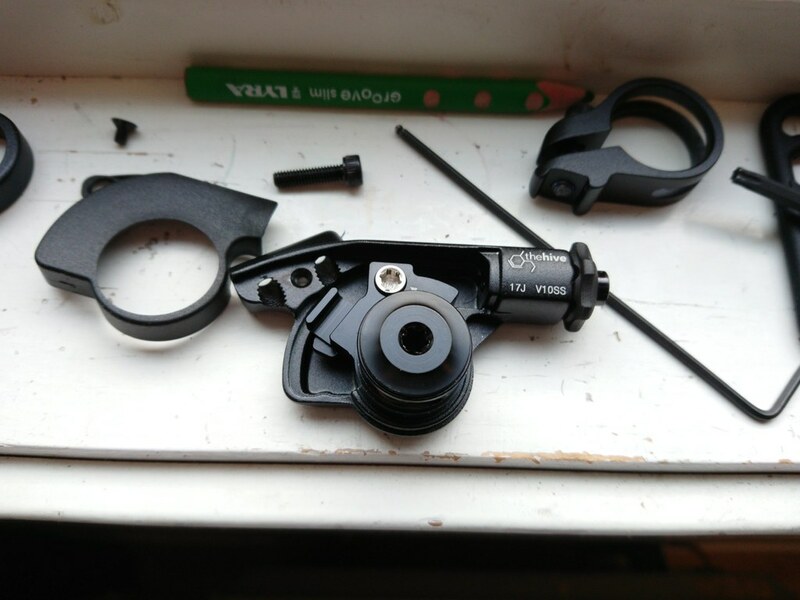 also I got issue with Hope Tech Seat post clamp & Shimano brake levers too. 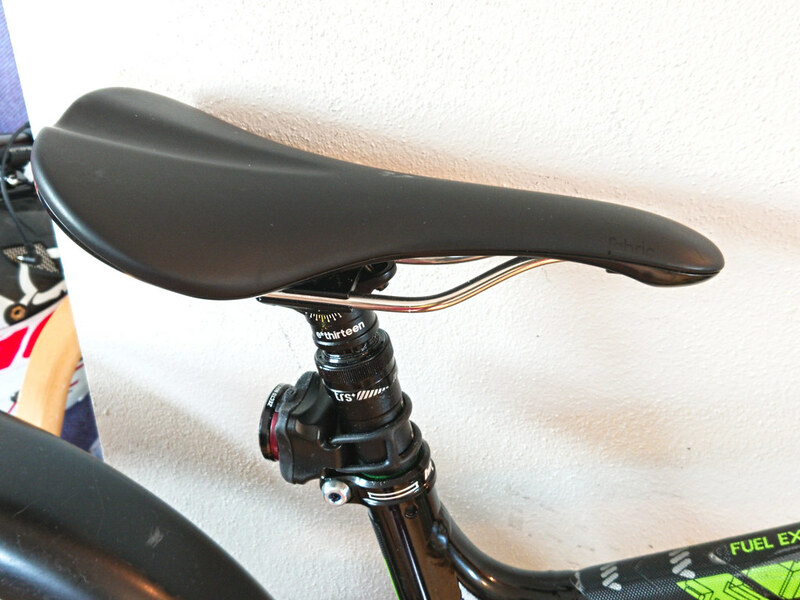 the bolts might undo enough for the saddle to slip back, but these are side effects rapid temperature change, shrinking things slightly, of course different materials will be effected at different rates. 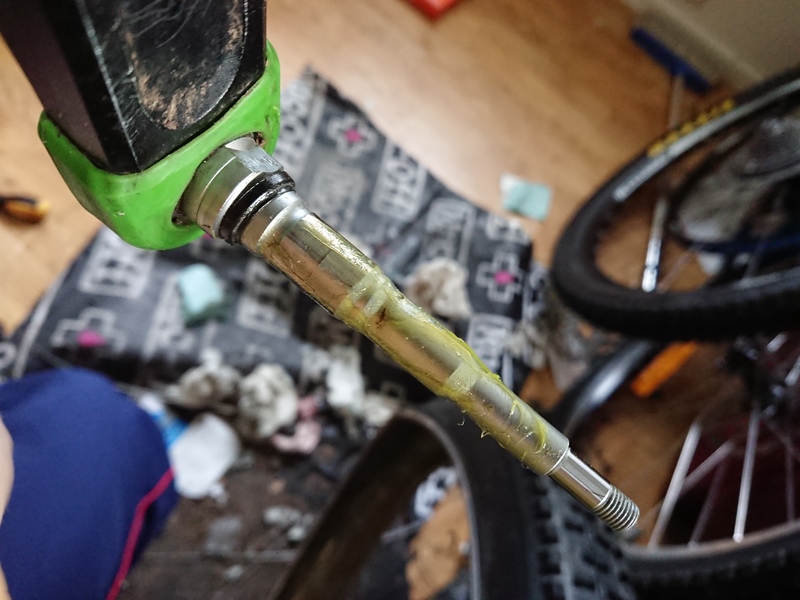 You just have to expect this and tighten it down when you are out and check suspension too see if pressures are right, because it can drop a lot, so if this post was a air post it would need to to work with something like 10psi drop or increase, but as this is a mechanic dropper post you don’t have to worry about the pressure. 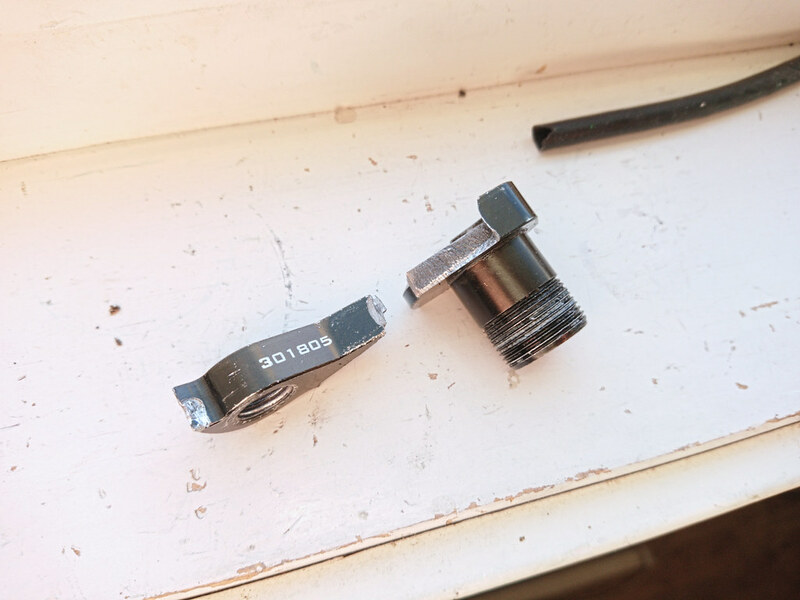 Once when greasing the collar and screwing on the collar there was resistance, it turned out to be the dust wiper seal which has was skewed, and got worse when threading the collar on, so I had to take the collar off, and hammer it in using a bearing press block. 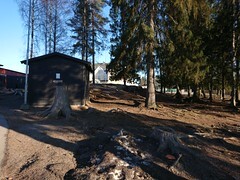 I don’t know why this happen, but I suspect it might be the play in the post, the front to back rocking. 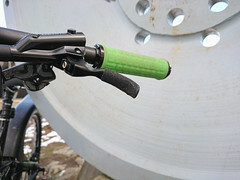 The lever has nice ergonomics. 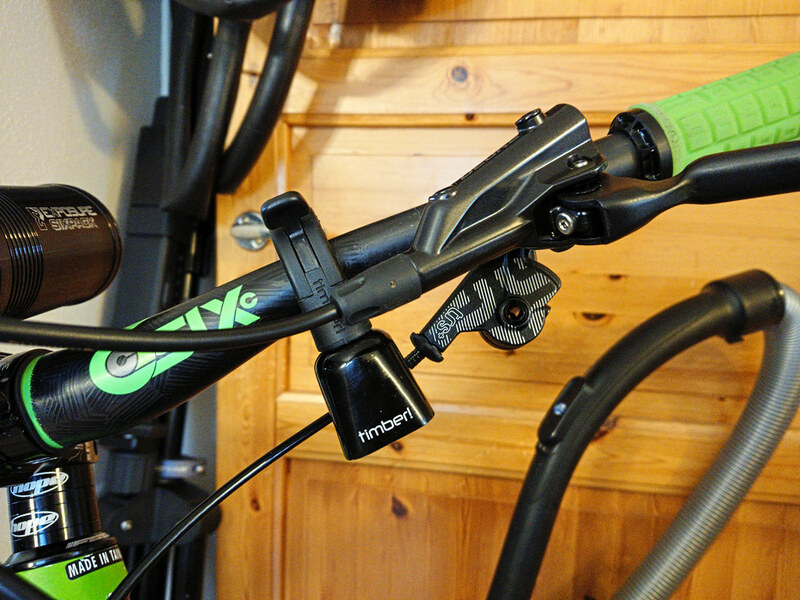 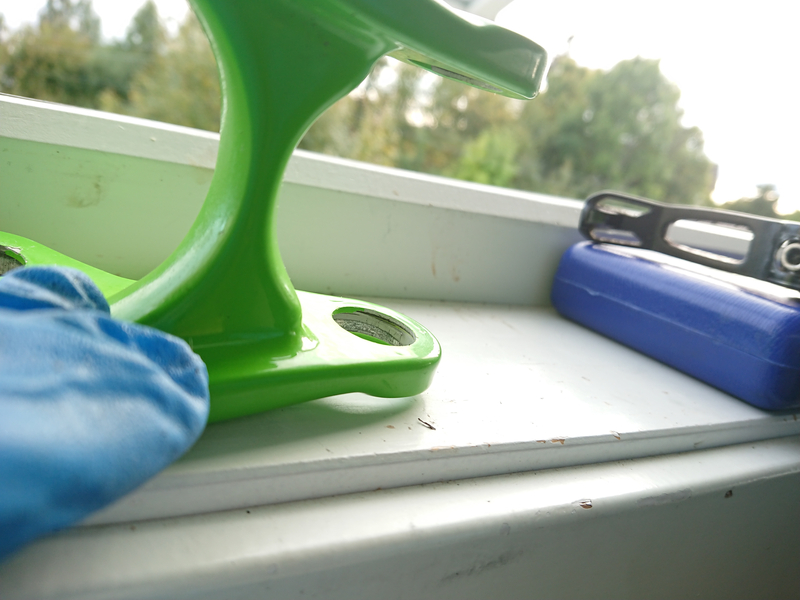 The Torx bolts in the seat clamp have not worn out after several weeks of use, it looks promising. 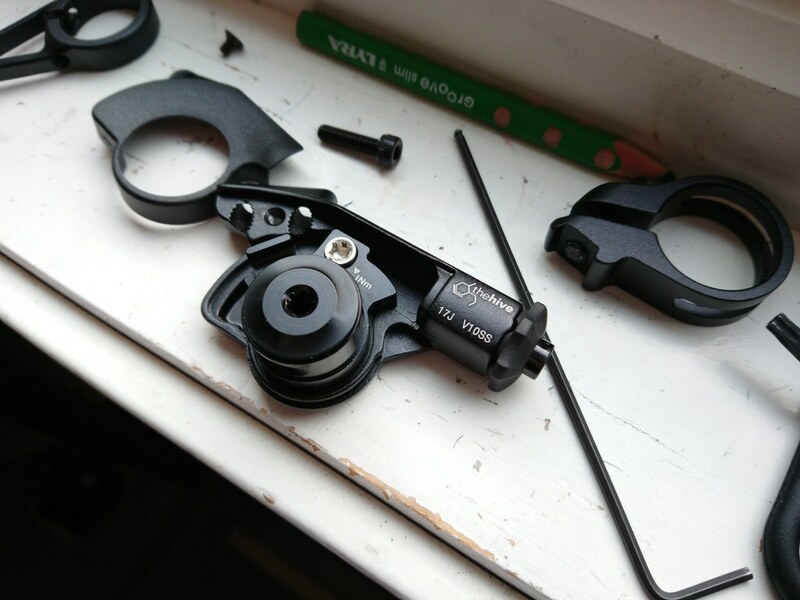 The barrel adjuster on the lever for wire tension has not snapped or bent yet, so it looks promising. 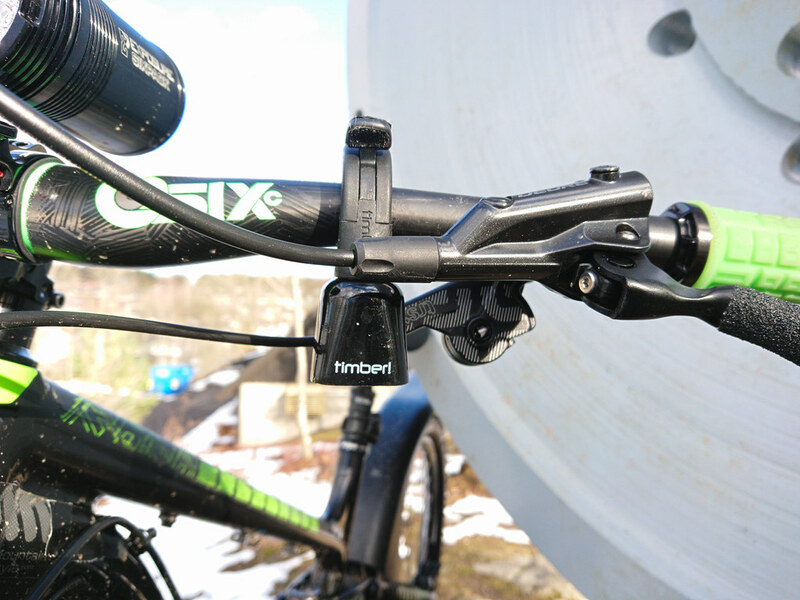 the dropper is easy to service with common tools. 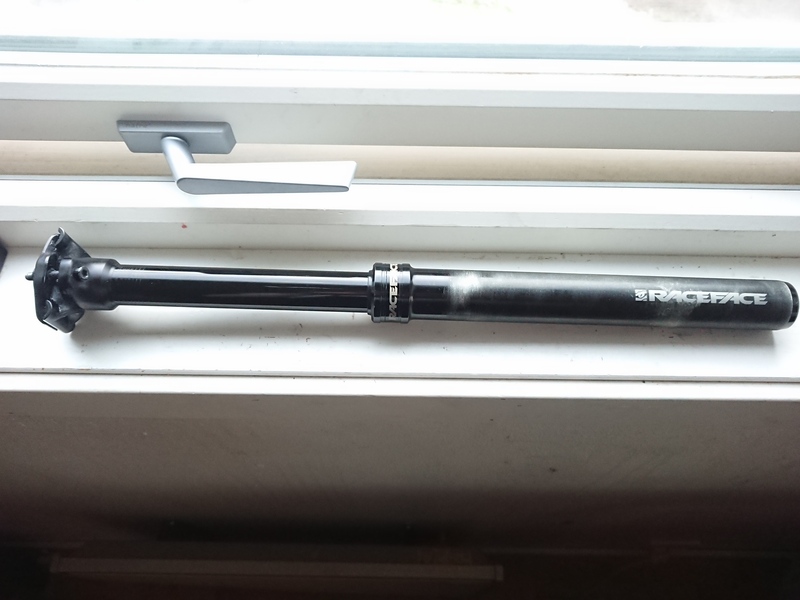 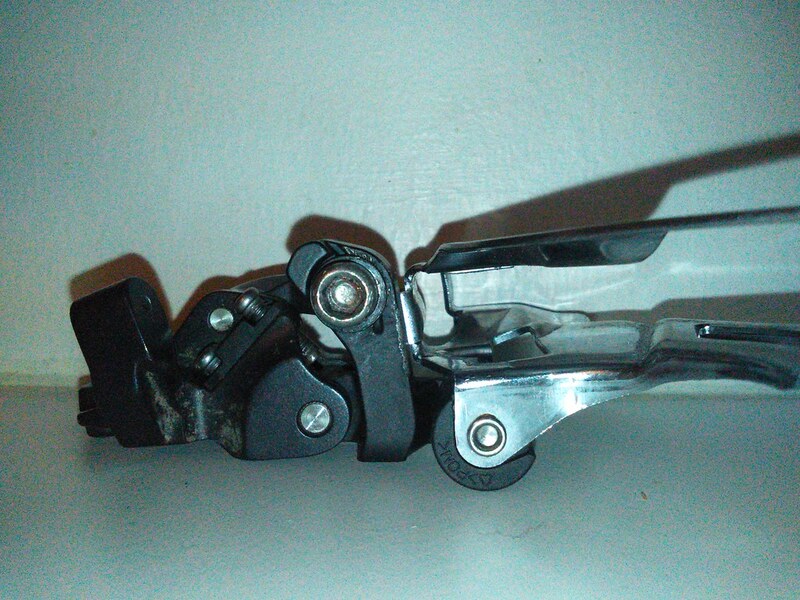 It has two springs and have plastic spacer holding them in together. 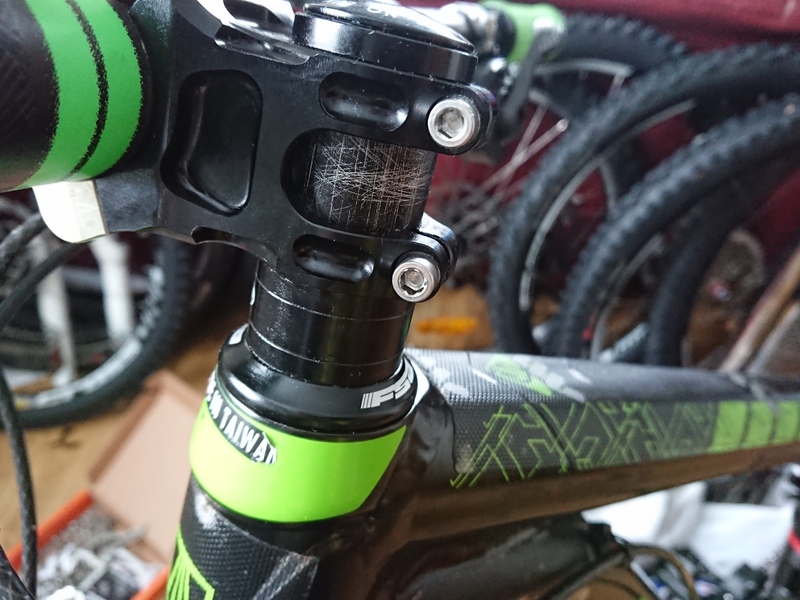 I use Mudgugger Rear so the dropper post stanchion is a lot cleaner than without a mudguard, but some dirt will stil get there, fro mother directions. 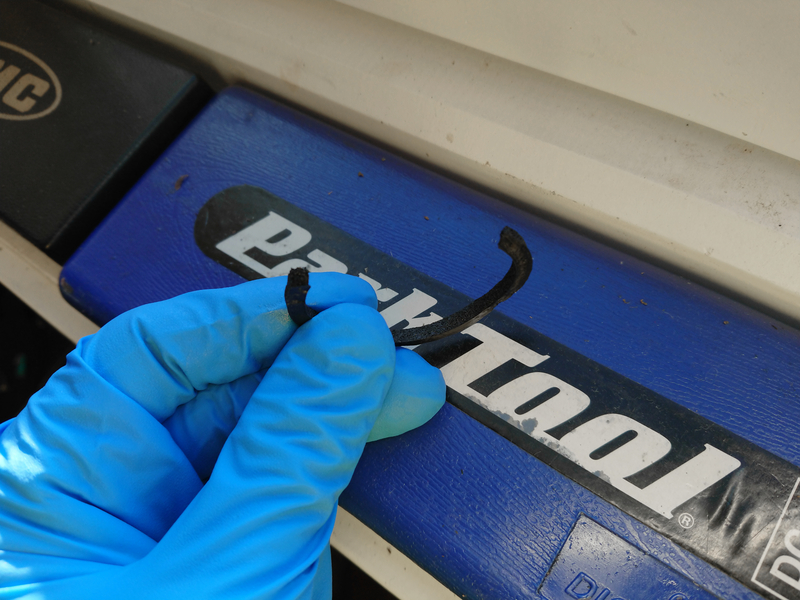 It uses a NAK WP35 25 dust wiper seal. 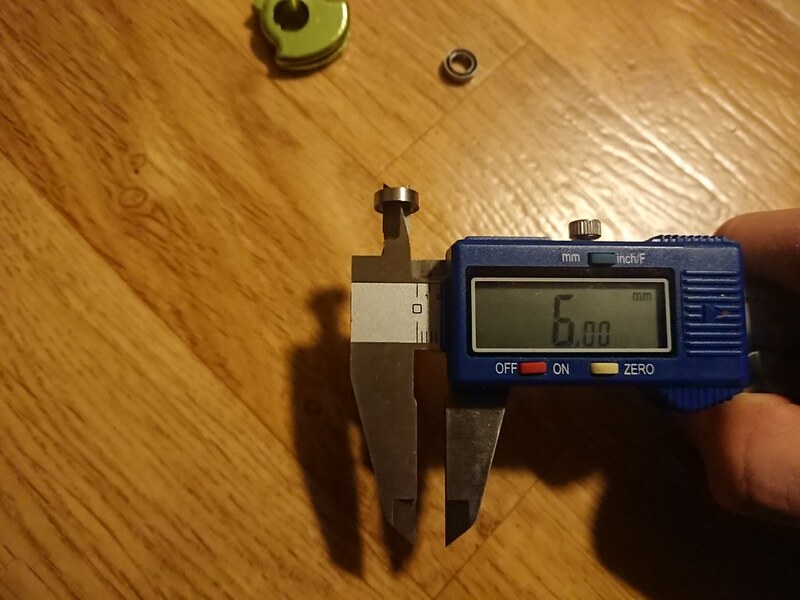 35 is probably 35mm 25 probably is 25mm which are the measurements of this seal. 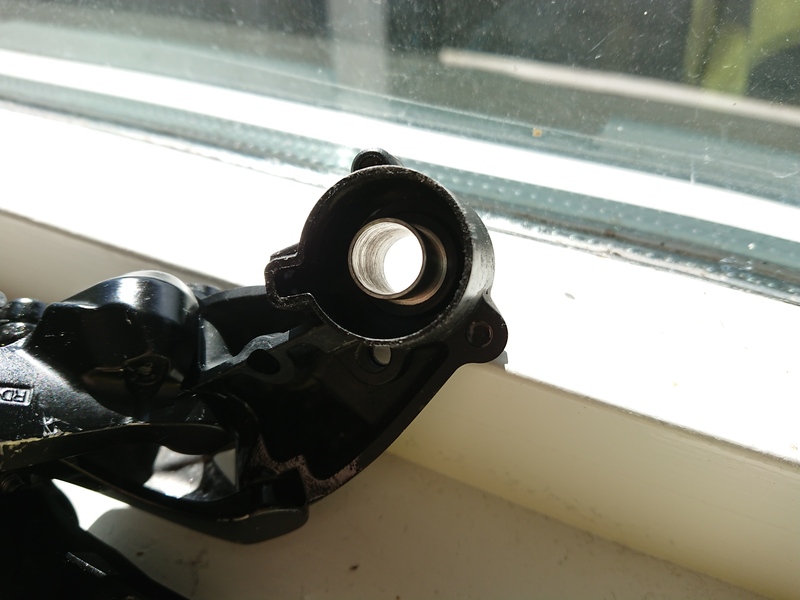 I know the first version had SKF wiper seal, but I don’t know why the switch or exact differences. 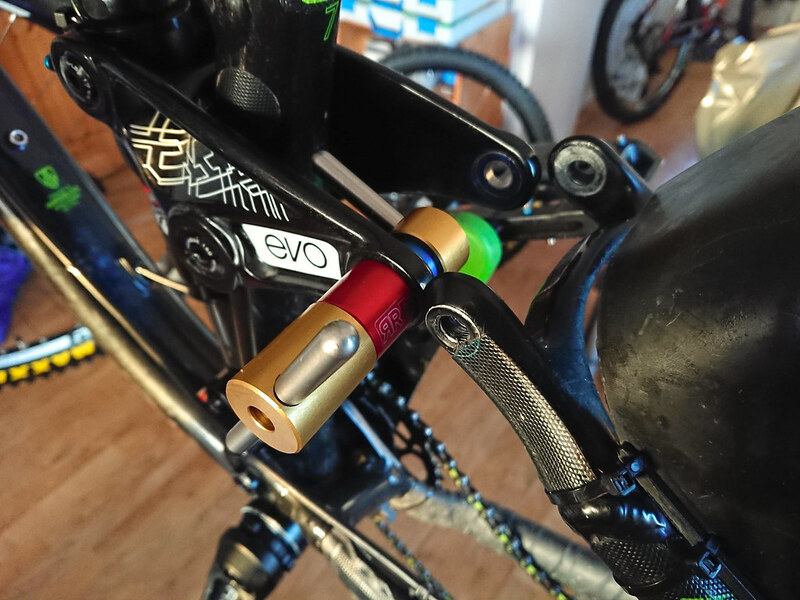 I wanted a fully rebuildable dropper post I could service at home fast & easy, which this dropper offers. 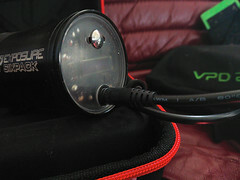 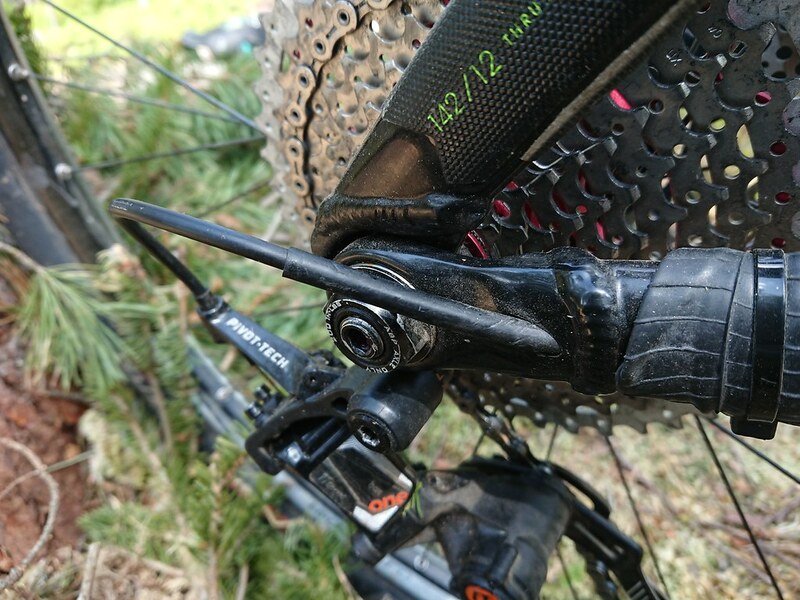 For maximum leverage mount the wire on the inside, as shown in this picture. 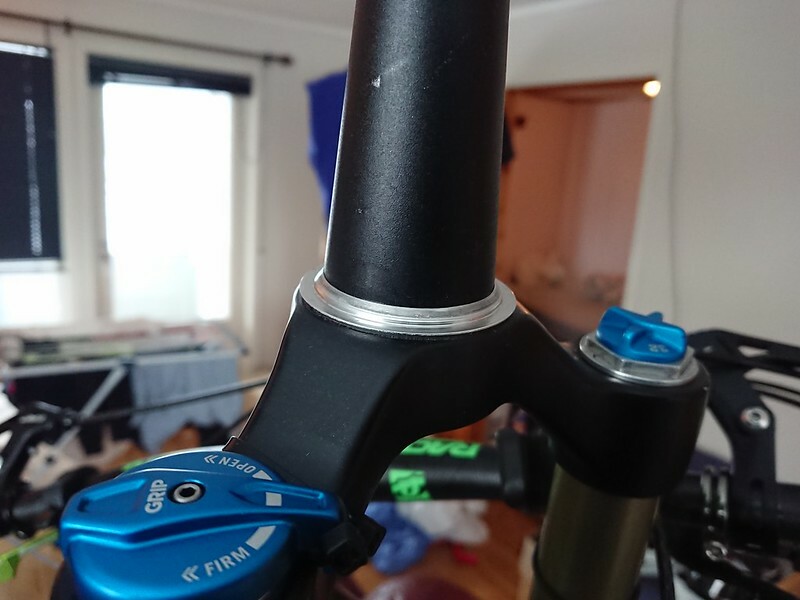 When attaching the housing to chainstay make sure to account for housing movement, when going through travel, I had to only use one zip hook, and use a zip tie halfway on the chainstay to avoid the linkage movement to case braking. 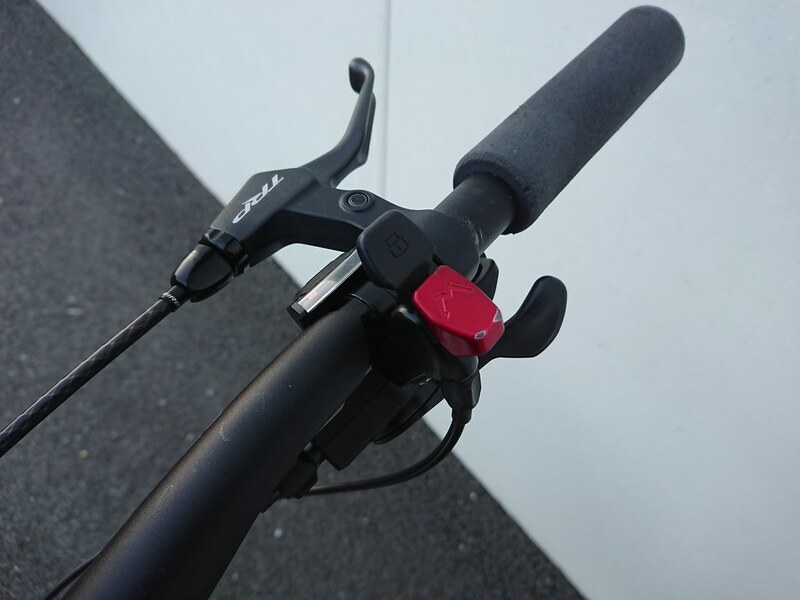 The Spyke brakes offer one finger braking, as powerful as the Shimano m615 brake, but without the issues of leaks and impossible to get seals(without contacting Shimano).The Pad mud gives protection against stones and dirt, so stores can’t interfere the pad/piston movement, So this is a great feature.But like all brakes they only give protection for this, rotors and the inside caliper is exposed, so I still get sand &dirt in there in wet conditions, there is no way to protect the pad surface, things will get in the rotor and can get stuck and make noises, so to prevent crunchy brakes after ride, spray water on the in to the caliper, I do this in shower. 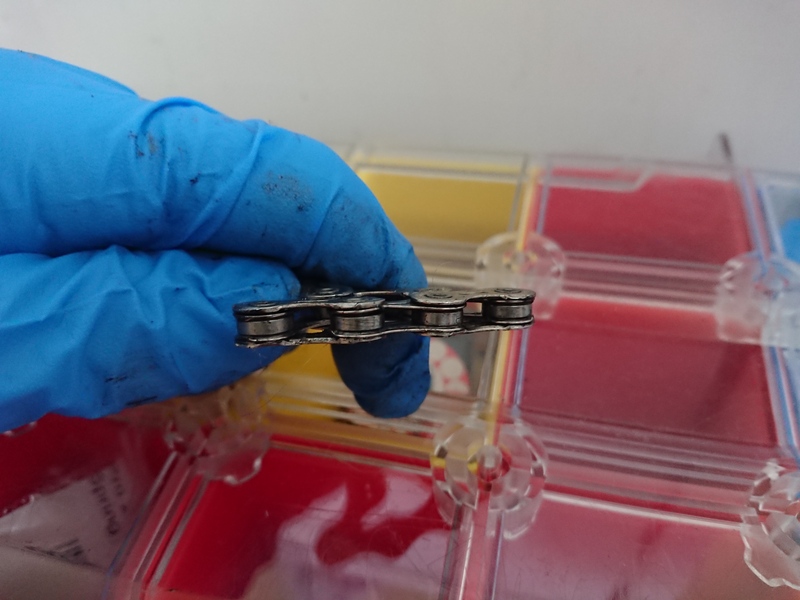 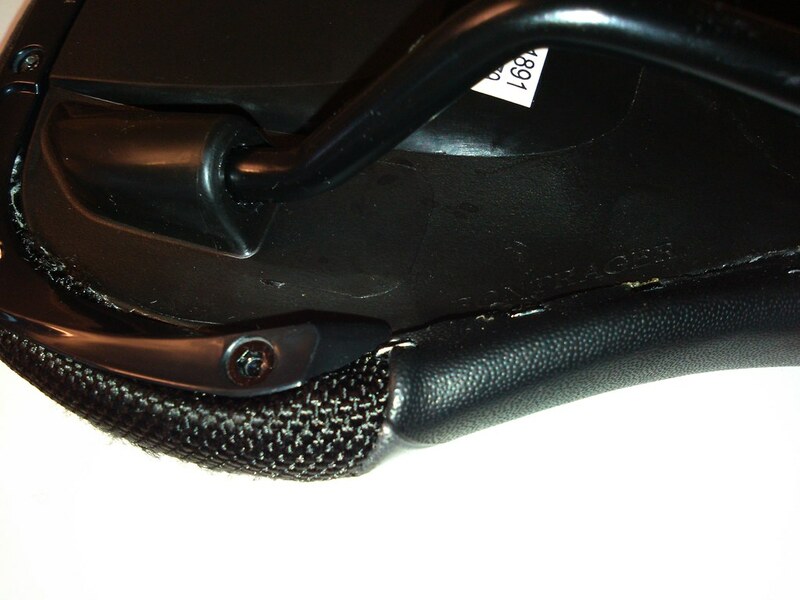 The pads are held in place by a threaded pin, with a clip, which makes maintenance easier. 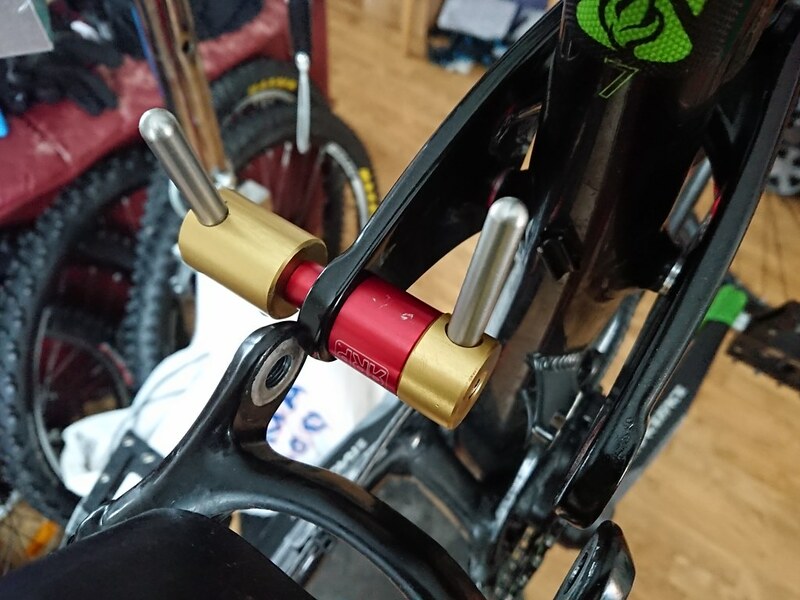 Smart bolt & pin hold the pads securely in place. 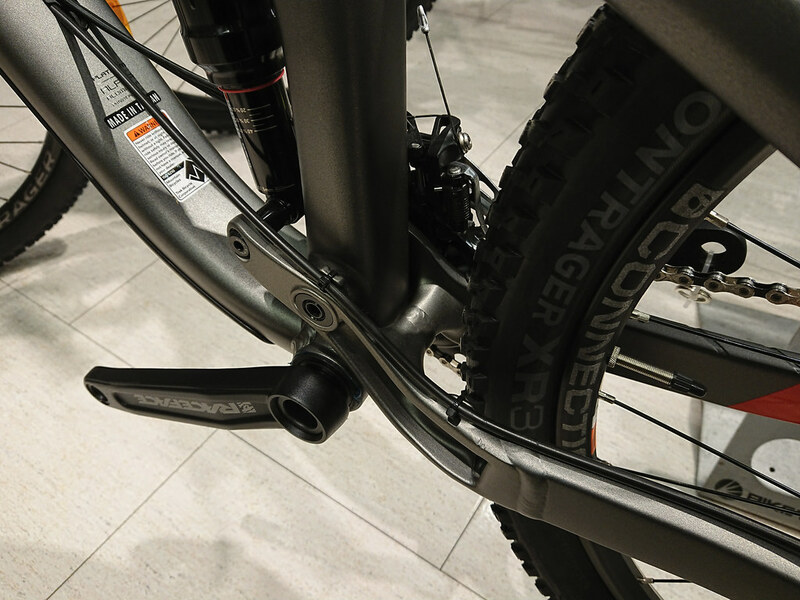 With the Spyke caliper, the lever is noticeably harder to press than with hydraulics, than a hydraulic brake, due to the stiff return spring. 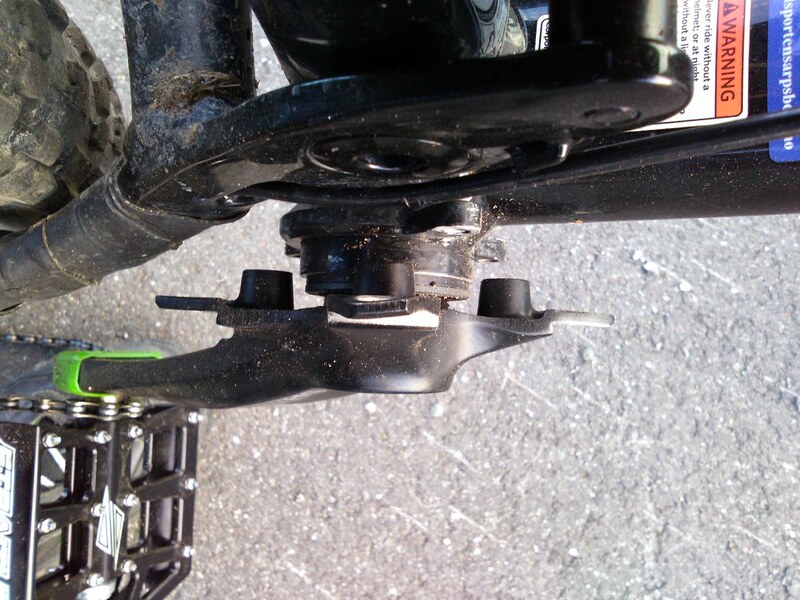 I noticed I my fingers got fatigued from braking after an ca 4-hour ride, but I rode so hard that I could not even pull a manual. 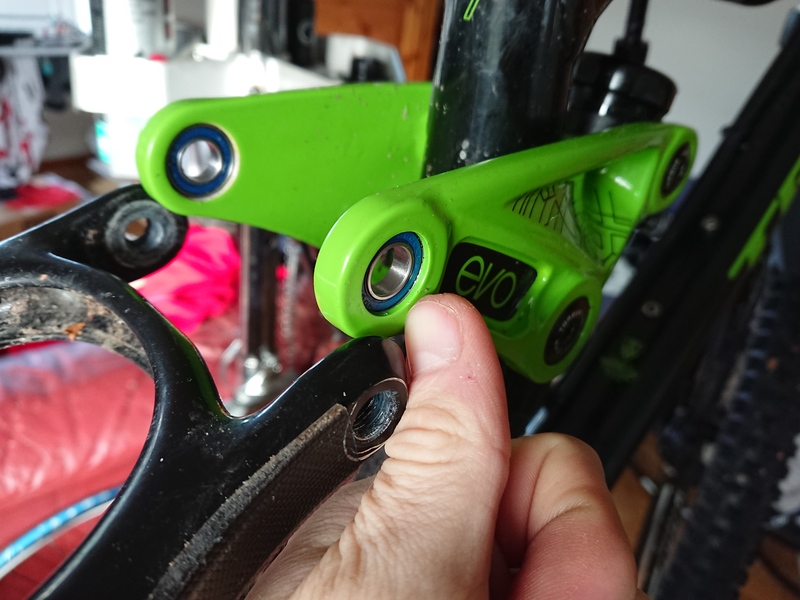 After 7 months in March 2018, I Noticed my fingers got very fatigued by braking, I think this was due to braking a lot when riding on grosery rounds between several shops, and to home, a lot of stopping for traffic and, but I went back to hydraulic brake, and I was less fatigued. 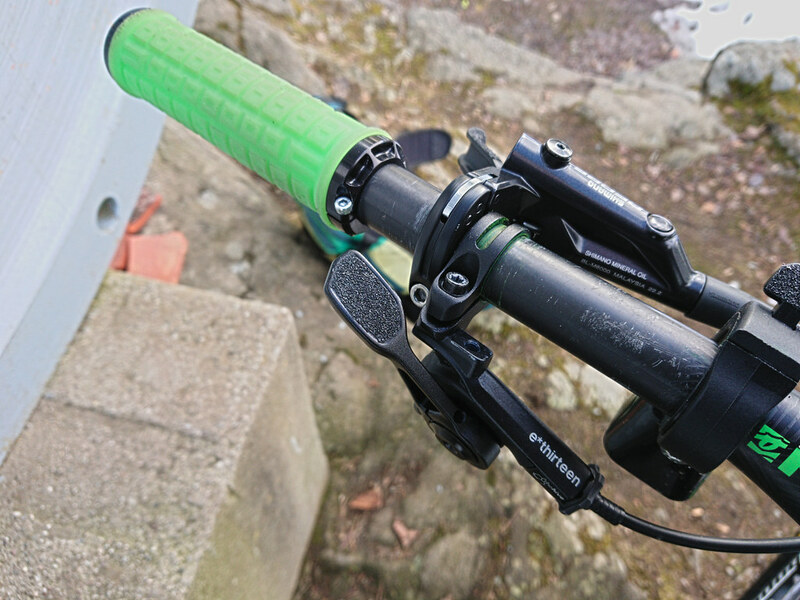 But I am pretty sure most people will get used to the heavier lever feel. 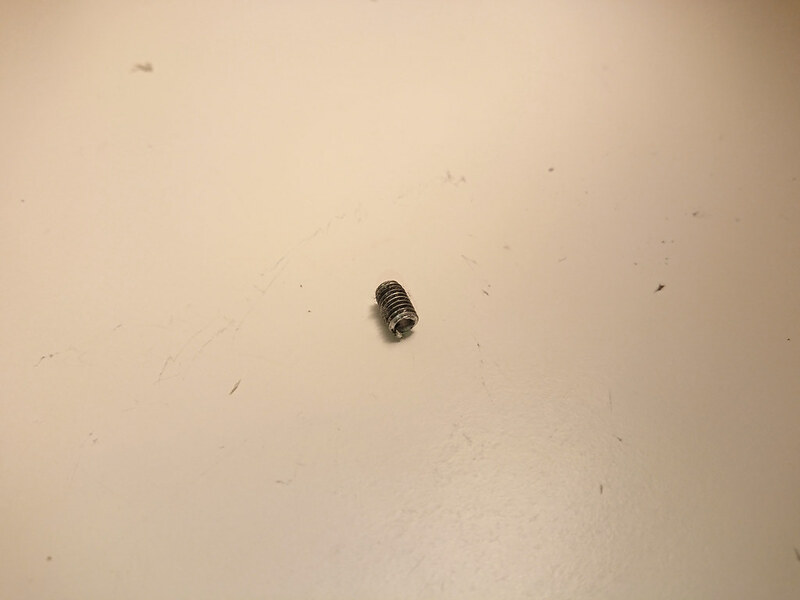 I haven’t tried this, but it’s a pretty easy fix, but it will void the warranty. 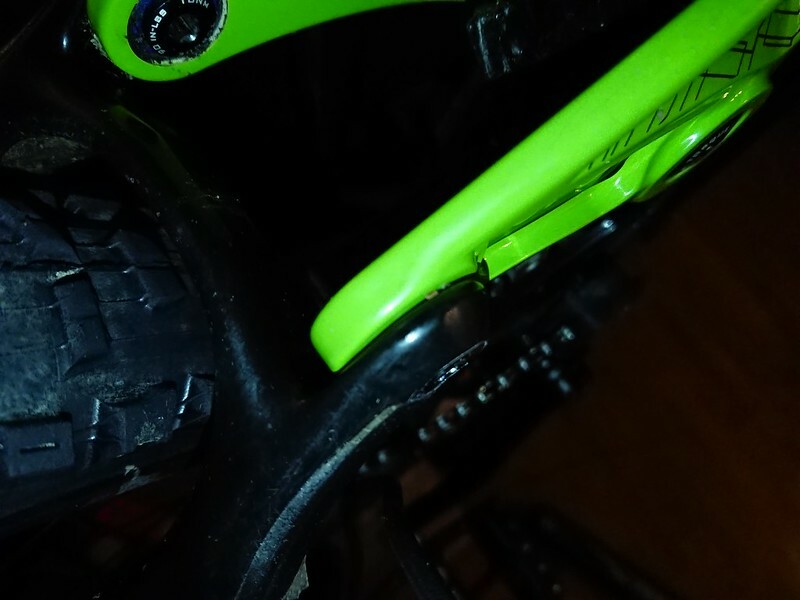 can’t remove brake pads from the top or without removing the wheel. 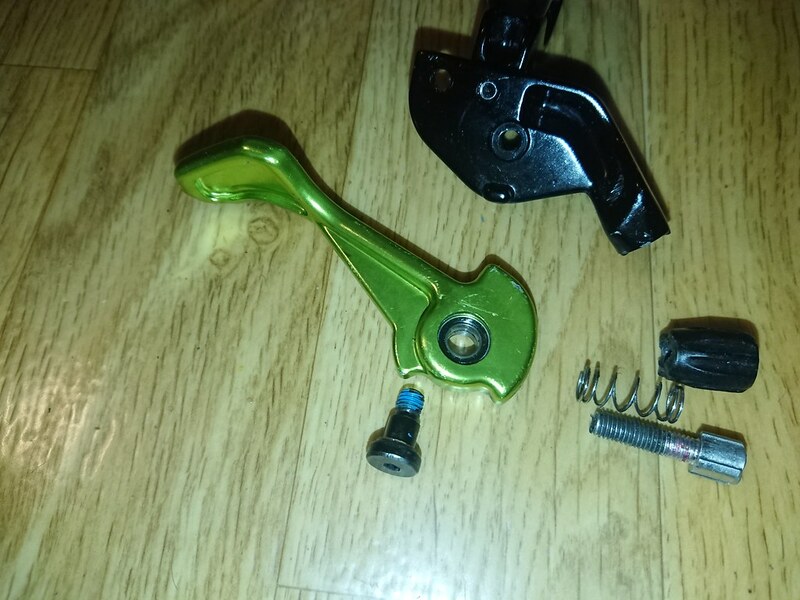 The barrel adjuster snapped on one of the brakes, I touched accidentally hit my hand on the barrel adjuster and it just snapped off, none of the other snapped off yet. 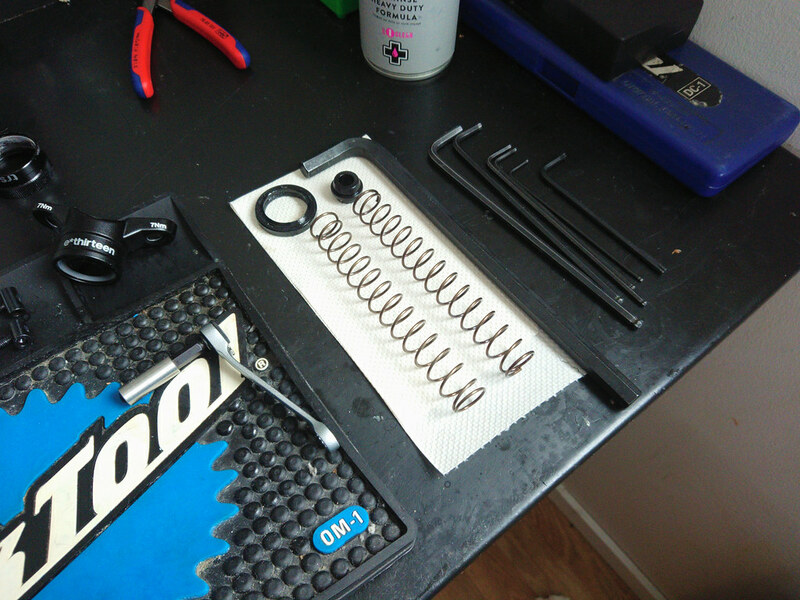 Good, I had spares brakes. 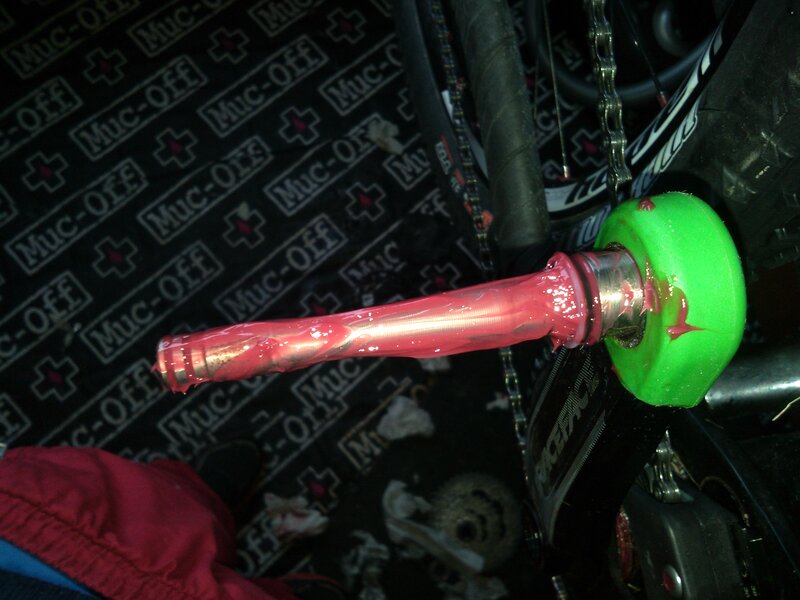 but the barrel adjuster is clearly weak, it was quite soft, A crash could probably damage it snap it. 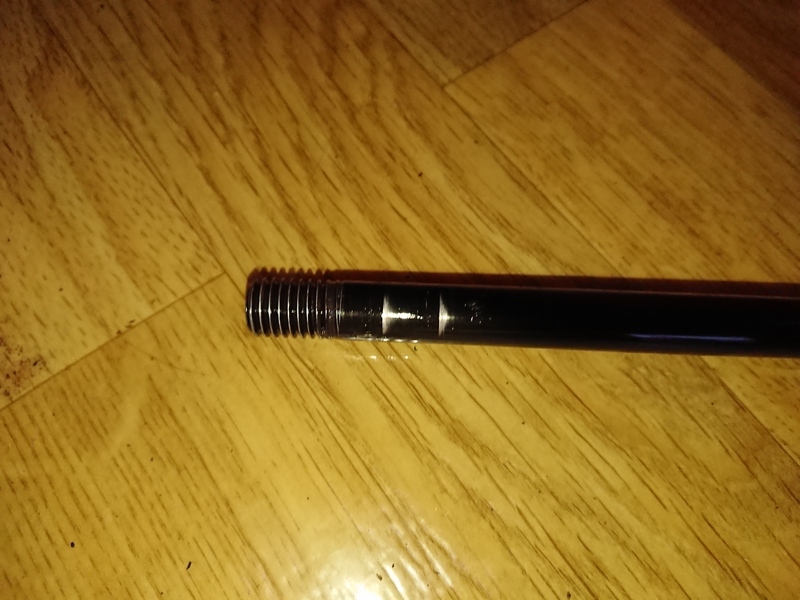 The bolts rounded off, but the tolerances are not perfect, which is important, I used fresh park tool Allen keys, which also don’t have good tolerances, if the fit was tighter it would wear slower, but this might also be a material issue, I don’t know which alloy is used for the bolts. 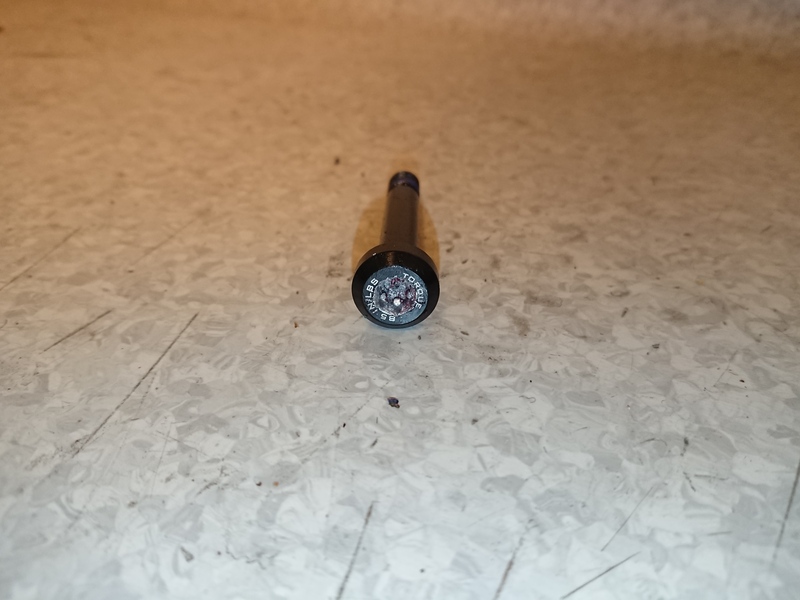 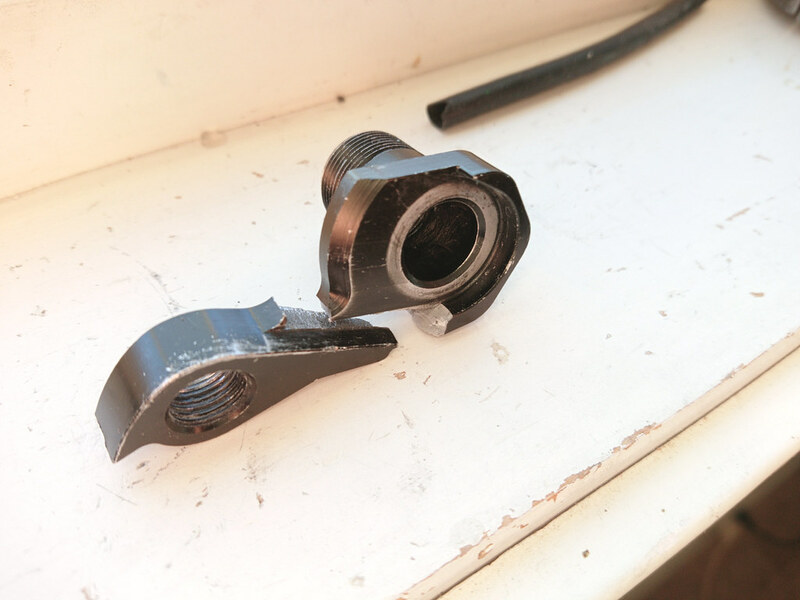 the bolt was loosened and tightened over 20+ times over from the end of summer of 2017 to March 2018. 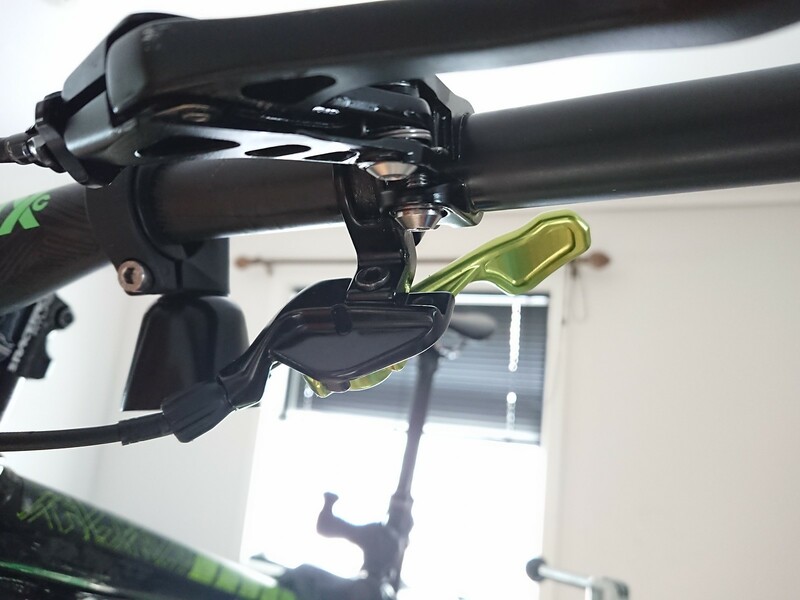 If the spring is modified or a lighter spring is installed, but the way it comes stock, quite firm, for really long trips and causes fatigue, So I recommend these, if don’t have too weak fingers, But more you use them strong you will get, just don’t overdo it. 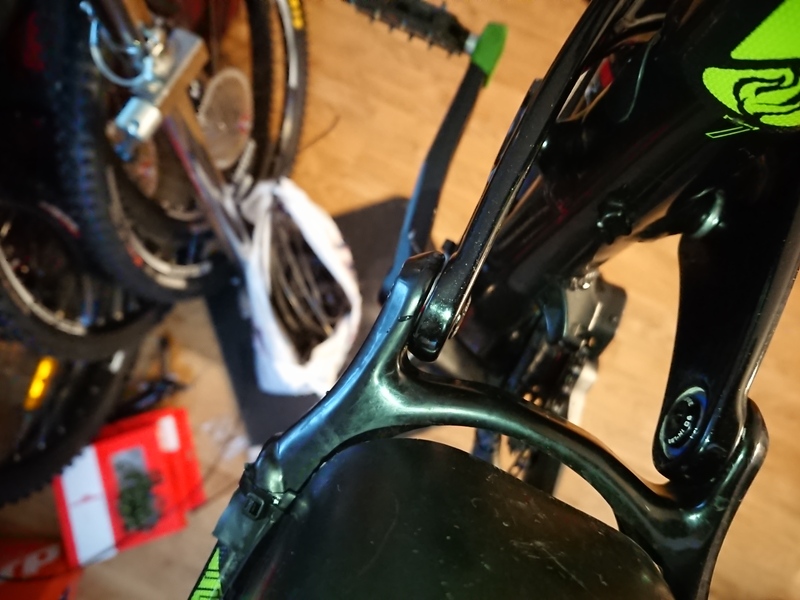 You really have to look after these brakes, you have to check if the pad adjustment is too loose, and add Loctite 243(or similar) if it is, which is easy to do, and does not take long to do, I check every single week, for some this might be too much hassle, for me it’s not a dealbreaker. 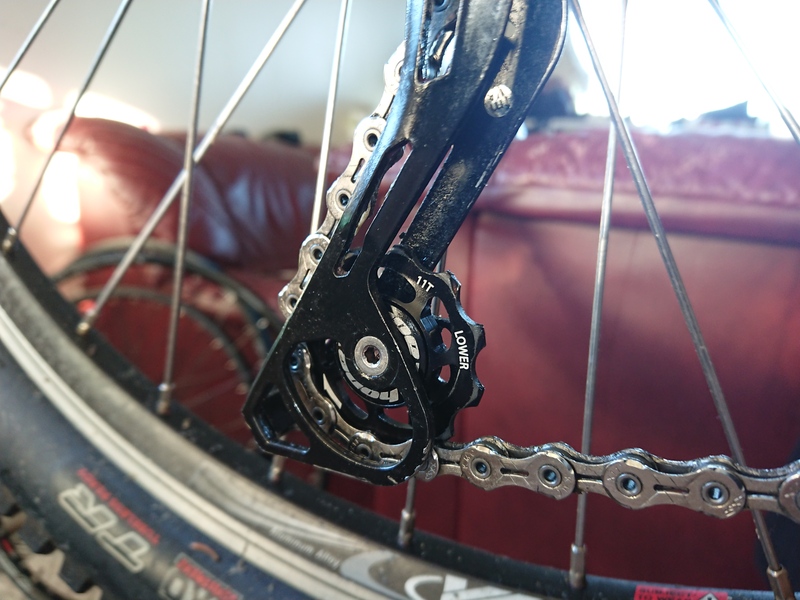 this causes shifting issues, and noise while coign trough the cassette, it only takes few days for me with light xc/commuting/pavement riding to wear it to the point of play so the cassette is dancing. 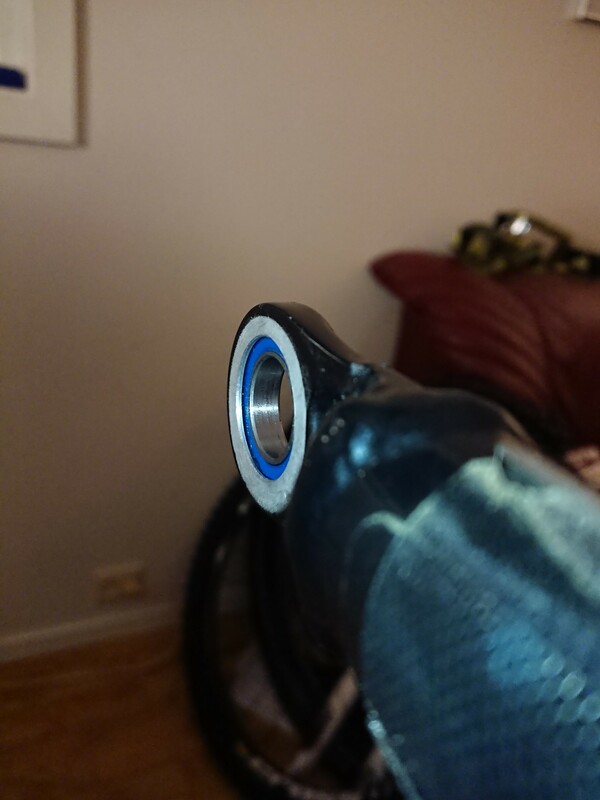 TThis is hub I had Rebuilt new balls, new cones, new axle, everything was of course done correctly, it was only used few days, but I had already gone through one wobbly freehub after just a few days of riding, so I replaced it with this one, the same issue major wobble after just a few rides. 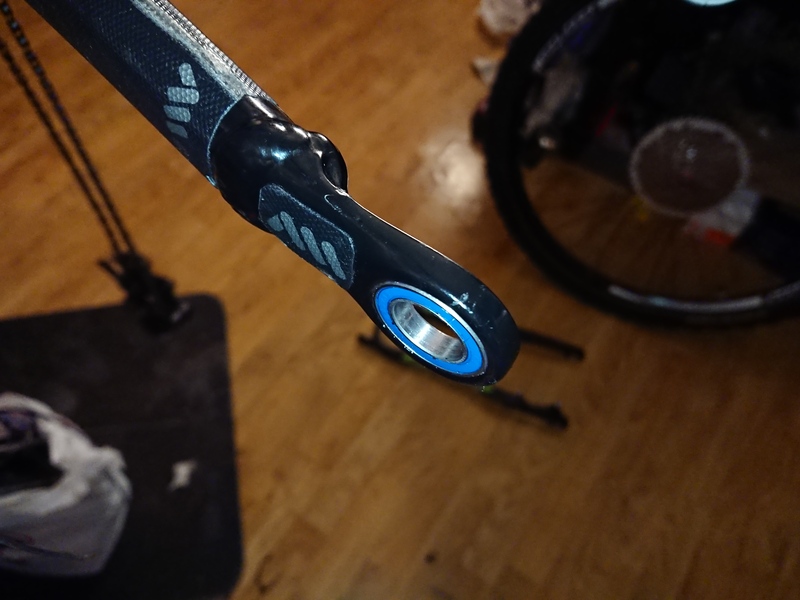 I have also noticed Shimano has changed the design, there was a rubber seal visible, on this one there is not. 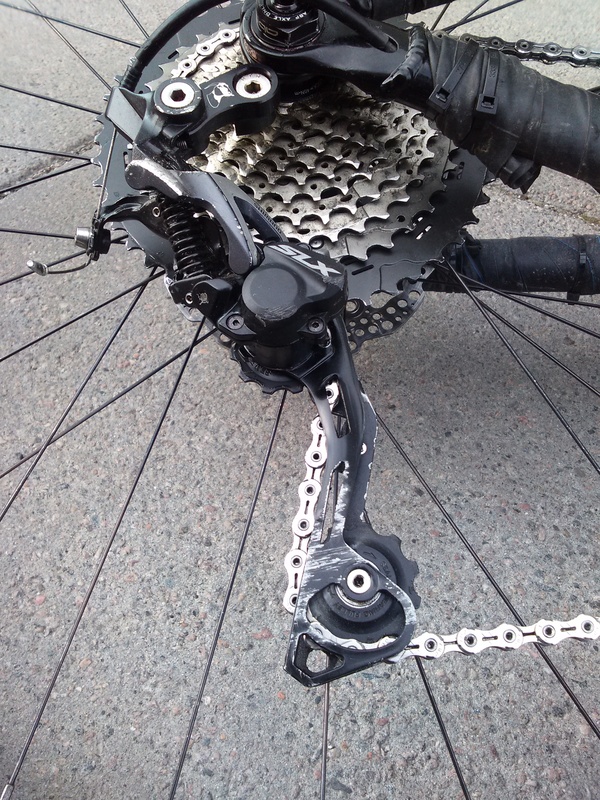 after few short asphalt rides, the axle bent on the drive side, the cones were loose, the rotor was rubbing, and the cassette was dancing horribly, due to play in the freehub, which reduced the shifting performance significantly. 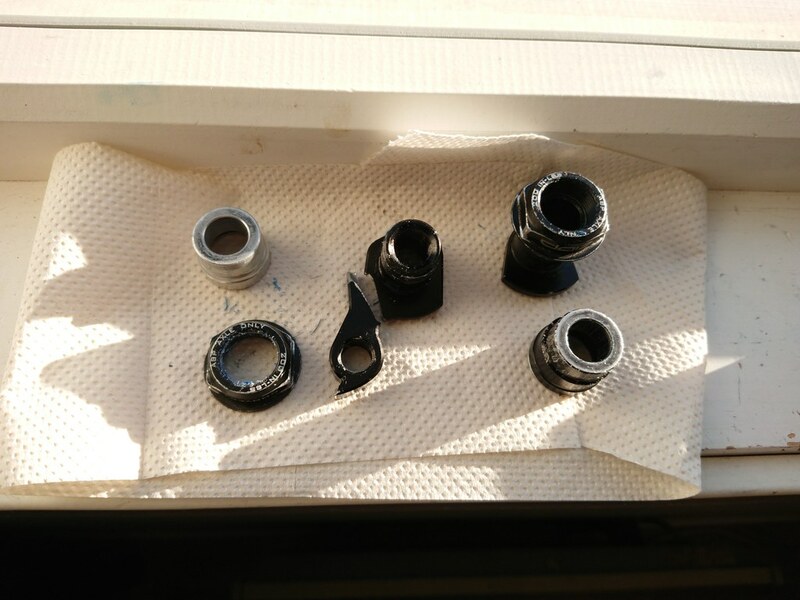 I am done with these freehubs, I will get a new wheel. 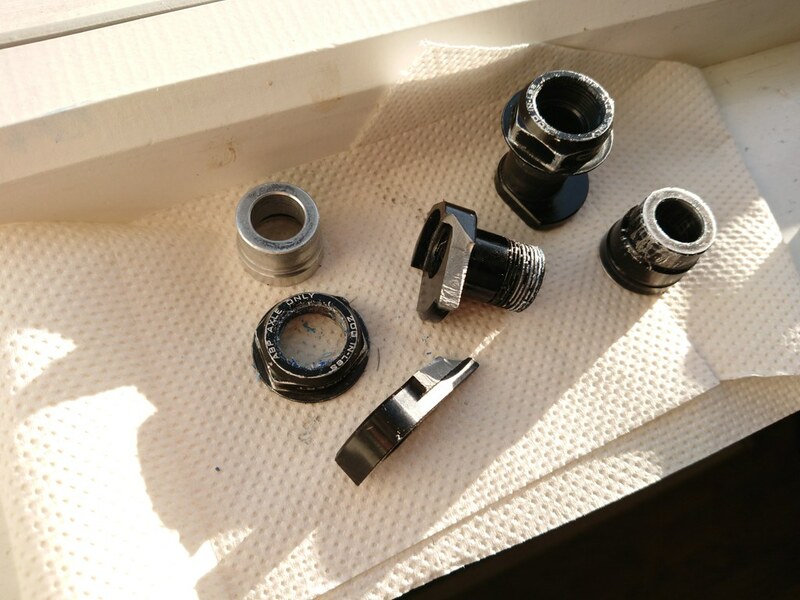 These hubs just can’t take me using them, I got heavier and heavier, I am an adult now and destroy all cheapness. 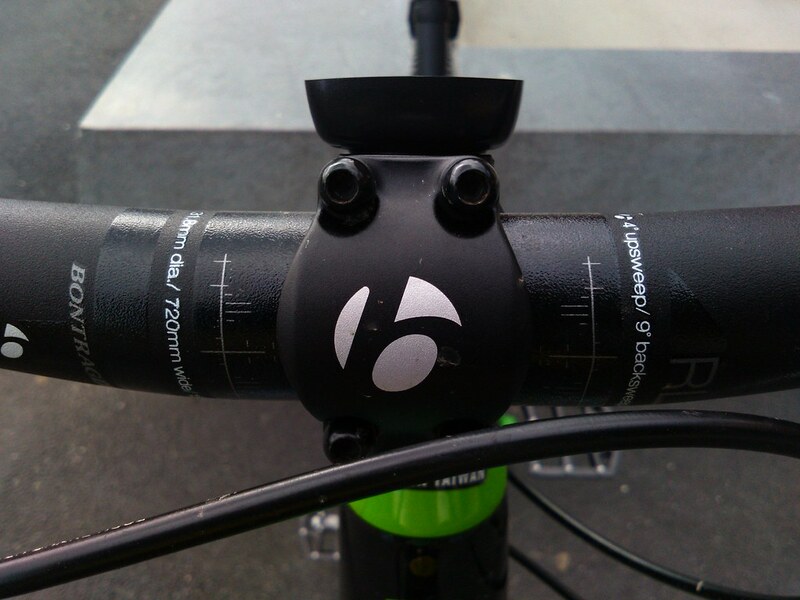 ‘ The lack of points of engagement is also unbearable and awkward. 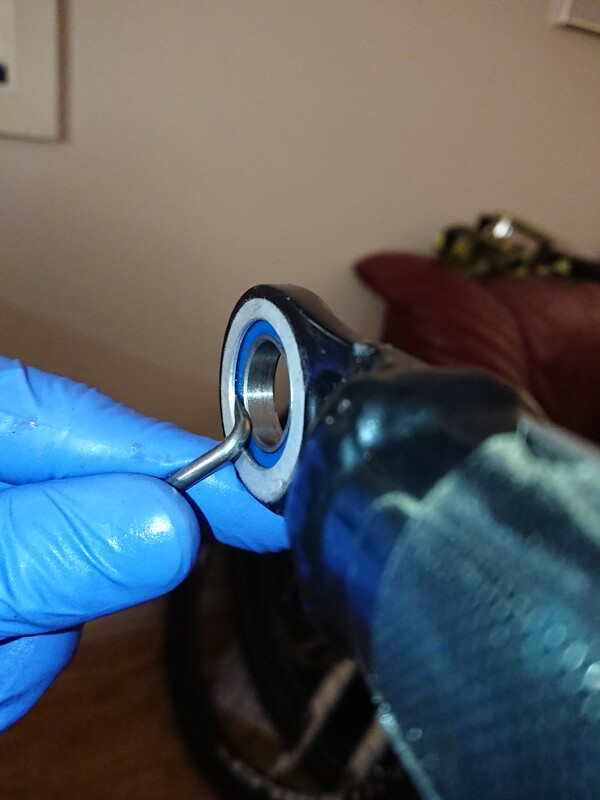 The bent axle was not caused by jumping or loose QR or anything wrongdoing on my part, this is a flawed outdated hub. 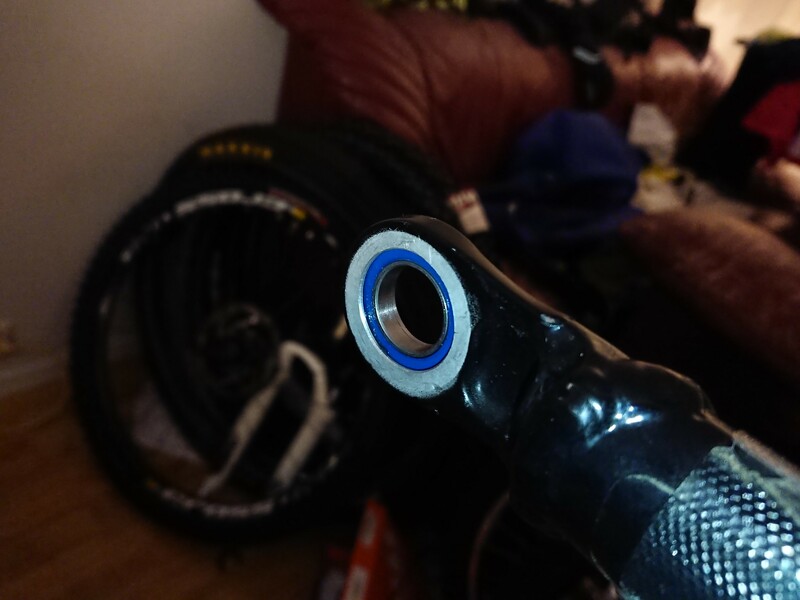 The freehub has about 1 mm play when it’s new. 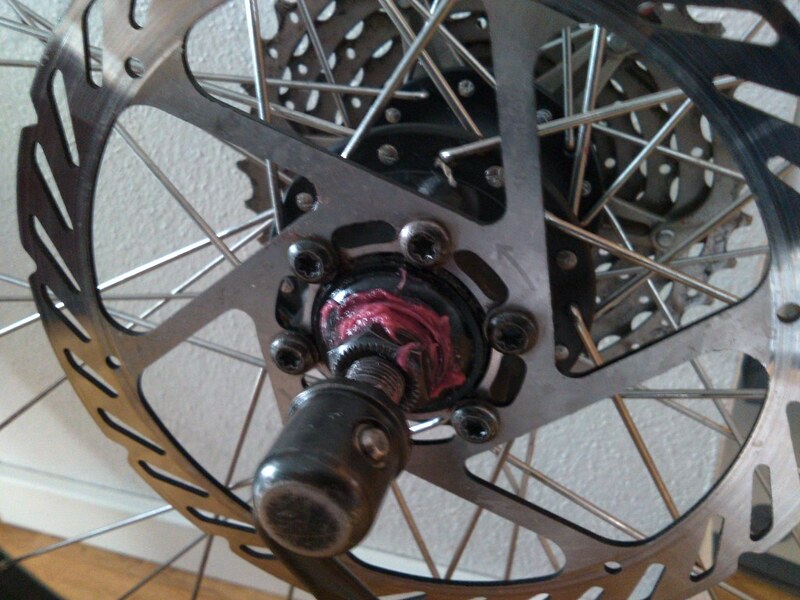 any play in the freehub will cause wear in the cassette and chain, I think I should upgrade the hubs. 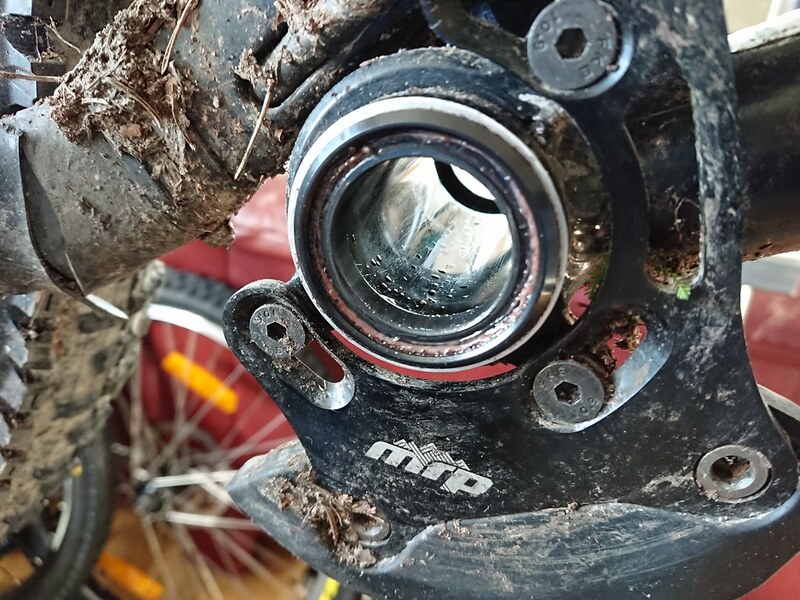 With proper hubs with proper freehubs you will get zero play no with a lot of use and abuse and crashing, for example, Hope pro 4, It has been problem free, and has not shown any signs of wear after a whole year of use. 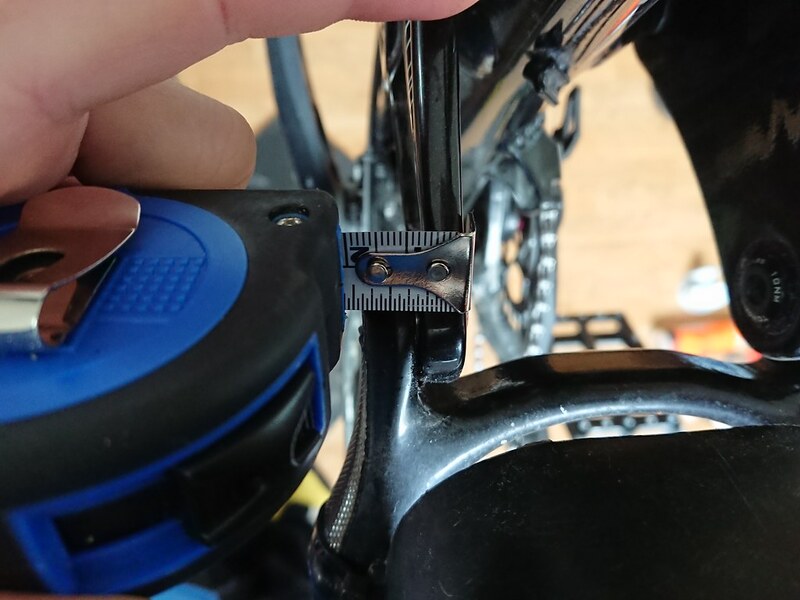 No proper seals, causing contaminants like water, cat hair, and to come inside the hub, so if riding in the winter you would have to service them every week to 2 weeks intervals. 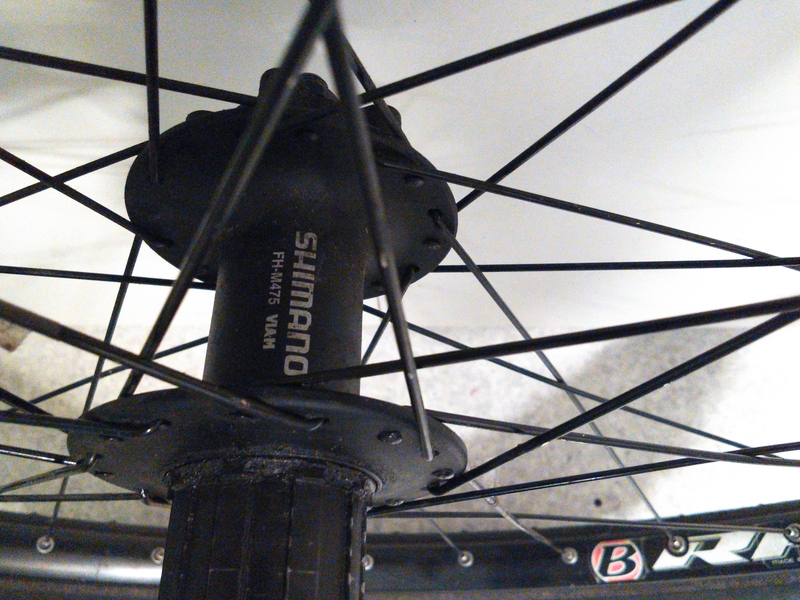 This is now the hub will look like after a winter ride, the grease comes out and will attract dirt, cat hair. 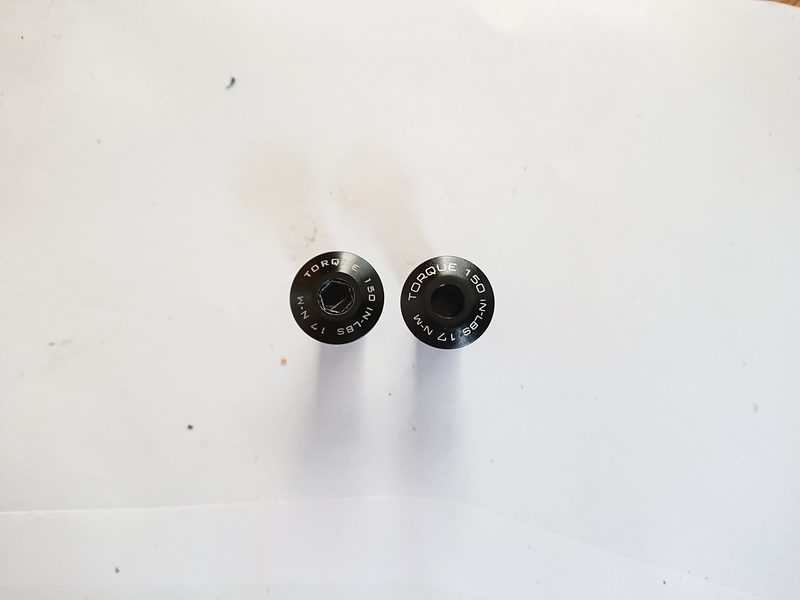 To service these freehand, you need a special tool, which is difficult to get, or you have to make one your self, This is not acceptable. 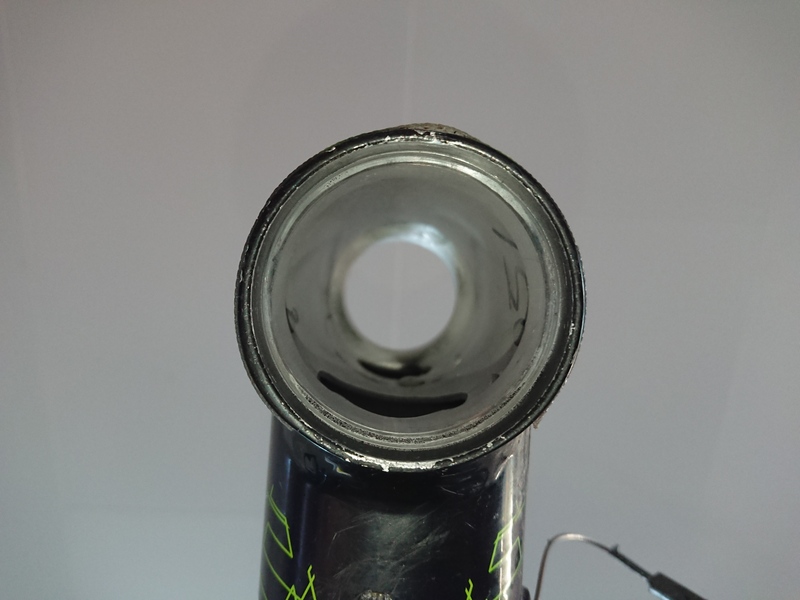 The freehub has a horrible engagement, so you have a big dead zone before you actuate freehub, making technical climbs harder. 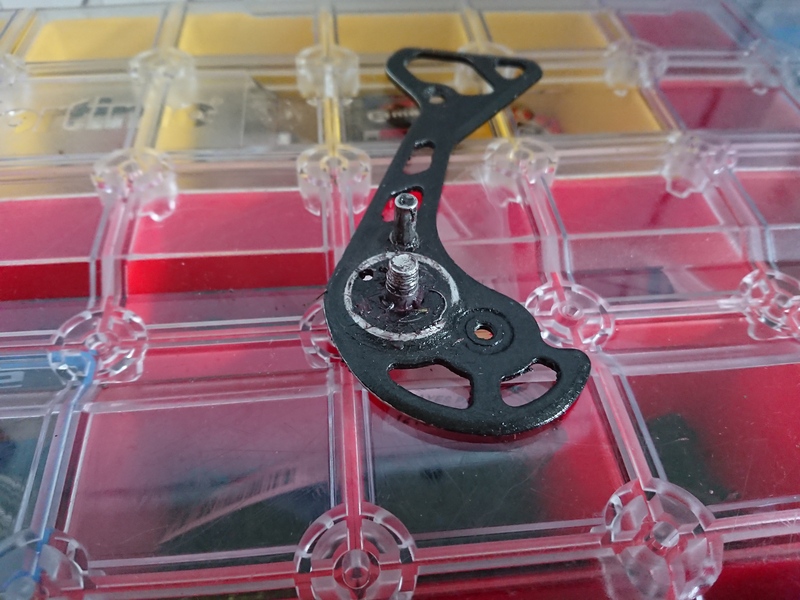 because of the outdated design, and reliability issues and the extreme service intervals, even if you swap to the seals for deore, as the freehubs wear out so fast, that it’s pointless to fix it. 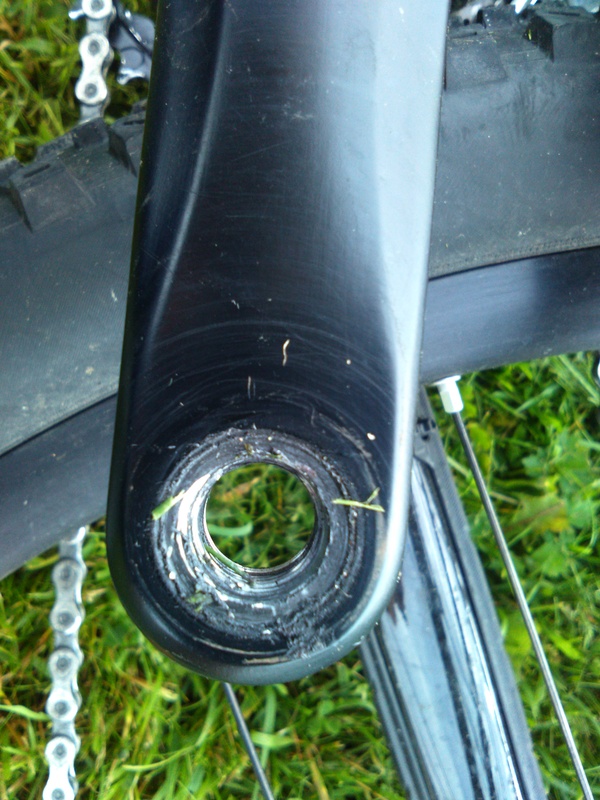 I can’t recommend these hubs, these hubs are a nightmare. 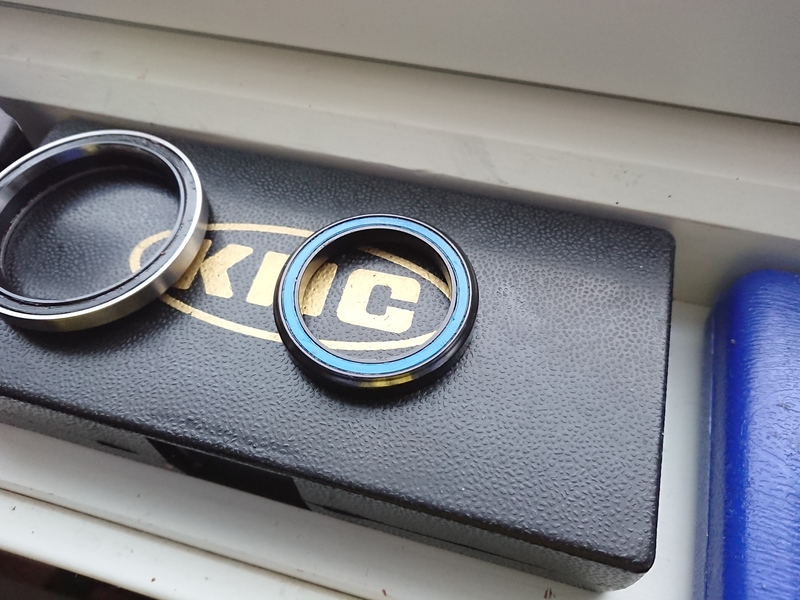 There are far better options out there, I recommend getting Hubs with sealed cartridge bearings, and more bearings, and an easier more modern design, Hope and Industry nine, Chris king, are a perfect example of this, are more on that list of course. 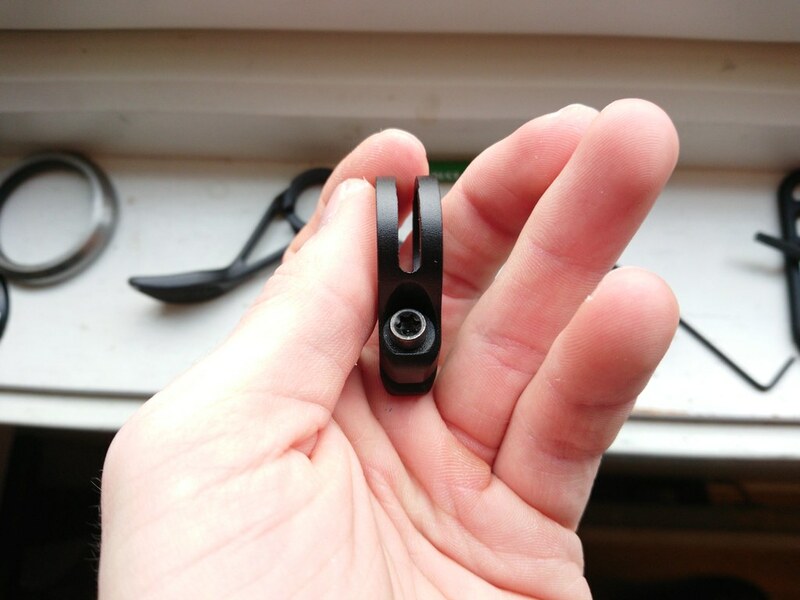 The remote has a well-designed clamp, there are 2 threaded holes for inward-outward adjustment to get the lever positioned perfectly. 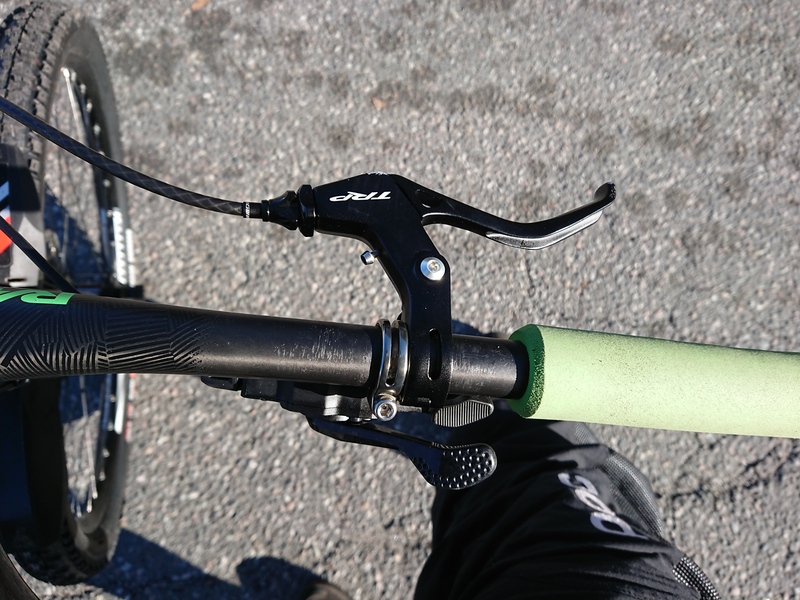 The lever is ergonomic feels great feels to use it. 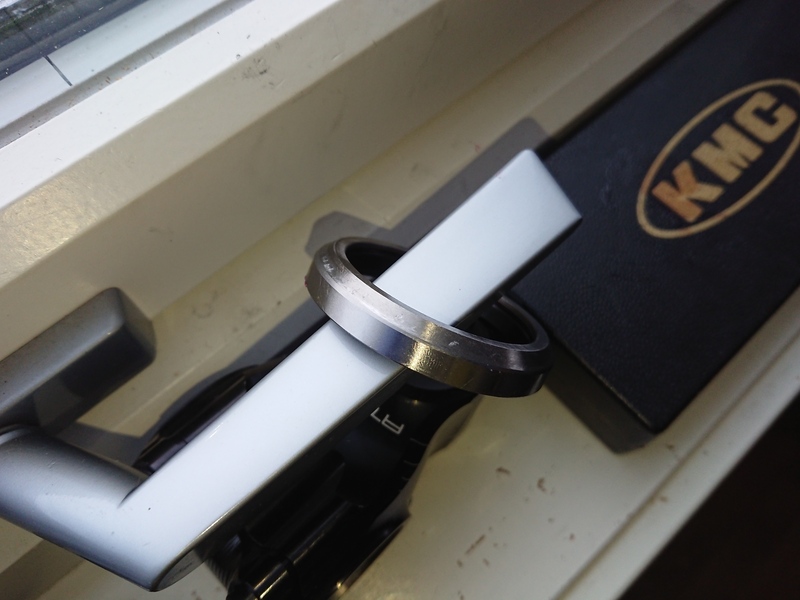 The lever diagonal groover, for improved grip, I have not experienced any issues with my finger slipping along the lever, but it can slip down or up the lever, so holes or multidirectional grooves would work better, But So far I have not experienced any issues with this, the grooves in the lever are helpful. 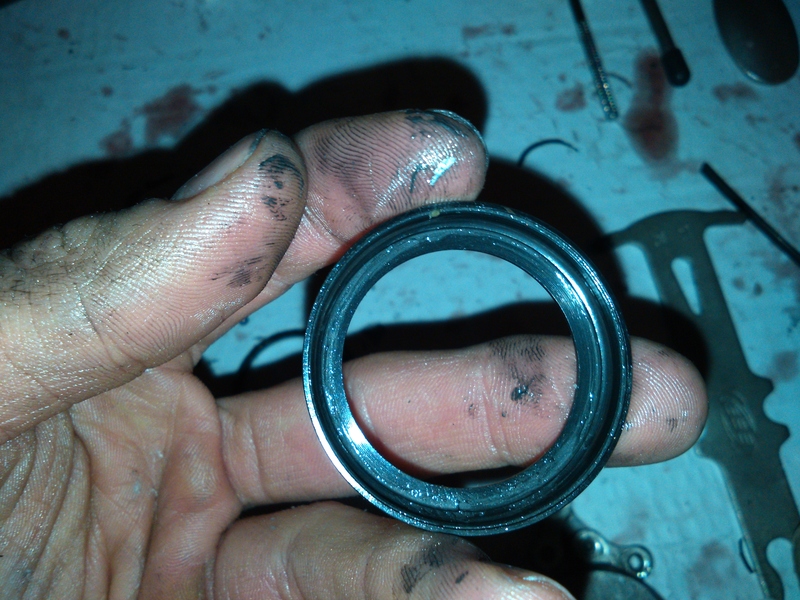 here you can see the 2 bearings. 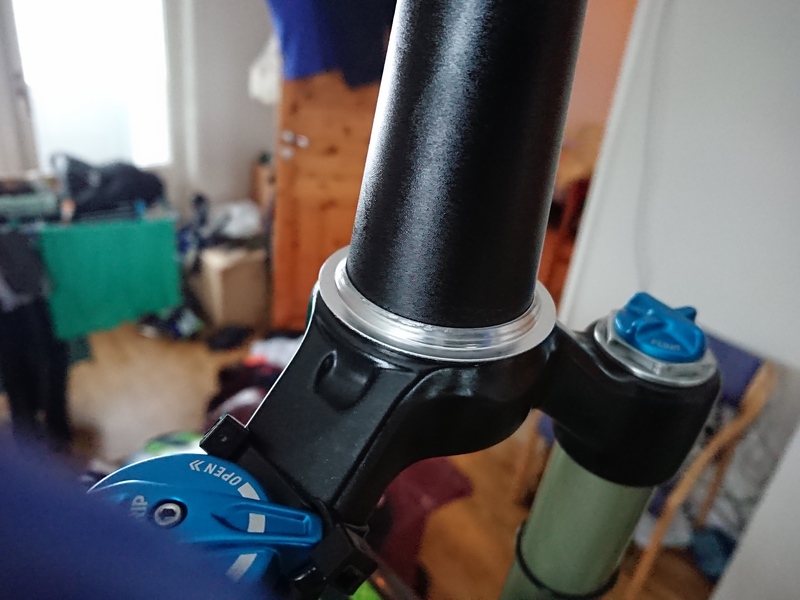 The barrel adjuster is very fragile, it can easily be bent or kinked, It’s likely this will happen in a crash if the housing forces it to bend, but it’s so weak you don’t need a crash for it to fail, I never crashed so badly that the barrel adjuster would bend. 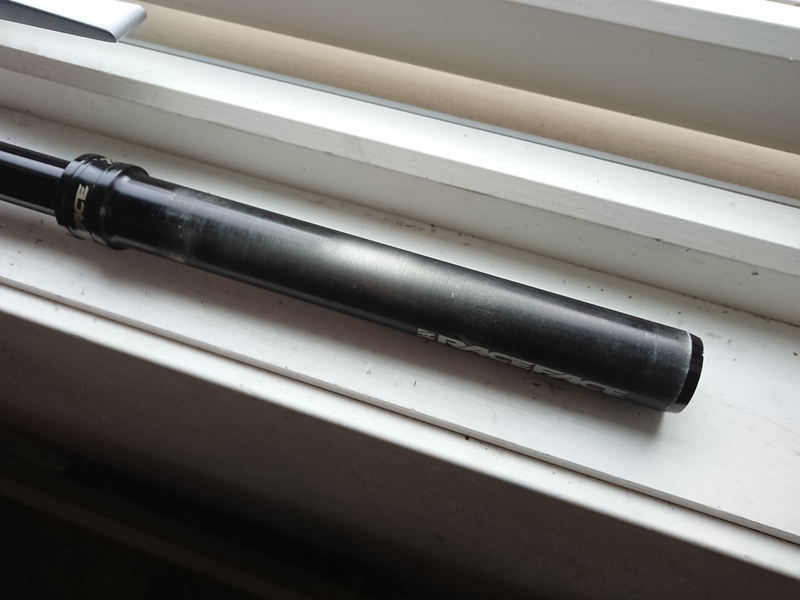 the barrel adjuster on his remote snapped. 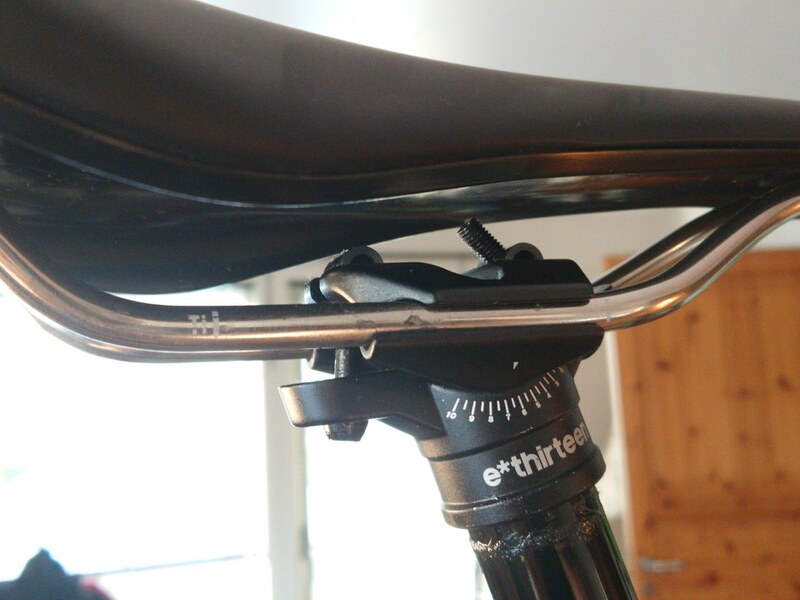 So far I’ve not had a crash where there was an impact on hte lever, So I can’t comment on this at this point. 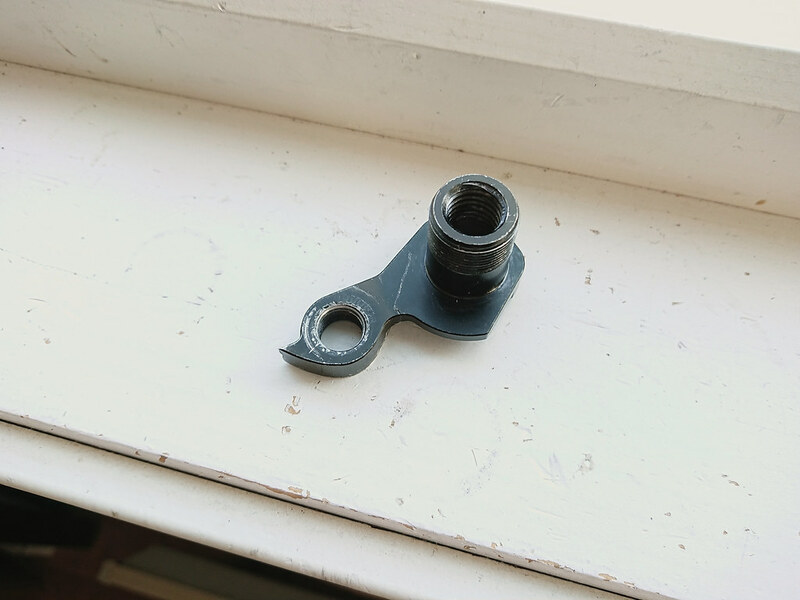 This part seems to be made of some sort of plastic composite. 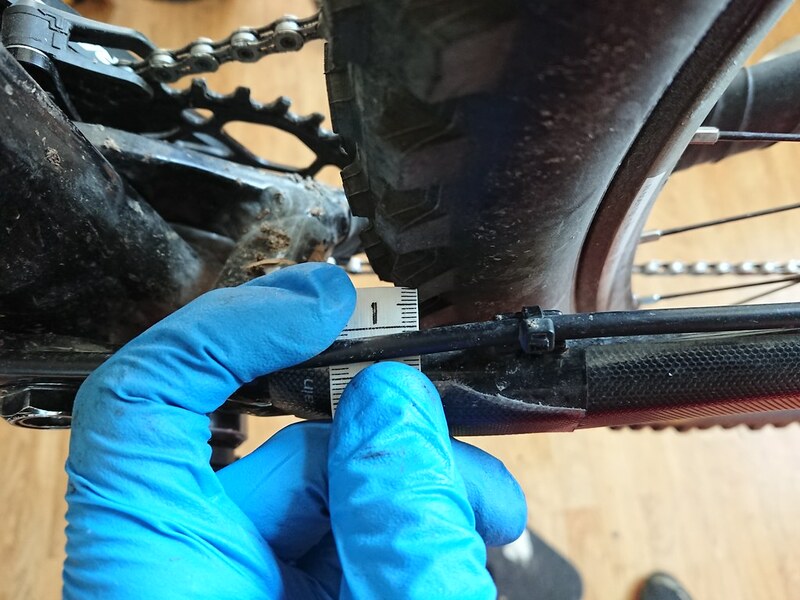 The wire clamp is a weak point, not only because the plate bends, but if the threads fail, due to a hard impact or whatever reason, you need a new rear derailleur. 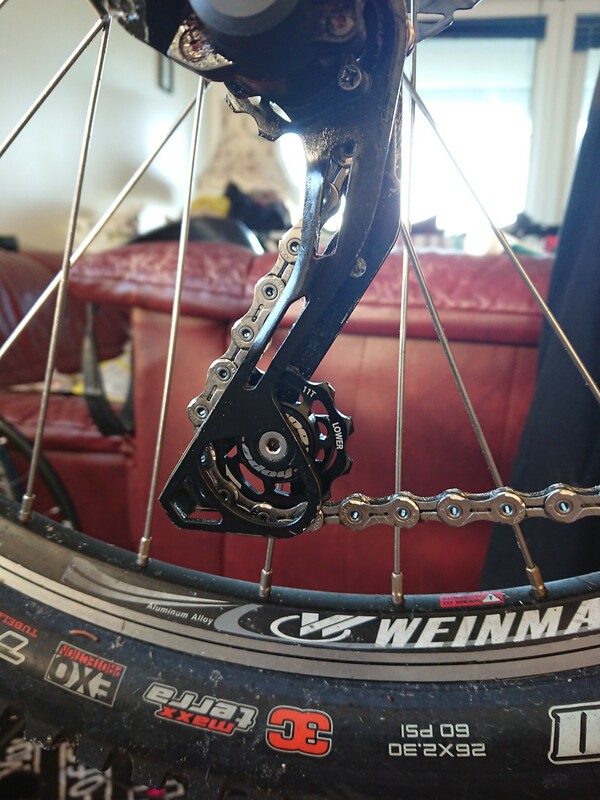 The wire plate bent to the point of the wire slipping, but I managed to bend it back on a bike path, but I flipped it, and used it for several months without issues, But I ordered Spare anyway. 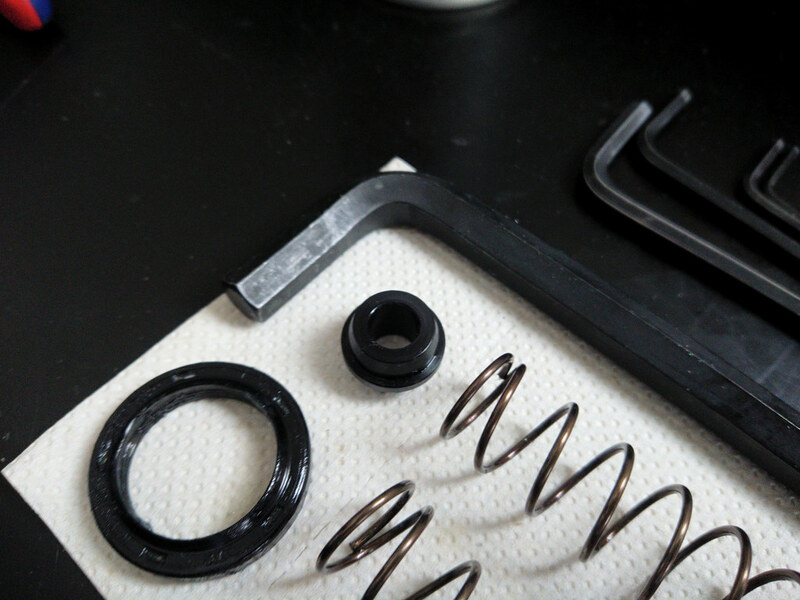 I replaced the seal, as it lost some of the elasticity & stiffness, the bolts holding the cover in place held up well. 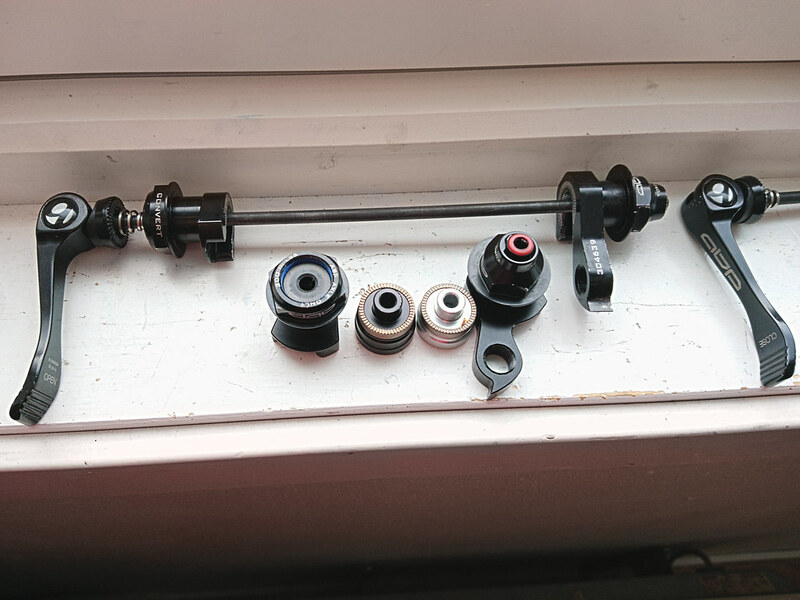 I changed the whole clutch assembly, not only the axle, I noticed the original spring lost the stiffness, the new one was a lot stiffer. 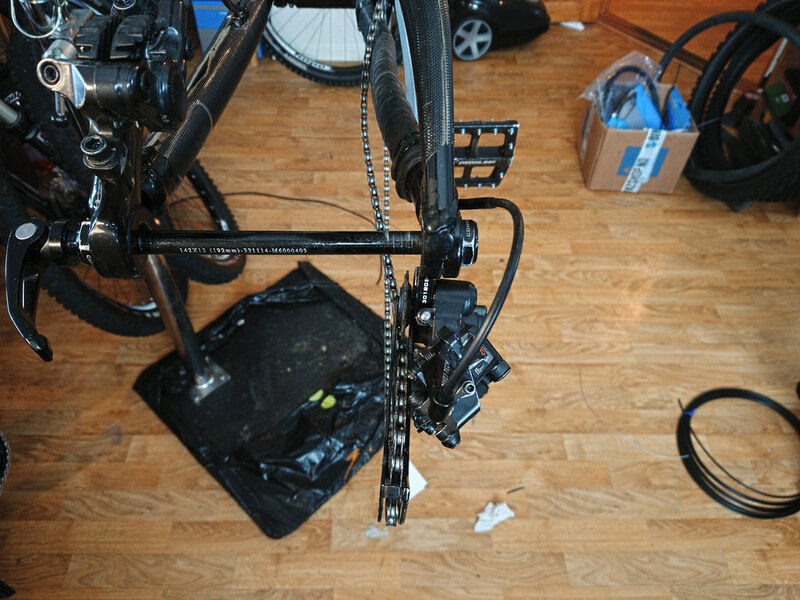 THe scratches you see on pull arm is was caused by the chain grinding on it, it was when I had stock wheels on the bike, which was not good for 11 speed as the cassette was further in than the current wheelset that use Hope Pro 4 hubs with 11 speed compatible freehub,which places the cassette further outwards giving you better chain line & eliminating backpedalling chain drops. 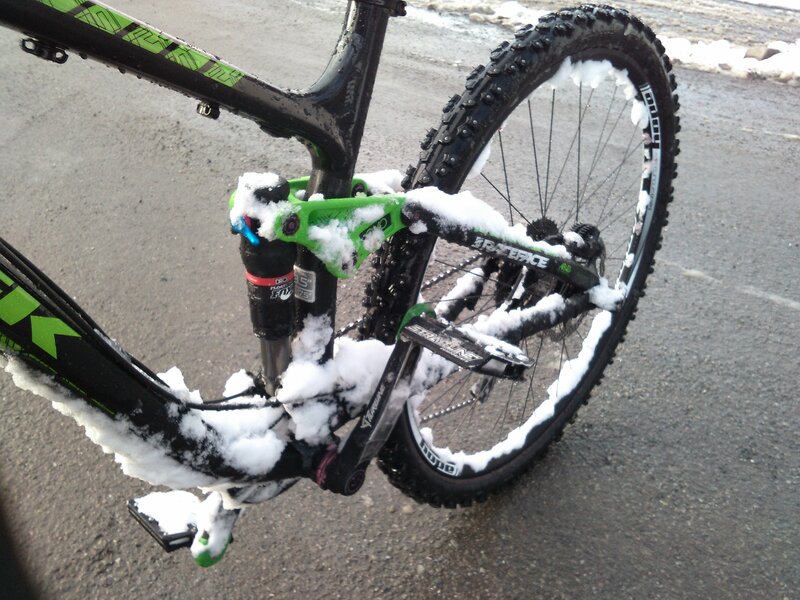 Even though there are some scrapes I have not had a hard crash with it yet. 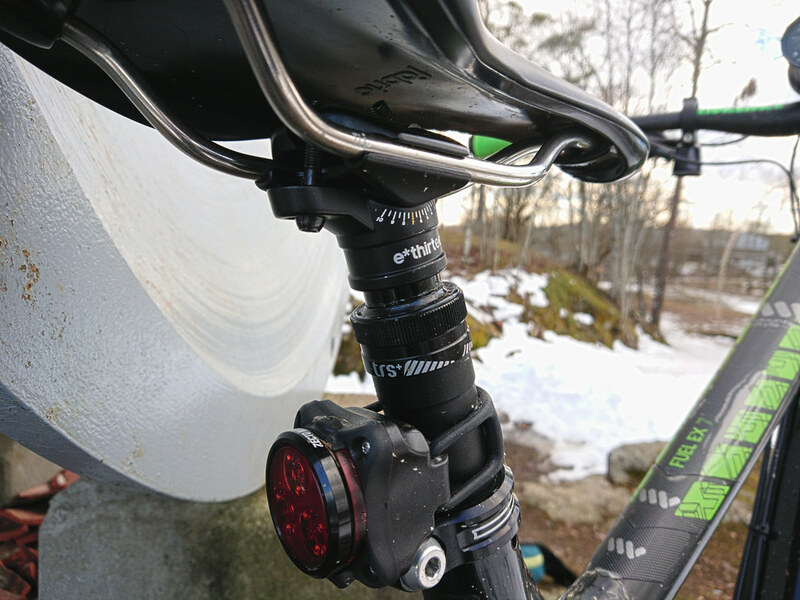 Time will tell how it will hold up, But I will not use it as much as it will go on the trek 6300, which I only use as a spare, But so far there has not been any significant damage from the small spills. 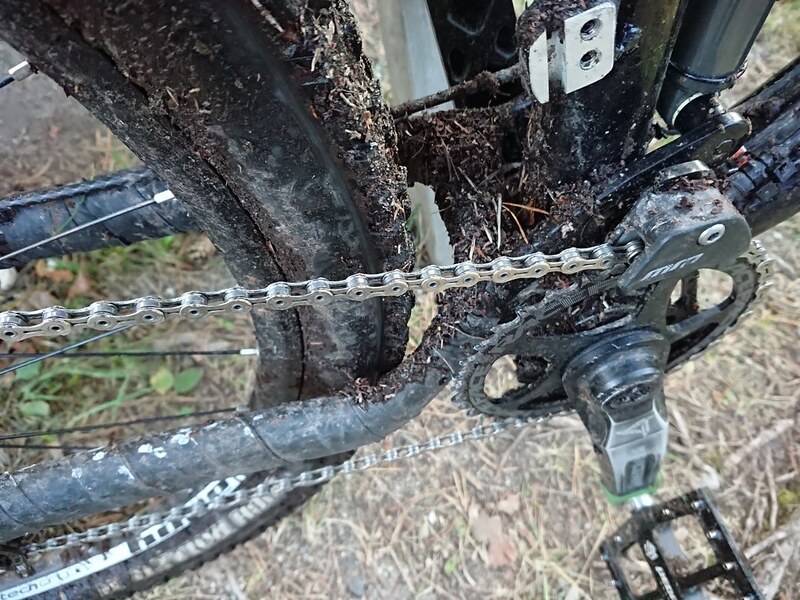 The axle failed & the chain got bent, So first I tried warranty, but that did not work, but later, I became quite sure it was my frame that caused it. 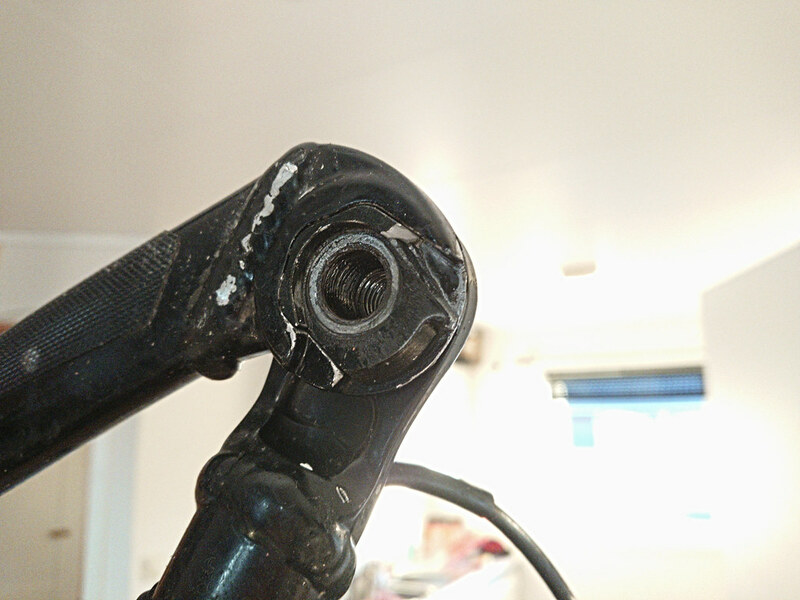 The Rd still had some life in it, So I ordered spares from SJS Cycles, but Shimano Norway would not warranty it as there was another damage, which actually is just cosmetic damage. 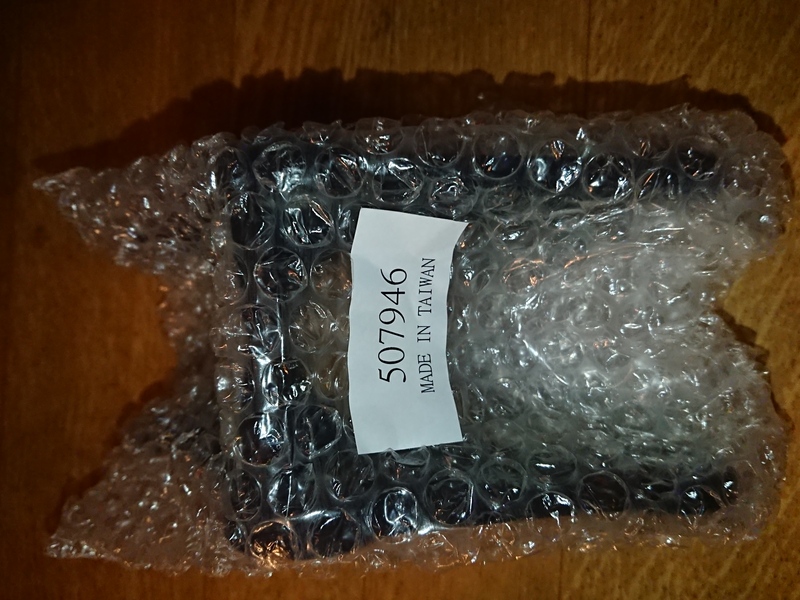 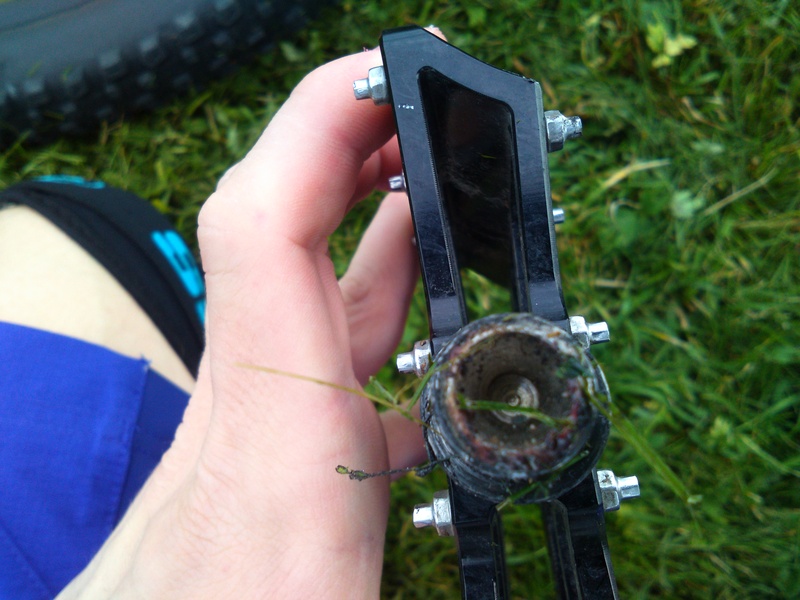 I am quite sure now the reason cage axle failed, was due to major flex in the 2014 Fuel ex 7 frame under pedalling load. 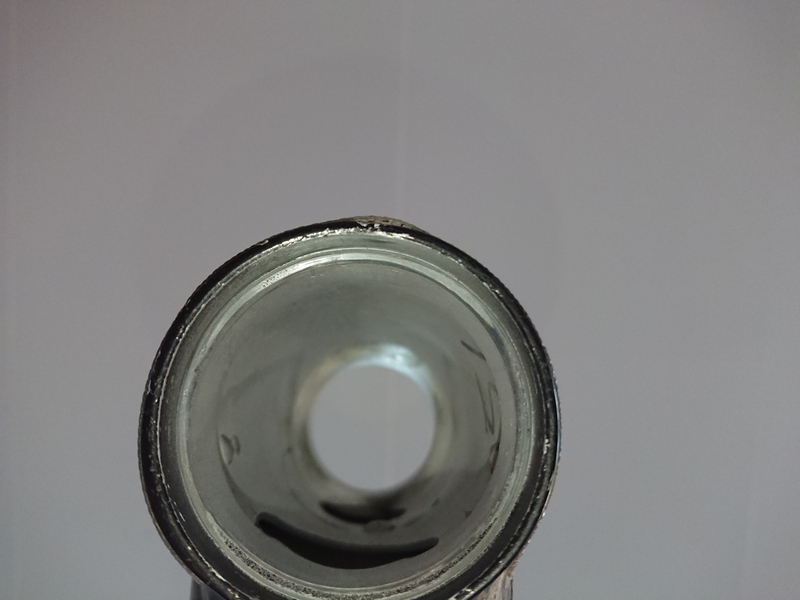 no use of bearings or bushings, causing shorter lifetime, which is a compromise. 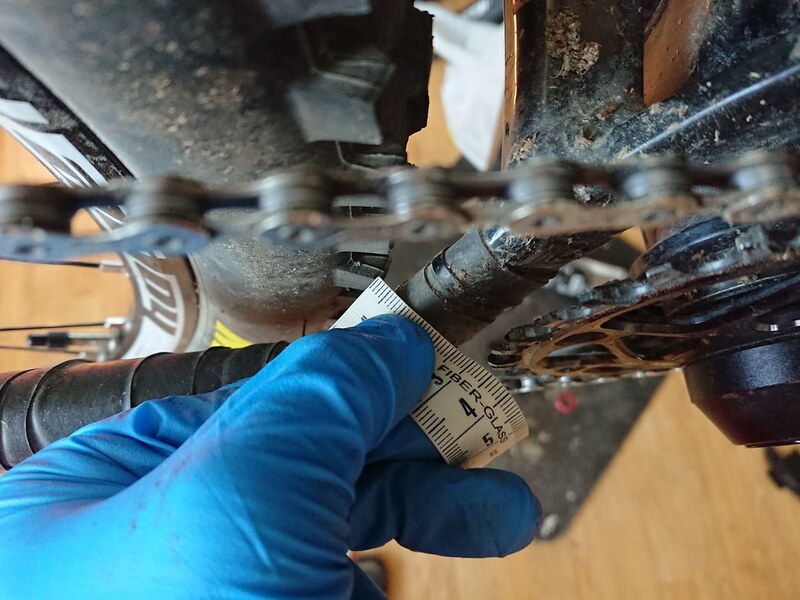 not well optimized for wide range cassettes, So the use of goat link or similar is necessary, but if doing so, it performs very well. 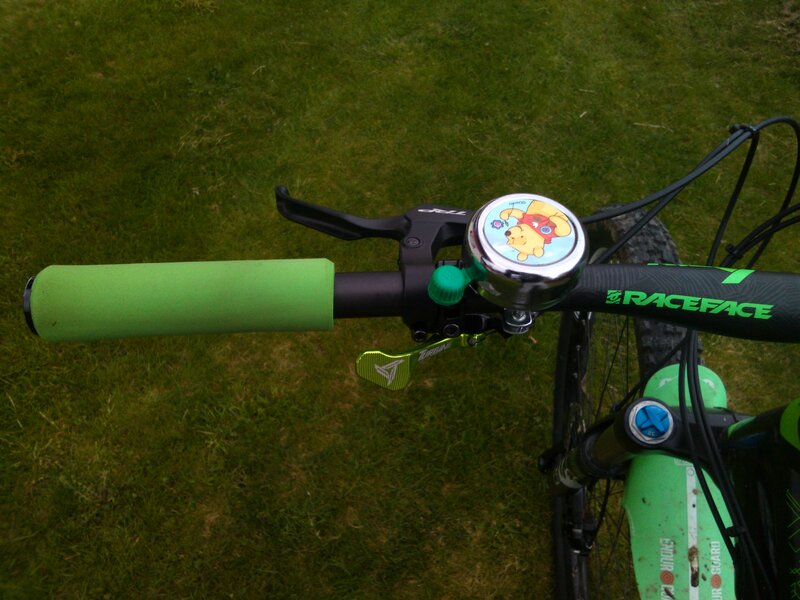 The clutch lever is plastic and is flimsy, it bends. 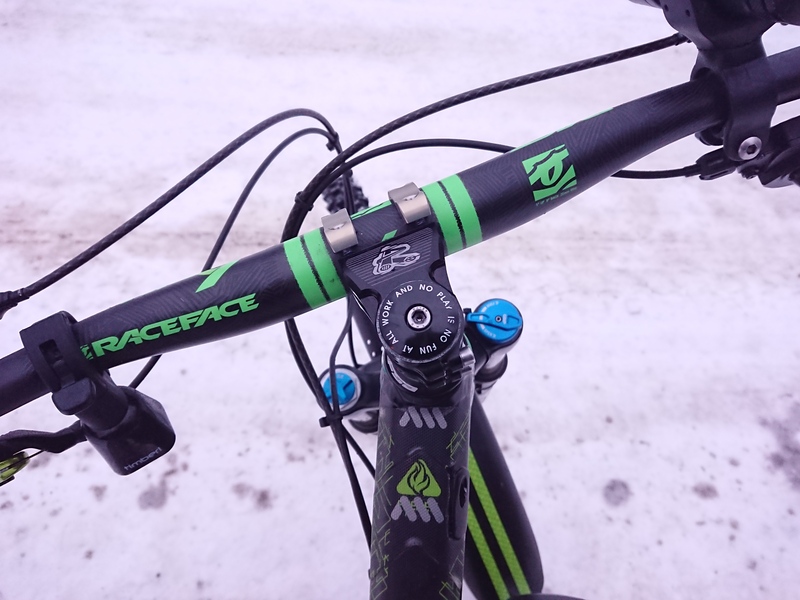 good shifting performance, if the clutch is well adjusted, by having a hard clutch you get harder lever action, so optimising it for you is important, I can’t have it super hard, the shifting performance is good with the Xt m8000 cassette, but also with the Sunrace cassette, but the Sunrace cassette, has backpåedallign issues So I can’t recommend it. 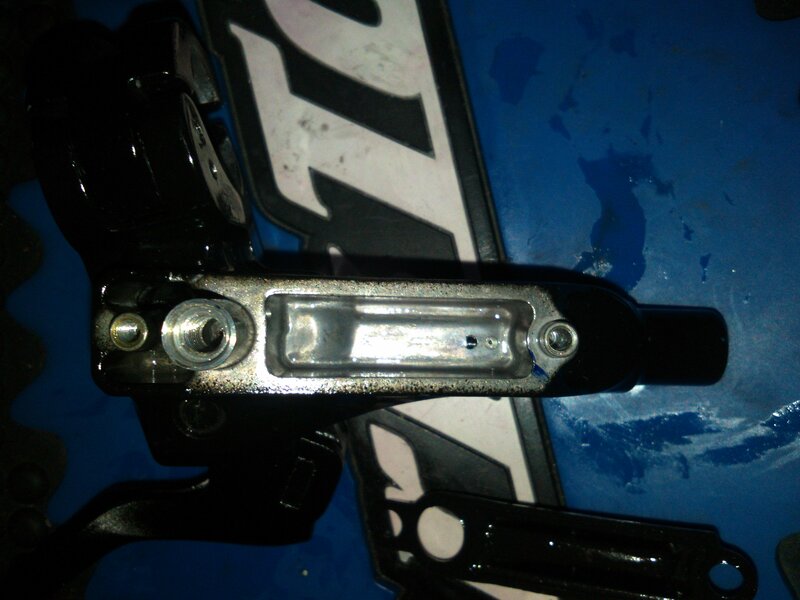 Apart from paly do to lack of use of bearings or bushings, it performed well, without any major issues. 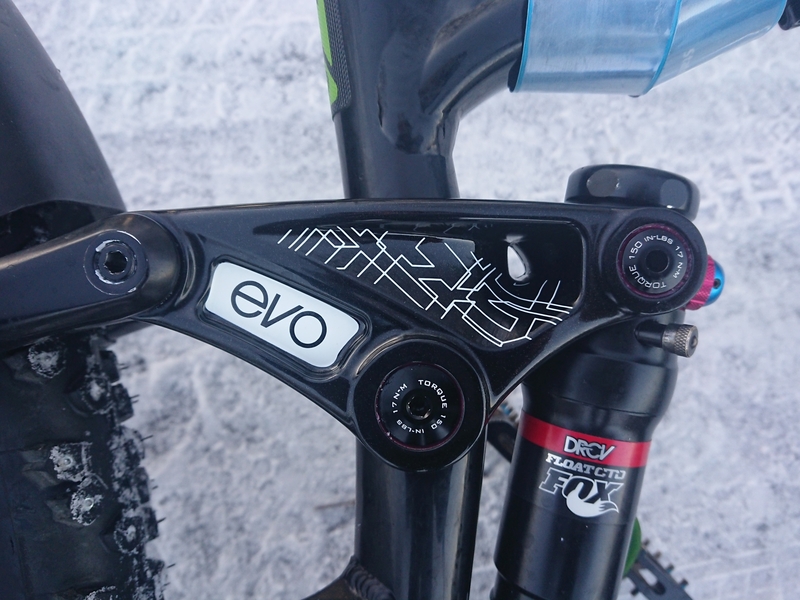 I can’t really recommend it, but I kind of do,my standards are very high, currently a complete perfect drivetrain solution does not exist. 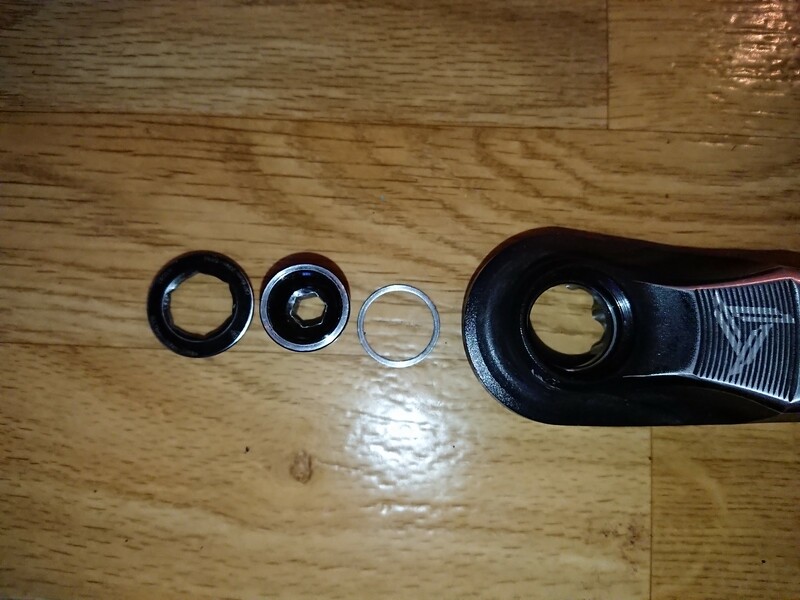 For me, the fastest & easiest solution when the awful Shimano M552 cranks failed, was to get turbine cranks. 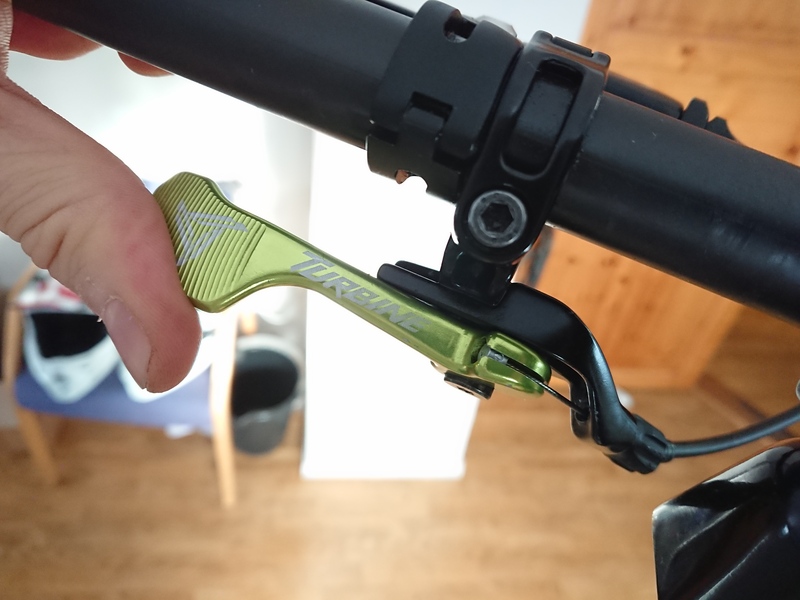 The cranks on my trek 6300 bike failed, so I de sided to switch to my trusted Turbine crank, plus crisp King bb, so I decided to try Atlas cranks, I thought I would notice the difference, and I did. 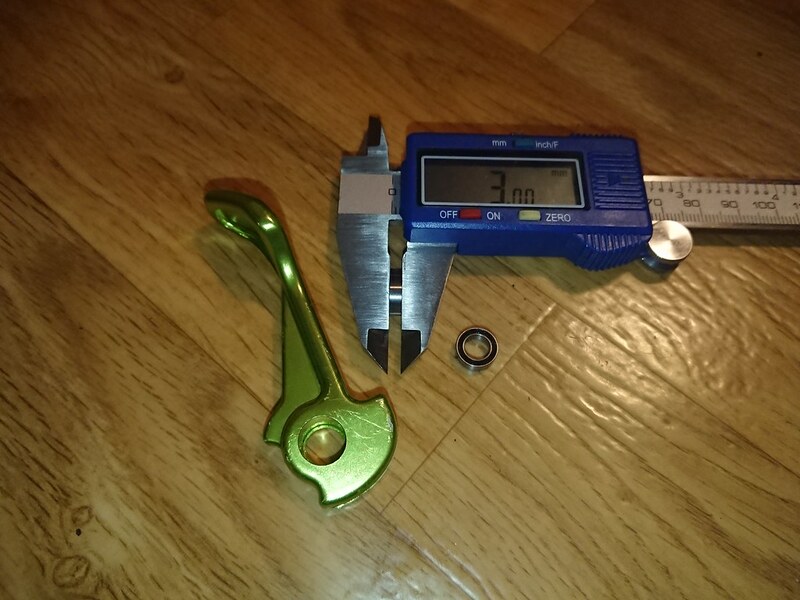 The crankset is quite similar looking, but there are several differences, the turbine cranks look pretty similar to the Atlas cranks, but the Turbine have a lot more material shaved off in arm where the bolt is & on the tip, the is also a difference in how much material is shaved off behind the crank, the Atlas has more material near the pedal. 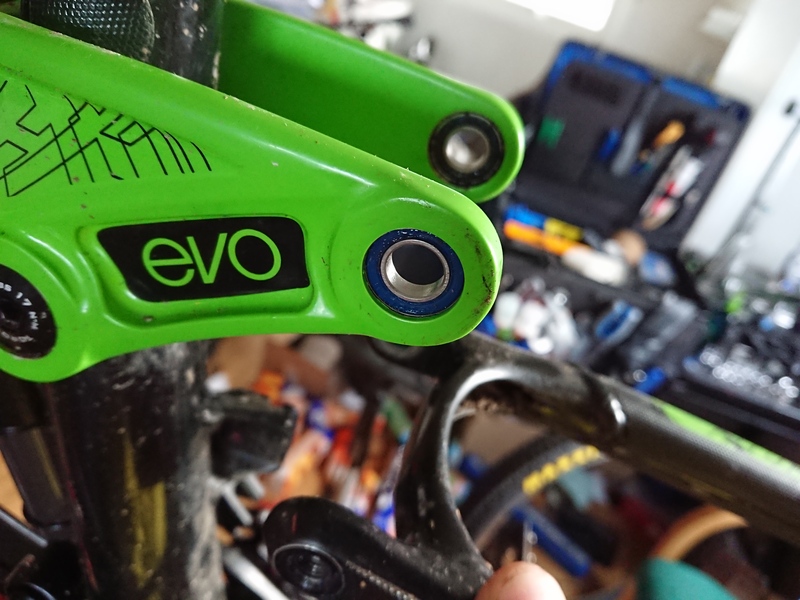 for commuting, or xc/light trail, these cranks were stiff enough, but on rougher trails, I could feel the difference in stiffness or another technical riding. 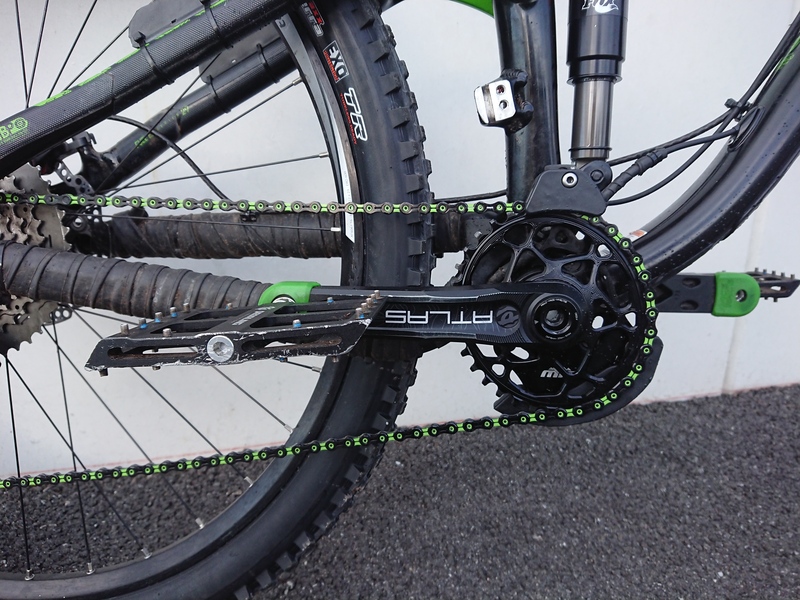 I think turbine cranks have a good stiffness compromise & of lightweight. 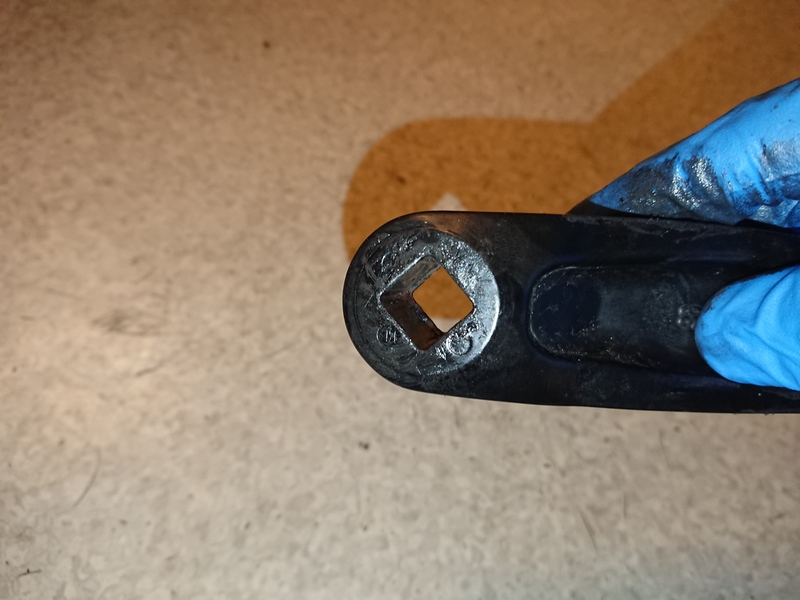 The crank ground on a concrete wall, I was unharmed, it did not even hurt. 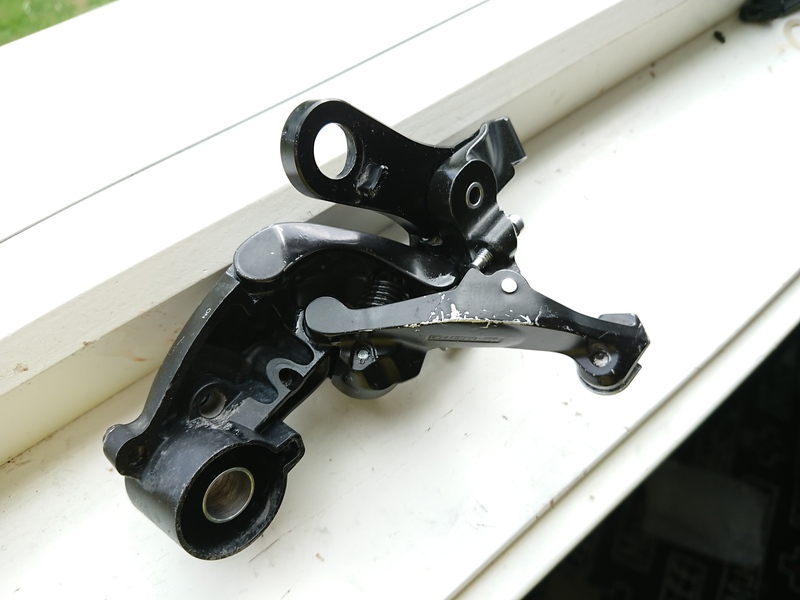 My right shoulder slipped turning the bars to the right, resulting front wheel dropping off a wall, and me falling down with the bike about 1 meter on concrete. 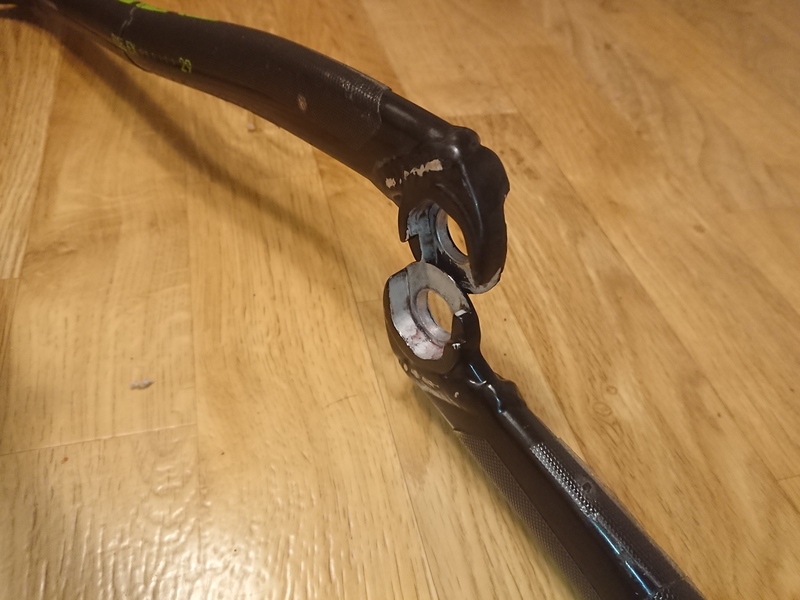 the reach dérailleur hit the top of the wall & grinding along it, the fork first went off the wall to the right but the rear was grinding it eventually fell down and the fork hit the wall and eventually, the whole bike went down with me. 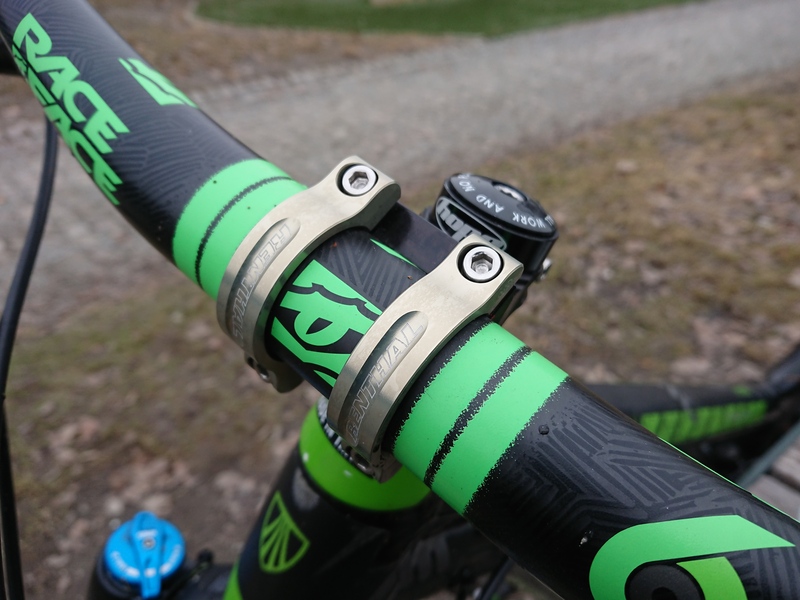 Even before riding the cranks on the trail I could feel the difference in stiffness, just by a quick test in being on the bike in the kitchen, I tested a lot of positions, but then I took it for a spin on the trails some days later. 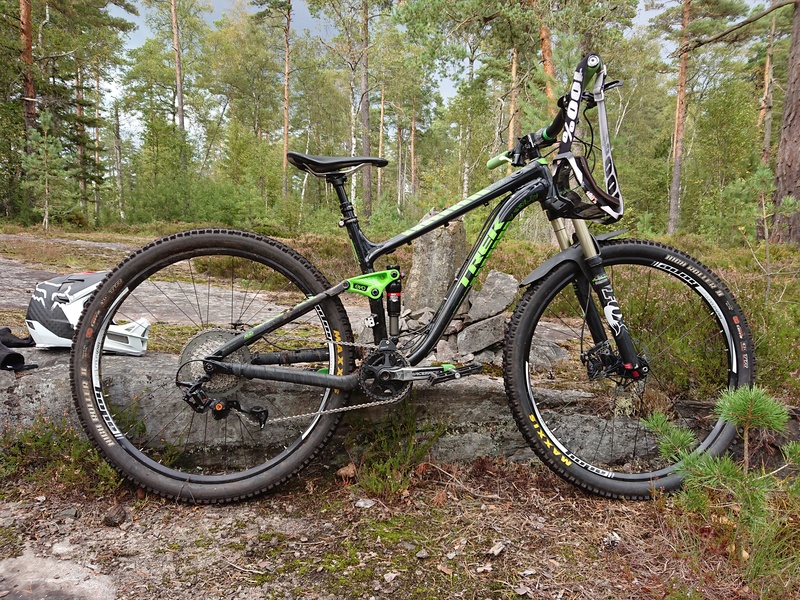 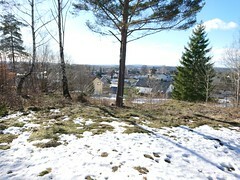 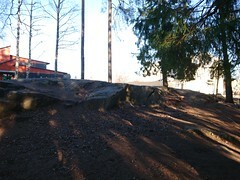 The first ride on the trails, I felt the difference, even though my frame is quite flexible in the BB area. 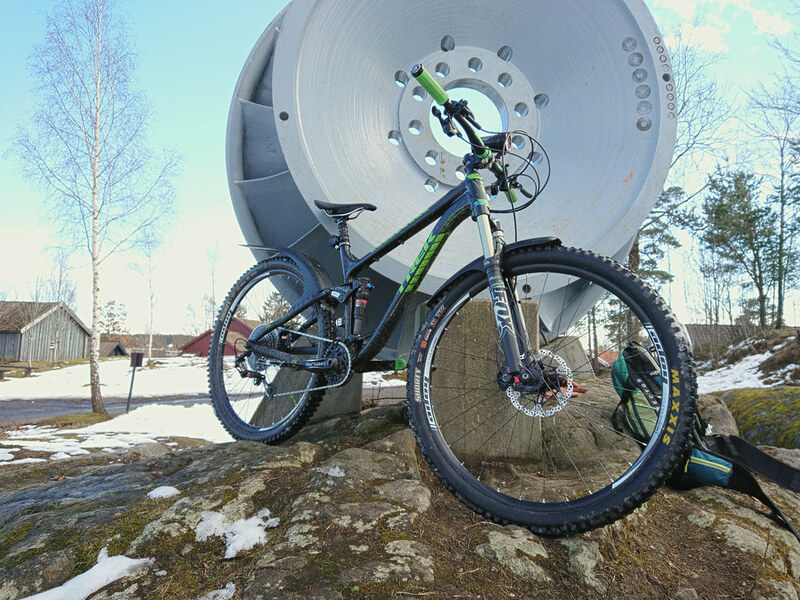 I could feel that the Atlas cranks were stiffer while riding technical trials. 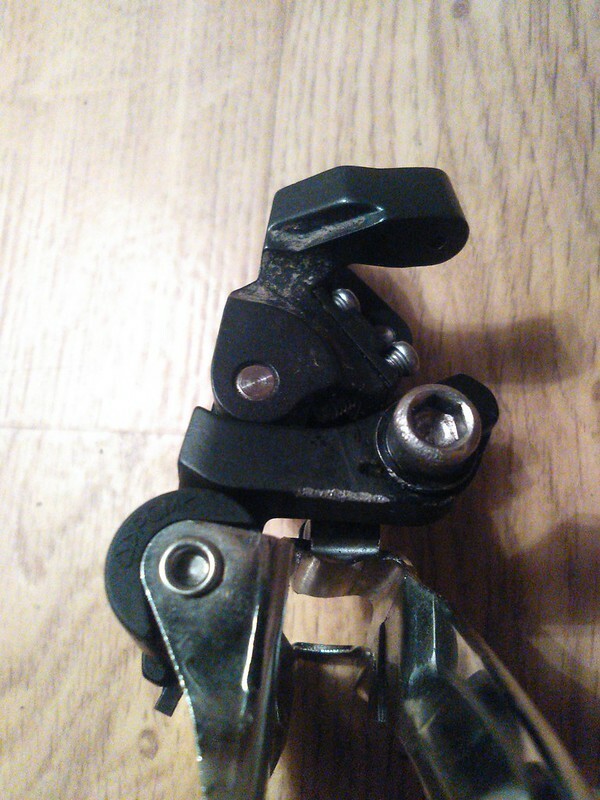 Both of the crankshaft a nylon preloading, which has a small Allen screw, which was easel rounded off even though I was very gentle. 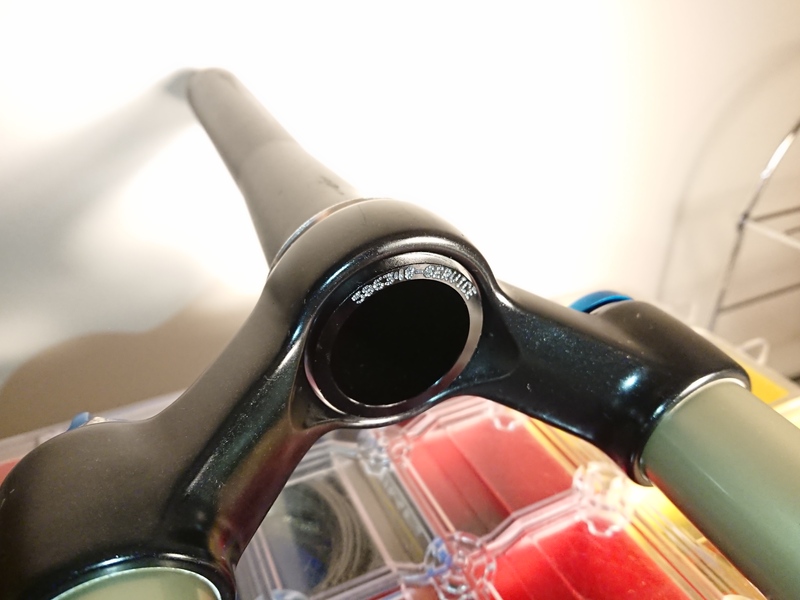 I think turbine cranks have a good stiffness compromise & of lightweight, so perfect for a commuter bike or for lighter riders. 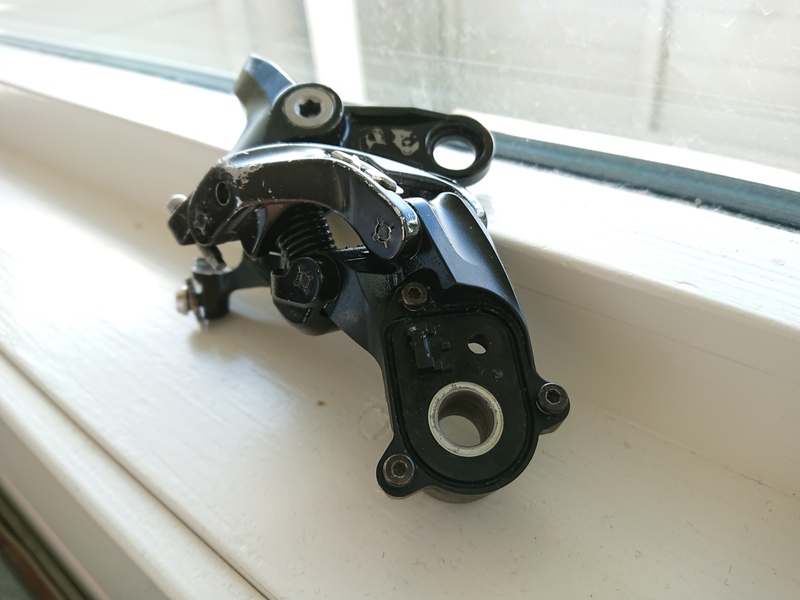 I am all for everything that gives me better control, and stability, which both Turbine and Atlas cranks gave me over the cheaper much more flexible Shimano cranks I have ridden in the past. 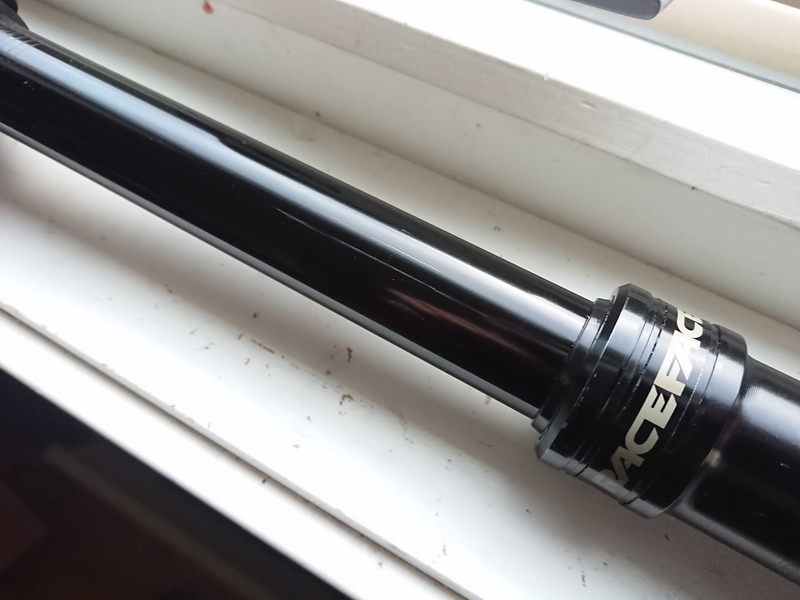 This is just a short-term review, so might update it later, if necessary. 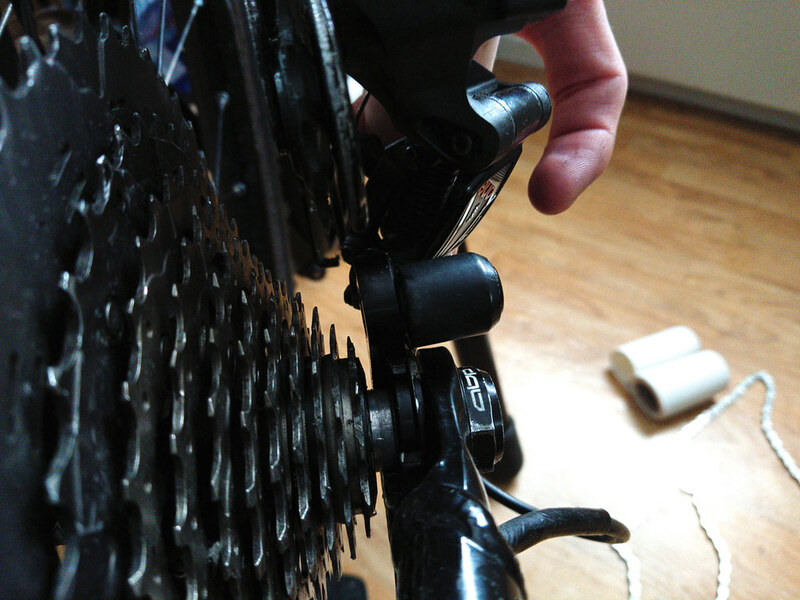 My feet misalign, and I have to get them back in place, so with flat pedals, this is easy to do. 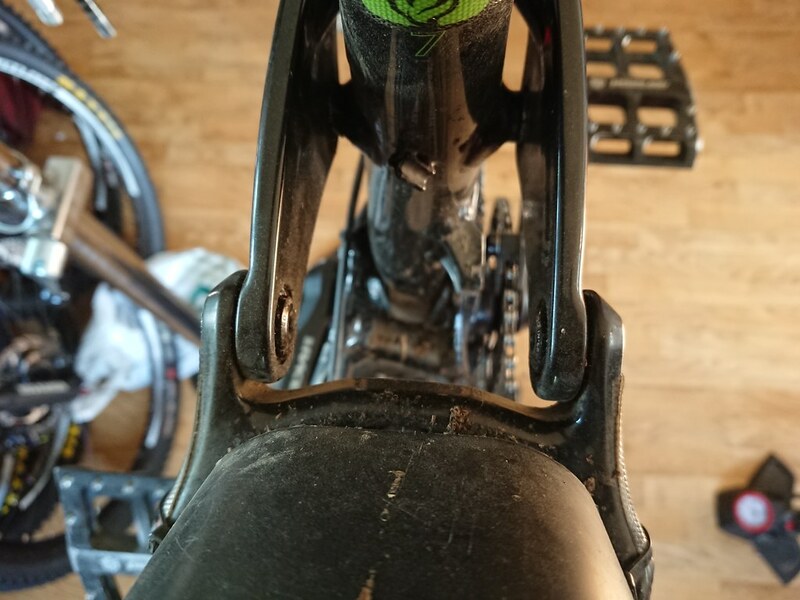 my toes also get forced up which results in pain if I continue riding with it misaligned, so I have to put my other foot over it to get it back in. 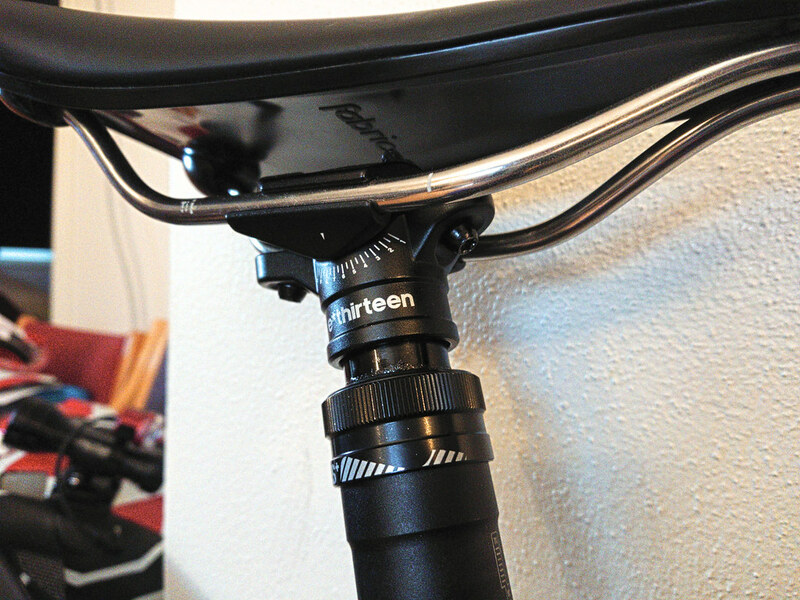 a frame with a low standover height helps a lot with this too. 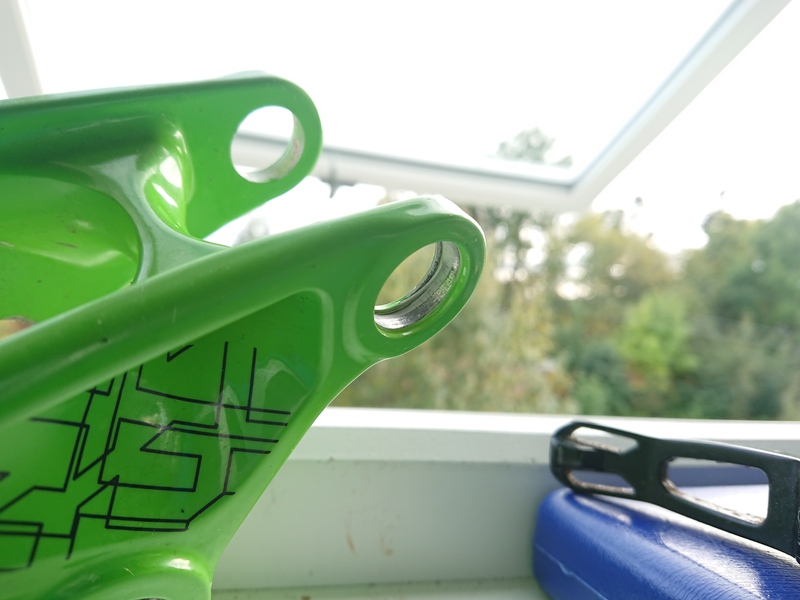 Some long time ago I found a review of the Catalyst Pedals on pinkbike, since then I wanted to buy them, but did not get around to doing it, But this year I did, actually wanted pedals with a long big platform like the Catalyst pedals for several years, but I could not find anything until I found that review on Pinkbike. 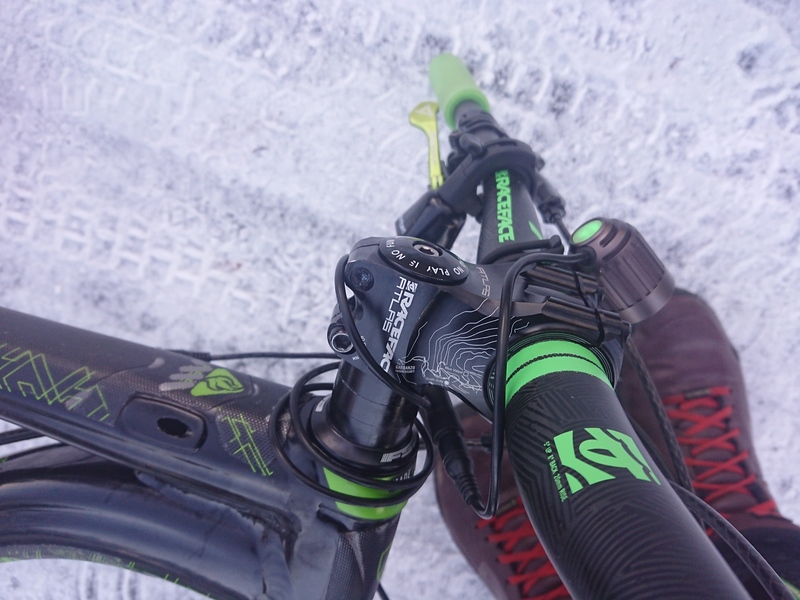 The first time I took my feet on the pedals I felt at home straight away, I did not even take them out for a ride yet, and I could feel the difference, but then I took them for a And they were what I expected, they gave me more control, I noticed my climbing was better, when doing manuals I was much more in control, No matter what I did on the bike It felt great, and more in control, I Rode up a wall in the city plaza and jumped off it, there was a definite difference when I landed, the drop off, my feet were much more stable, standard size pedals always it felt weird for me on landings, but with the Catalyst pedals, landing jumps and drop-offs hard feels a lot easier on my body. 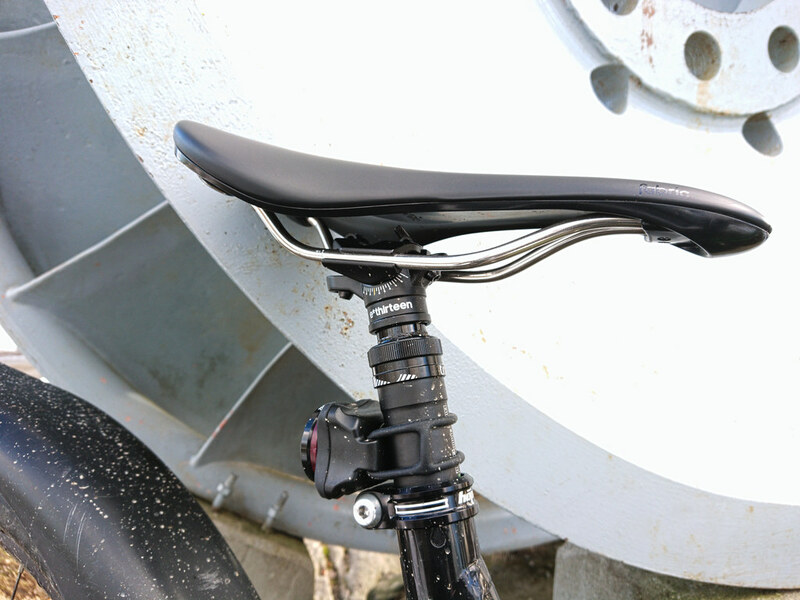 More precise pedal stroke, more stable climbing, I no longer spin the rear wheel while climbing Gravel roads while standing. 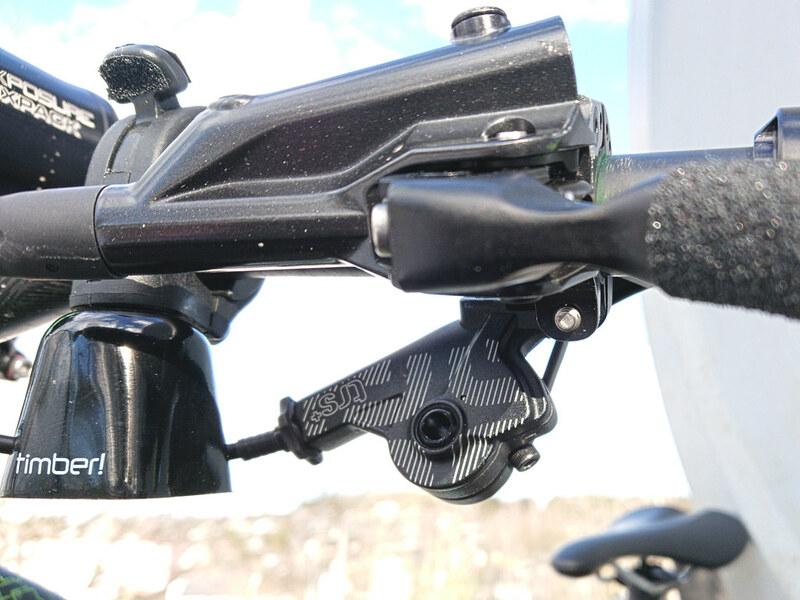 The pedals hold position when you spin the cranks with the foot off, which is great, but of course, at extreme speed, they will move slightly. 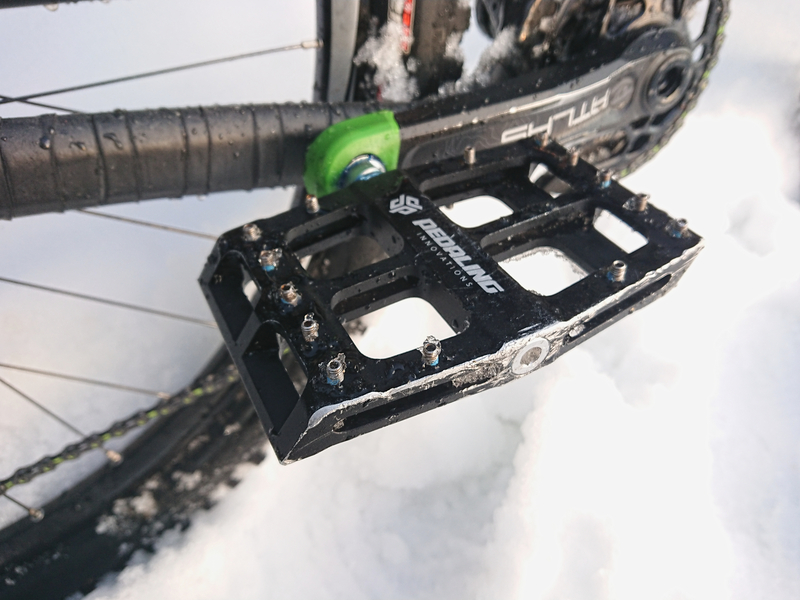 The bigger platform also makes it easier to place the feet on the pedal, in those situations when you can struggle to put your feet on the pedal properly. 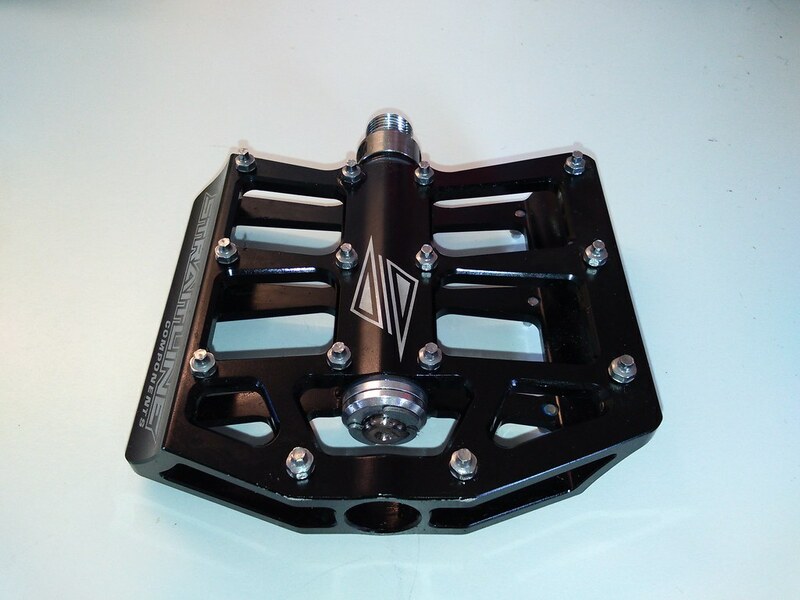 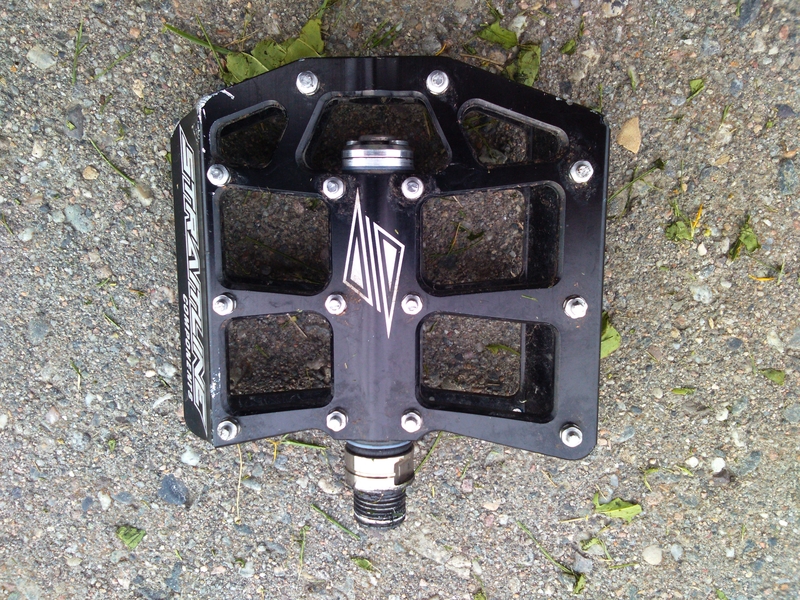 These pedals have much less drag than the Straitline DeFacto pedals. 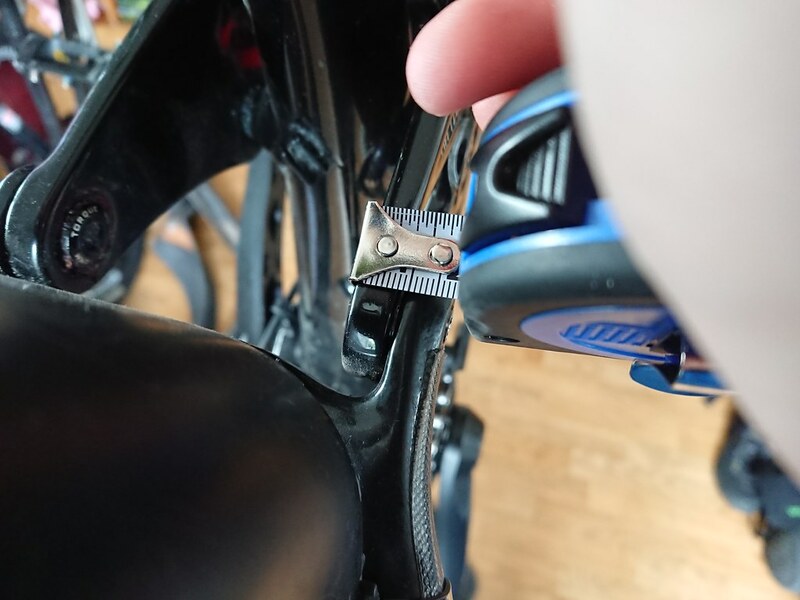 I installed the longer pins from the get-go, as I got issues with my joints, which mess up my riding from time to time, so the maximum of pins is the only choice for me. 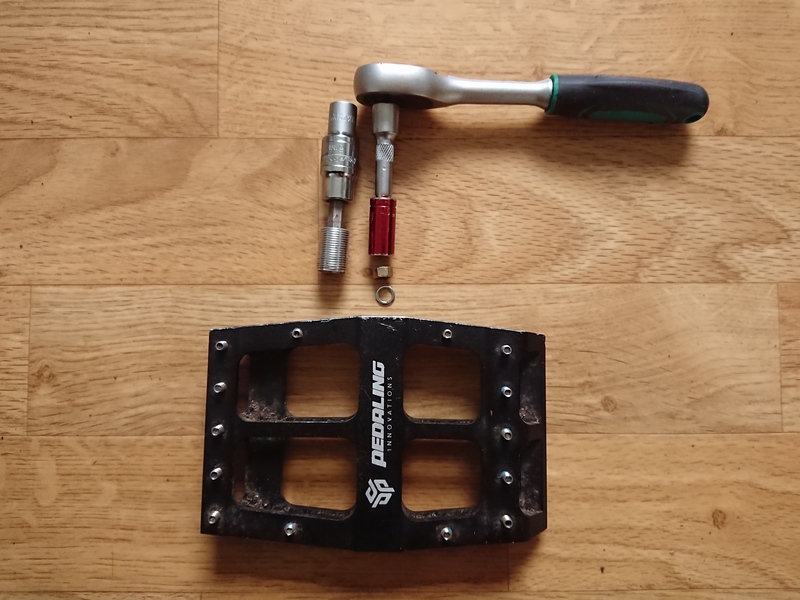 After weeks of use, I did not notice any creaking or noises from the pedals, unlike the Straitline pedals, which have issues with a O-ring, but the Catalyst pedals don’t have any flimsy O ring that could cause issues, instead, they use a bushing and bearings inside the pedal. 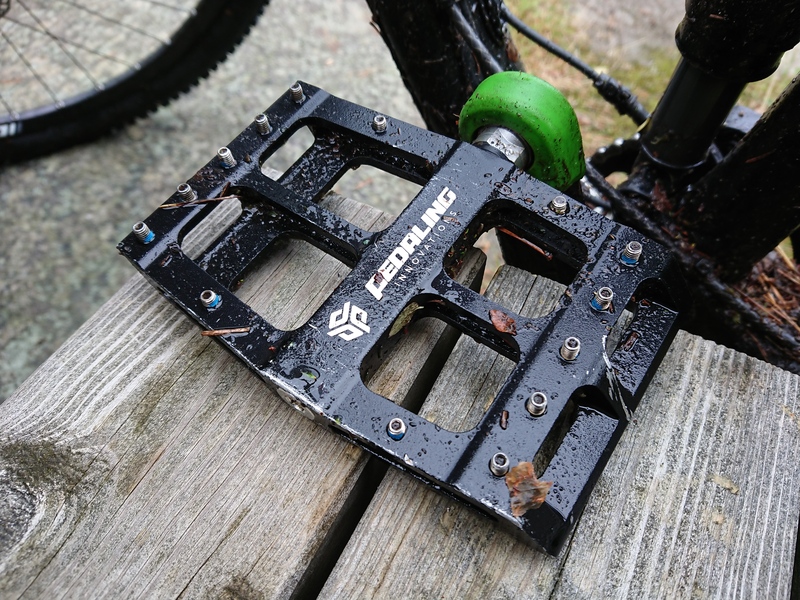 So far the cleanest & smoothest pedals I have used, which the Straitline Defacto struggled, they needed service more often and got dirtier, and washer got worn, the O ring stretched and disclosed, there are no so such issues with the catalyst pedals. 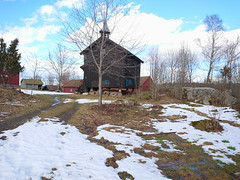 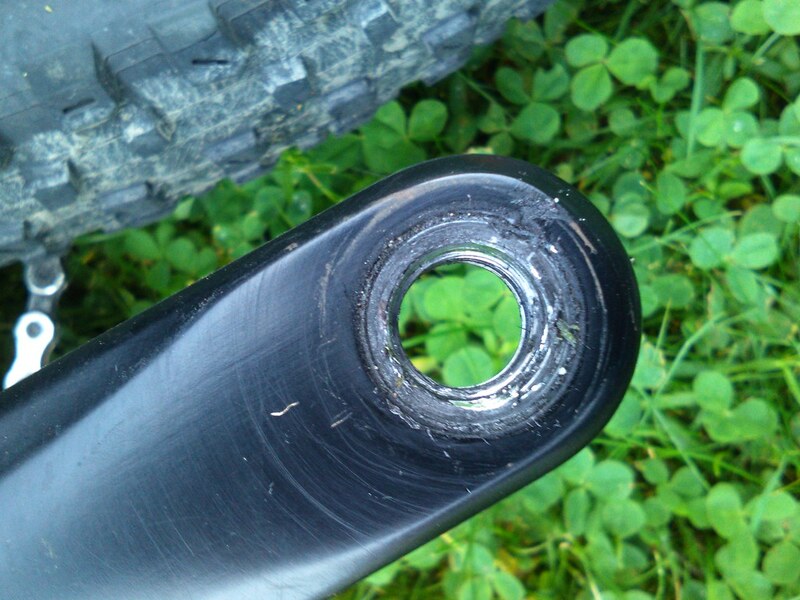 The black bushing has never dislocated. 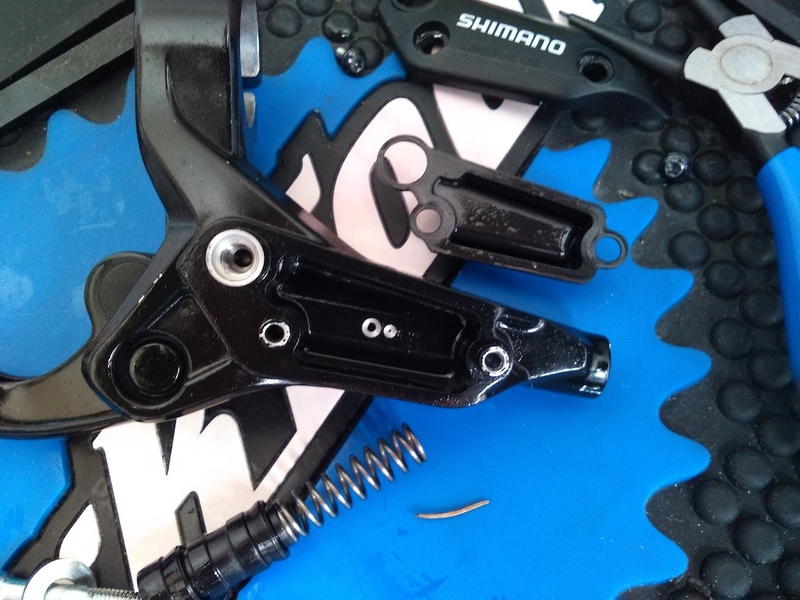 The catalyst doesn’t attract as much dirt as the Straitline pedals, because they don’t as open design, with shims, and E pins. 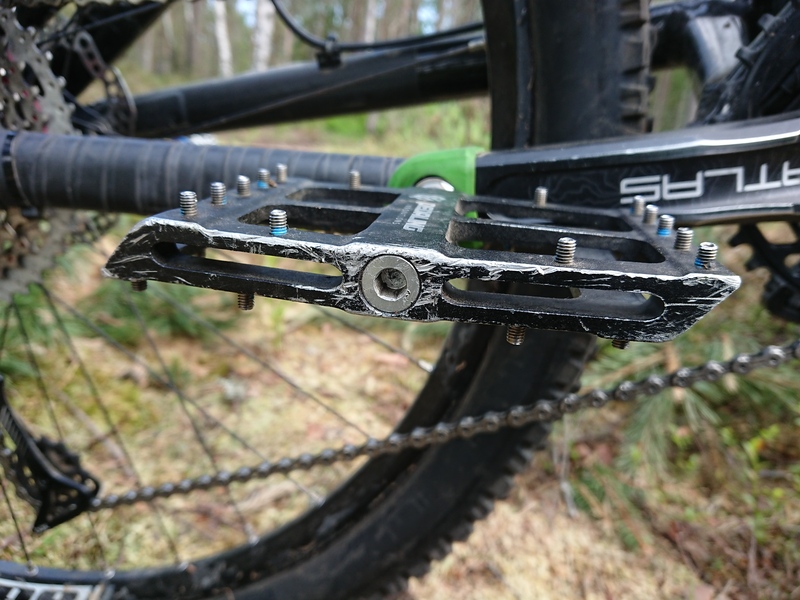 The platform does not get as much dirt stuck in between the platform as the Straitline pedals do, but their pins will get dirt stuck in them. 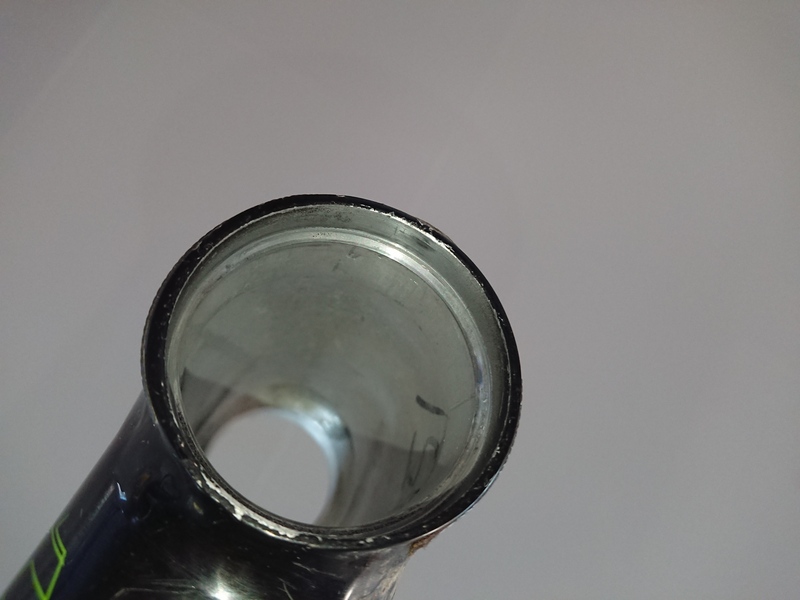 you need an 8mm socket, a 6mm Allen key or a bit. 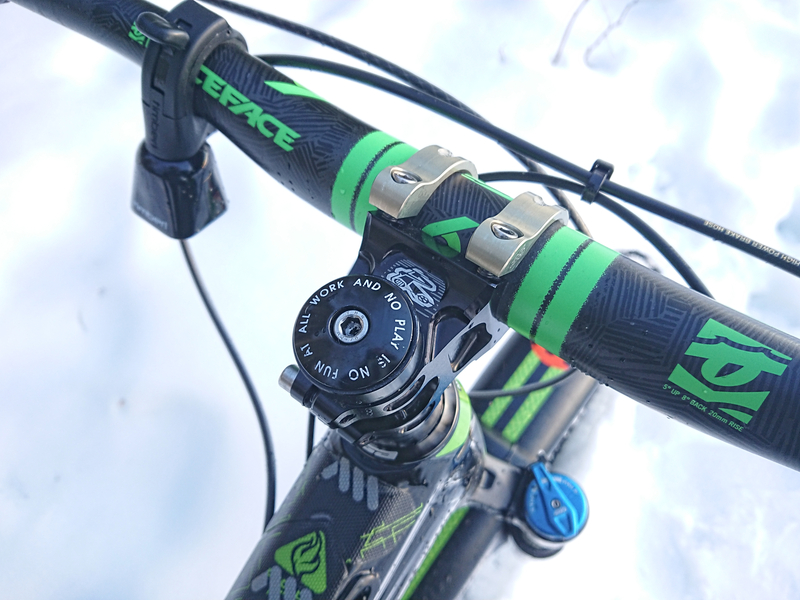 Using the long pins everywhere is a must for the winter, the longer pins will give you grip when the pedals get covered in snow. 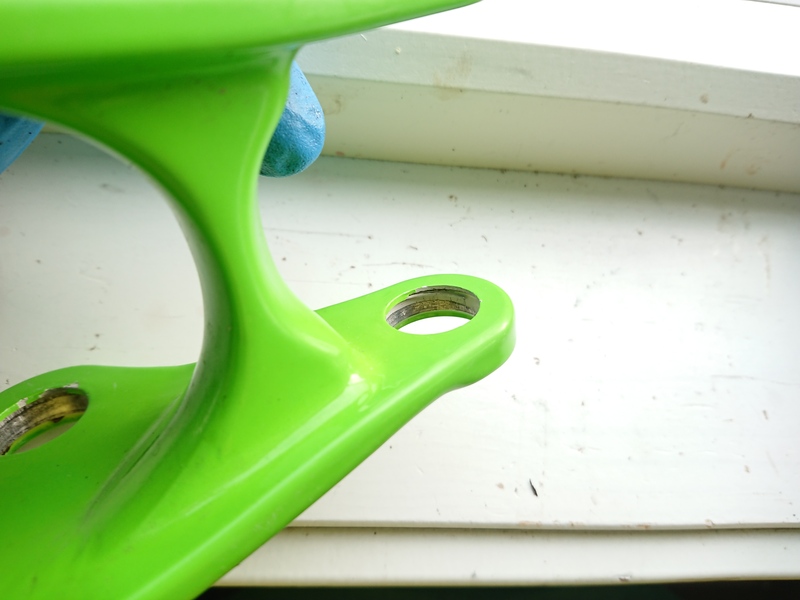 The pins are won’t be easy to remove when damaged, because of the female Allen design, the Straitline pins are easier to remove, but if you have can drill out the pins this won’t be an issue, not everyone has the tools for that job, I managed to smash some pins on my first rides. 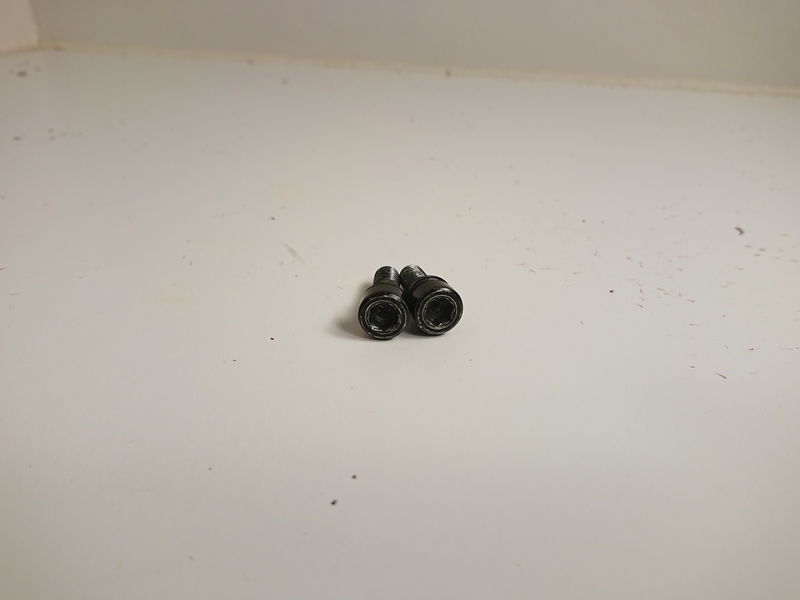 Both sets I received came with missing long pins, also one pair had 1 more missing pin. 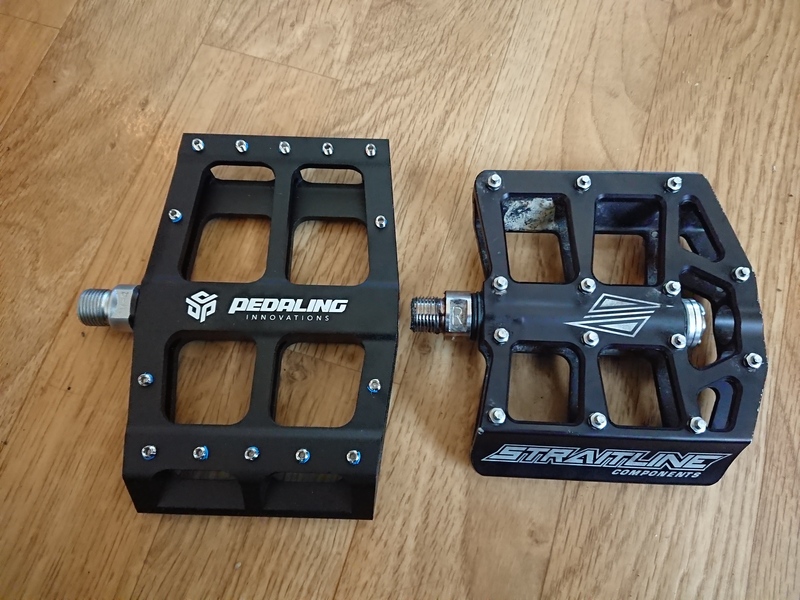 I absolutely recommend these to any rider, if you are using standard size pedals you are missing out, The catalyst pedals are the best pedals on the market In my opinion. 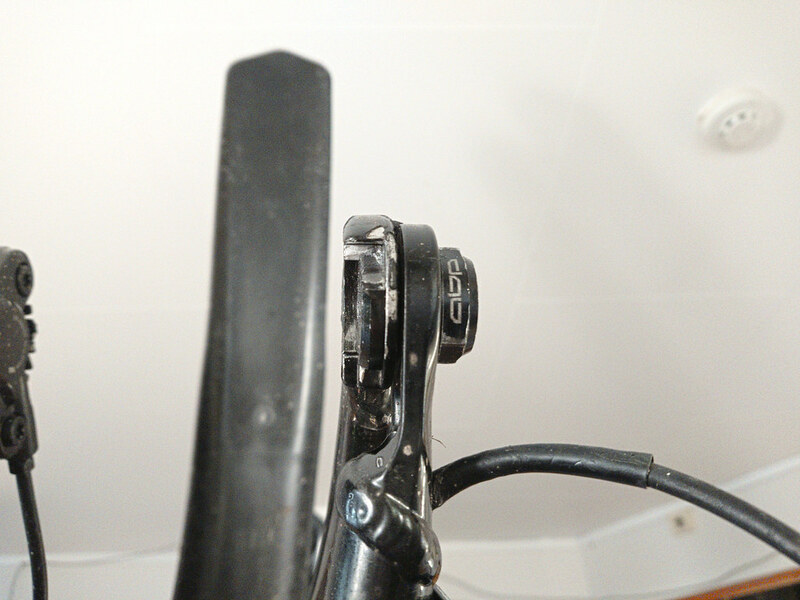 I have only used this bike as spare bike in the summer, but I used the bike one and a half winters, the same thing happen as the Acera cranks, the square taper hole had damage, it did not show as much as this bike was not used as much,I noticed it before any huge play, as on the Acera crank there was damage to the corners, there were some scratches and small crushed metal,but I also noticed the UN26 bottom bracket was worn out, it was barely used, just used few days, they lasted quite long before, But I did not check the play for play in the bb. 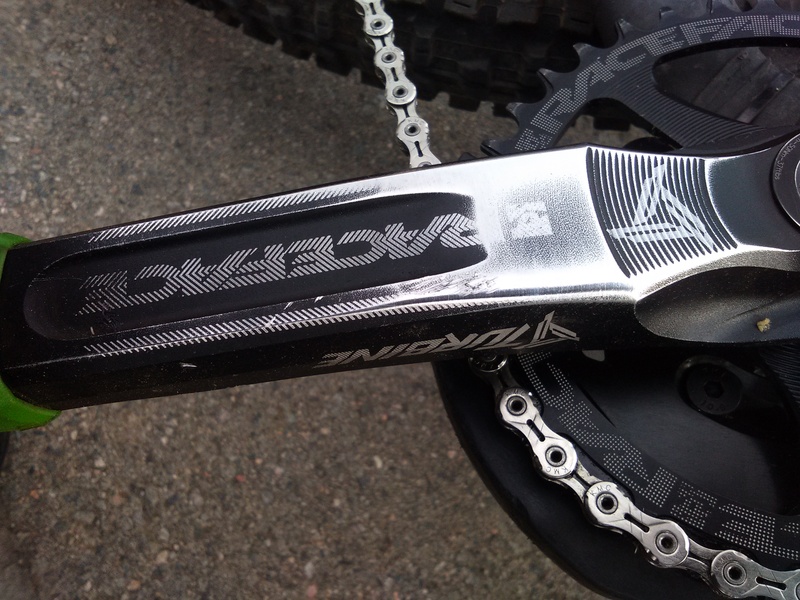 These cranks are about as flexible as the Acera cranks. 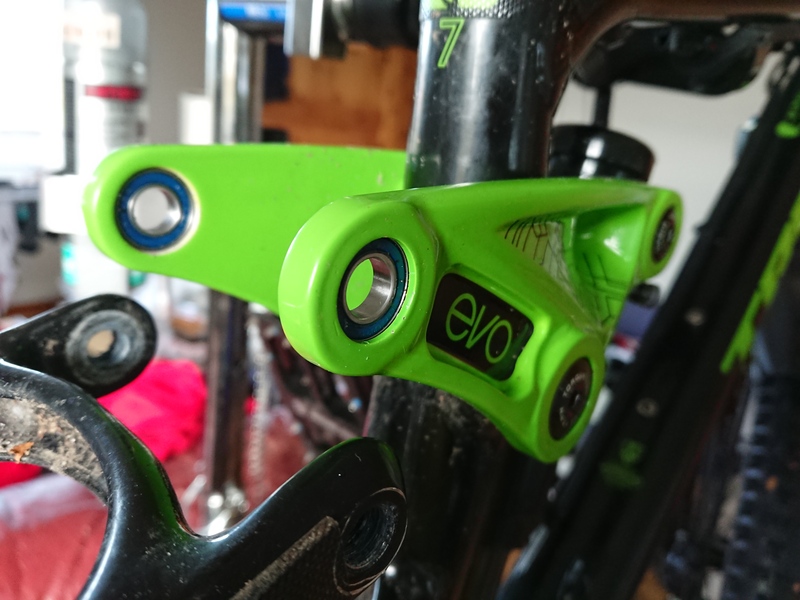 these cranks don’t work well with 1x set up as the offset of the middle ring is too far outwards, so without spacers, the drivetrain will be very noisy. 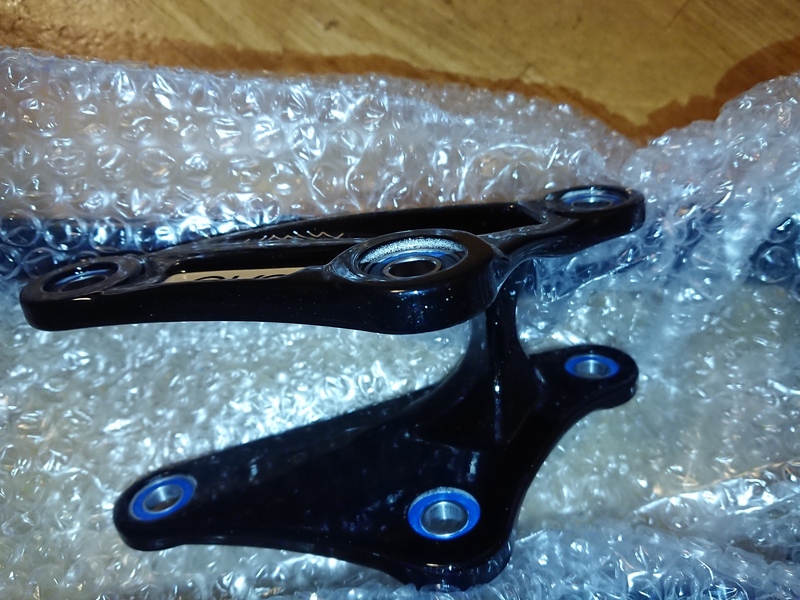 So, of course, these cranks and BB were removed, I can’t have components like these on a bike I ride because I will destroy them, For me, it’s not saving money, but wasting money & time, Only High-end components for me! 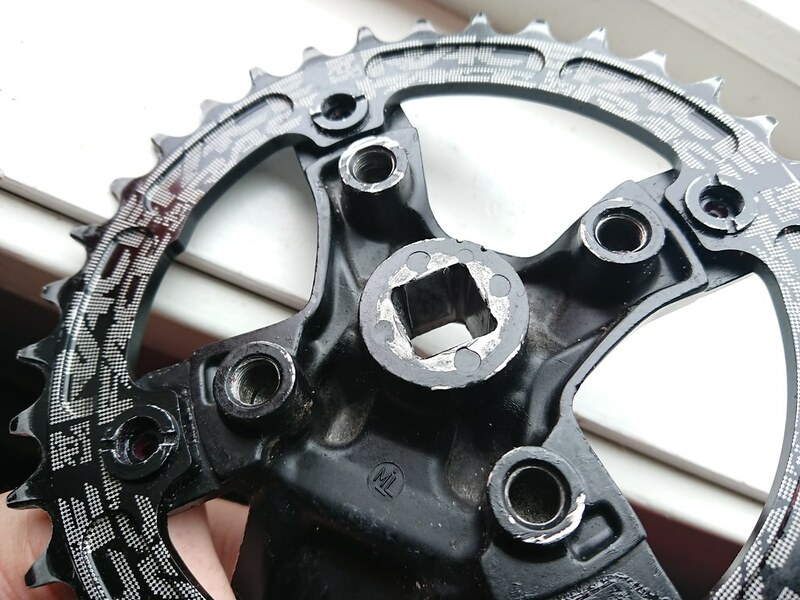 These cranks came with triple rings. 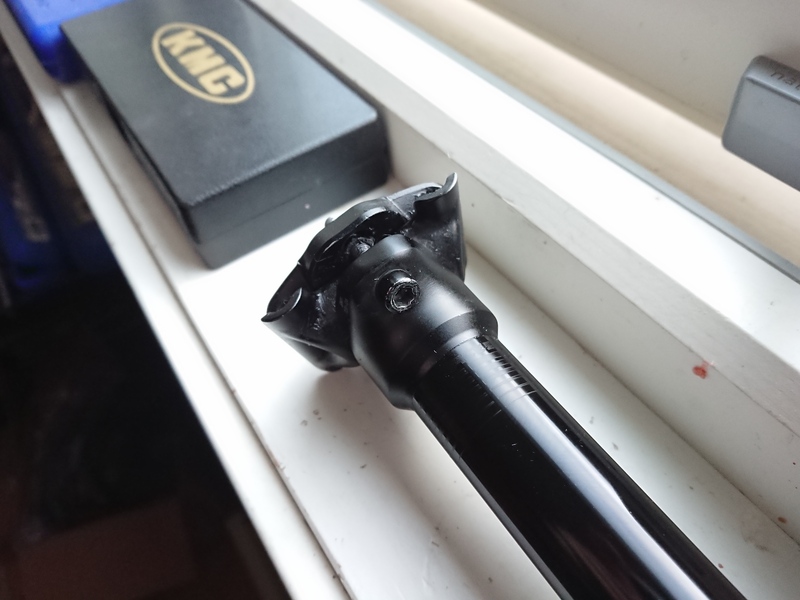 4th August I posted the review, but Since Then the crank was completely useless. 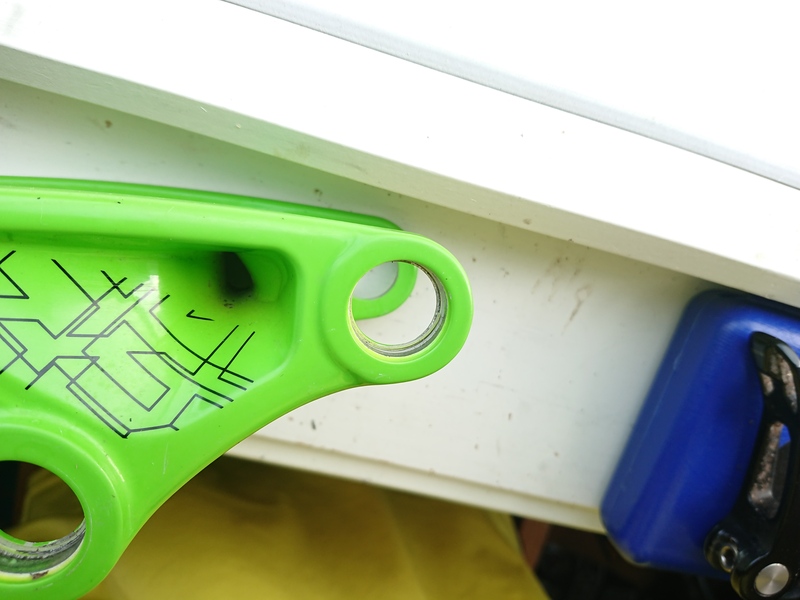 I have ridden this crank at least one season, but after I got my new bikes in 2015, I only rode this crank few weeks and days each year. 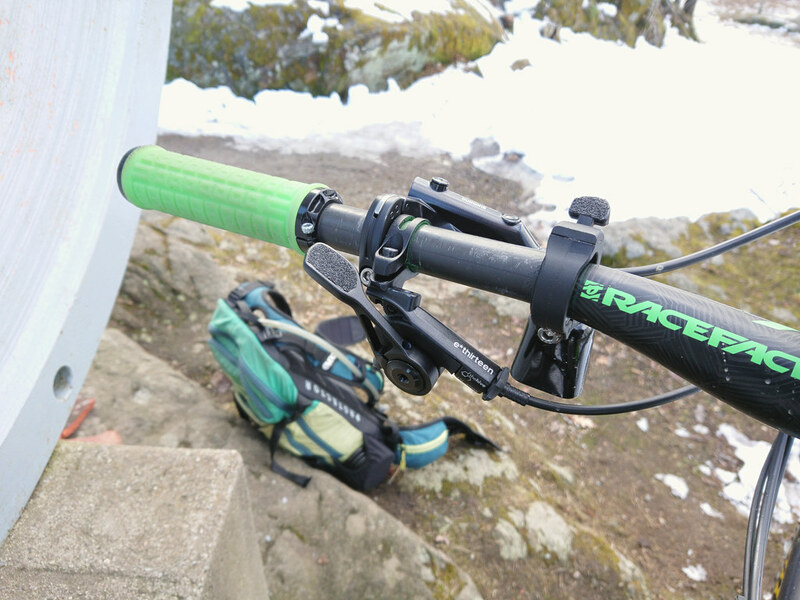 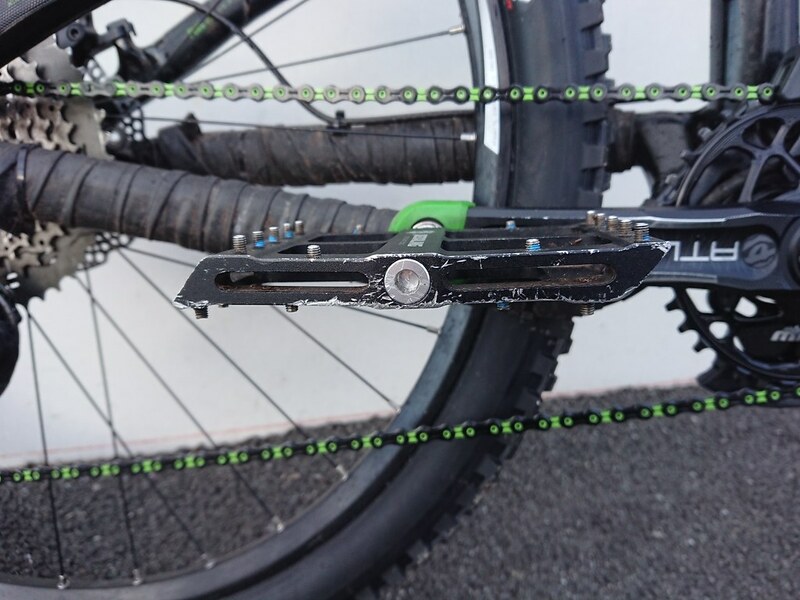 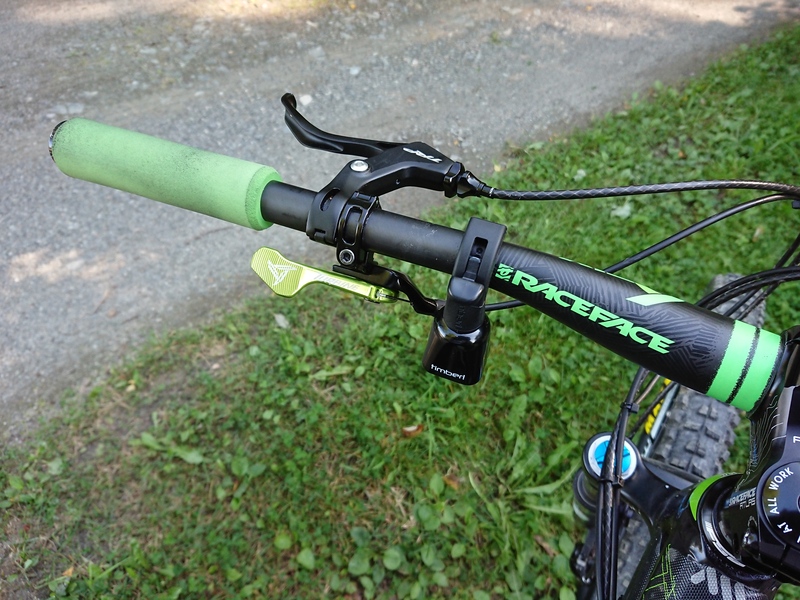 On my trail bikes, I have been using Race Face Turbine Cinch cranks, and they are very stiff, but the Acera cranks are not, it’s noticeable while track standing or on technical climbs. 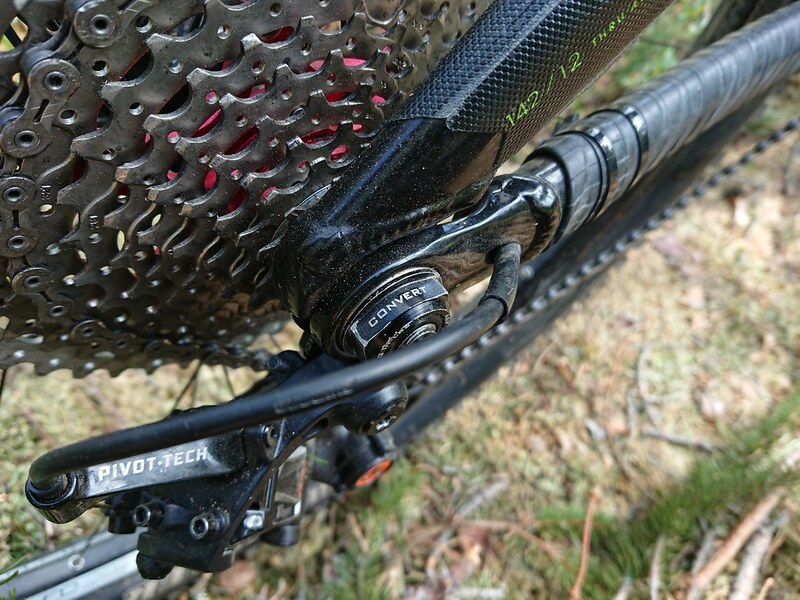 When track standing I can feel the cranks flexing, which I have not experienced while riding on Hallow XT cranks. 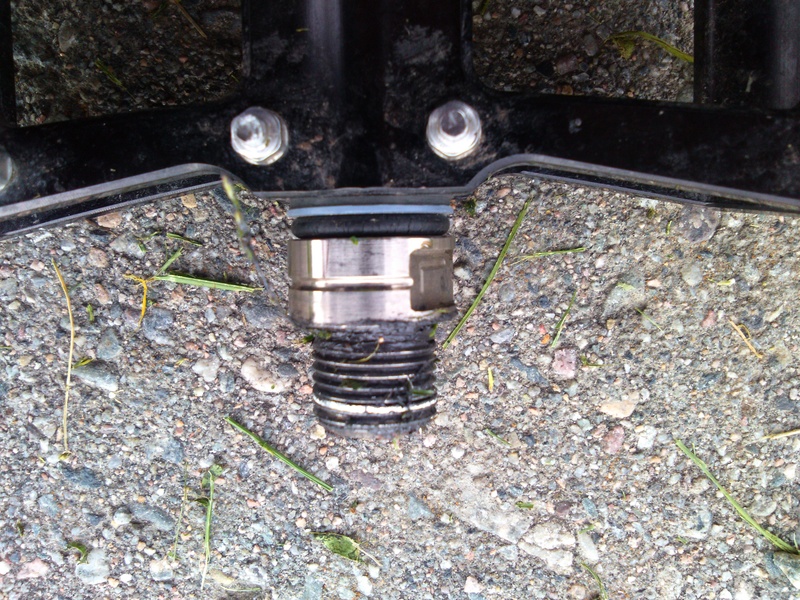 So far no damage to the threads for the pedals, like on the M522 cranks. 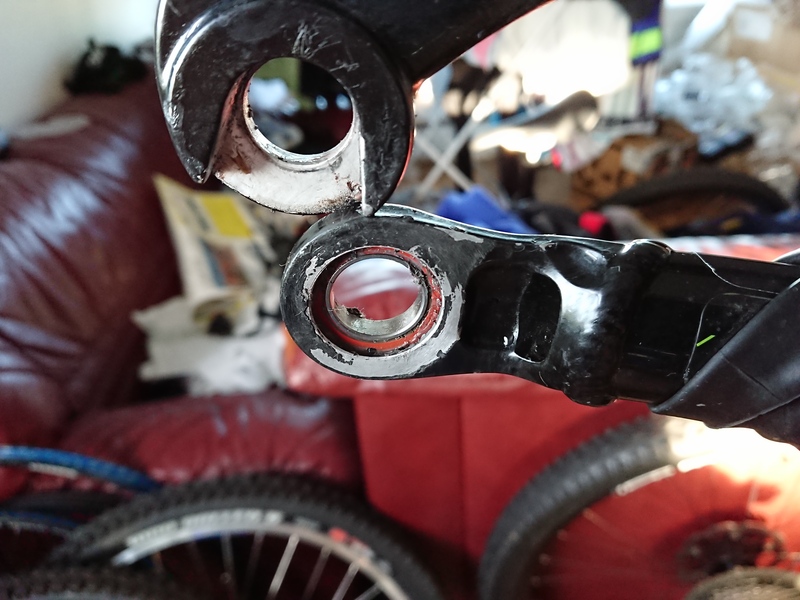 But these cranks are clearly not good enough for me. 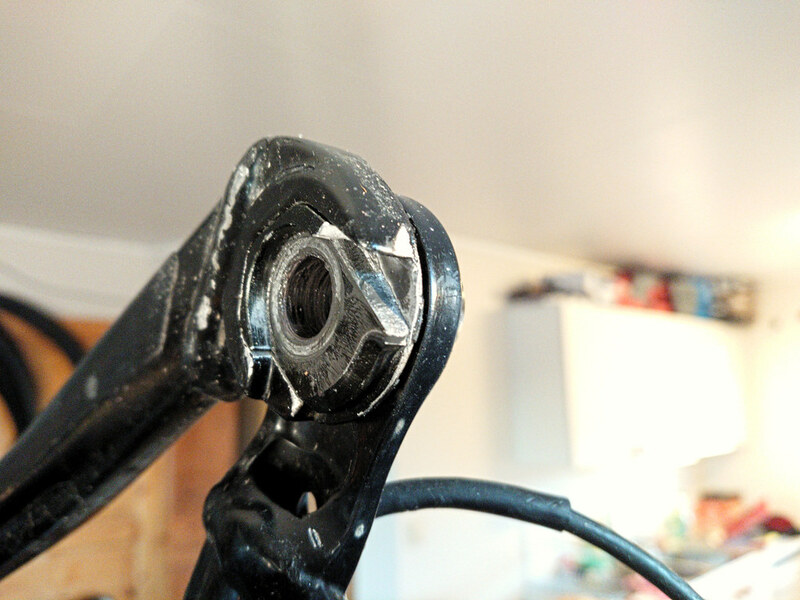 Picture showing the left crank arm with crushed metal, the damages on the corners is also quite visible. 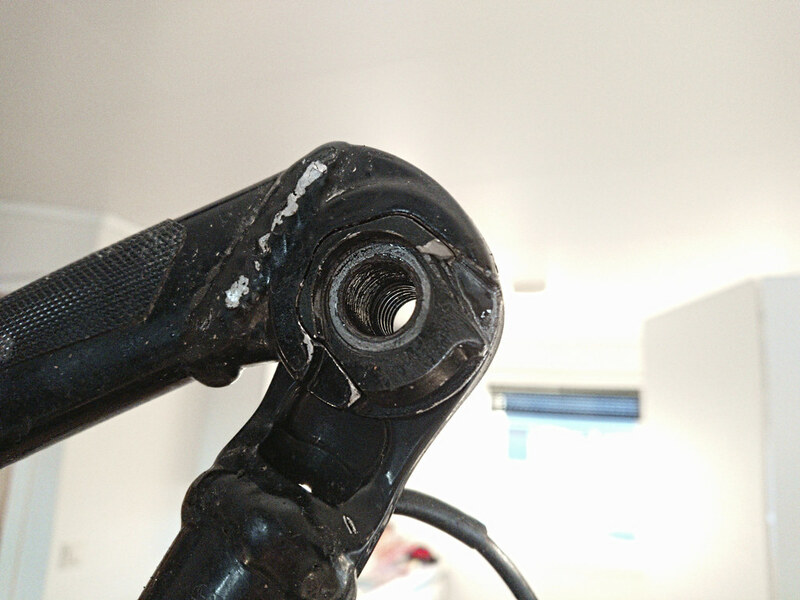 A few Days ago the crank looked like it was in perfect order, but I took the bike for a short side-walk ride, and after doing a inspection on the bike I noticed I managed to bend the spider leg on the front/ to the right of the crank. 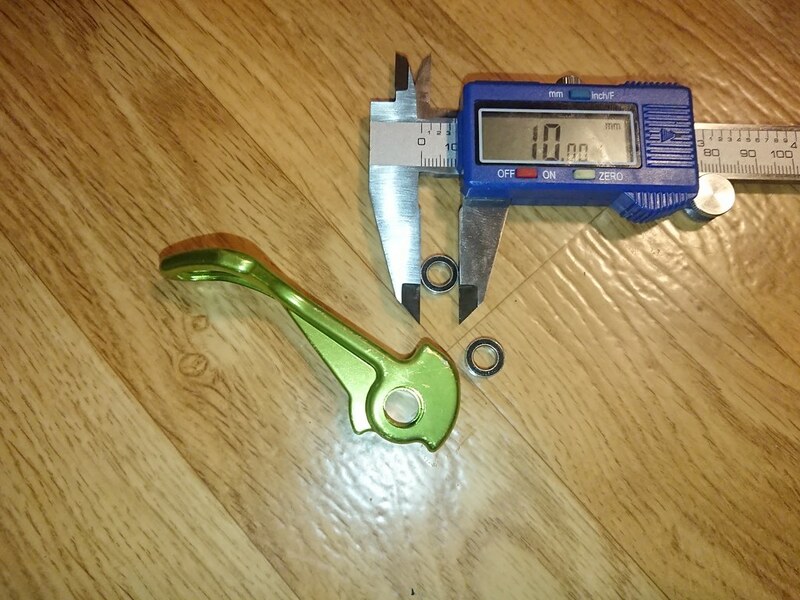 after a closer look Isaw the square taper hole in the crank had tiny alloy ”spaghetti” & when sliding on the crank on the tapered square axle I noticed that there was a difference in resistance on each angle, might be due to wear caused by too flexible crank,I am about 75kg with all the gear on. 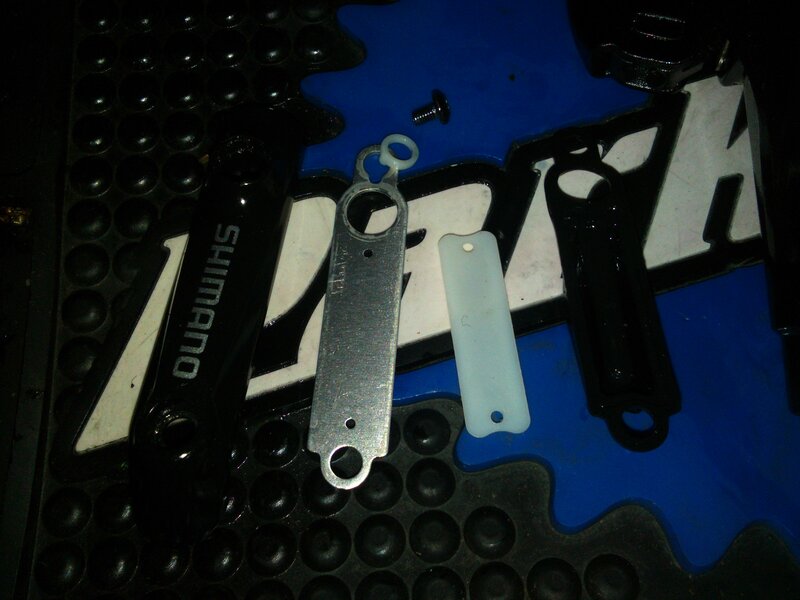 I have jumped the bike with these cranks, dropped of concrete walls. 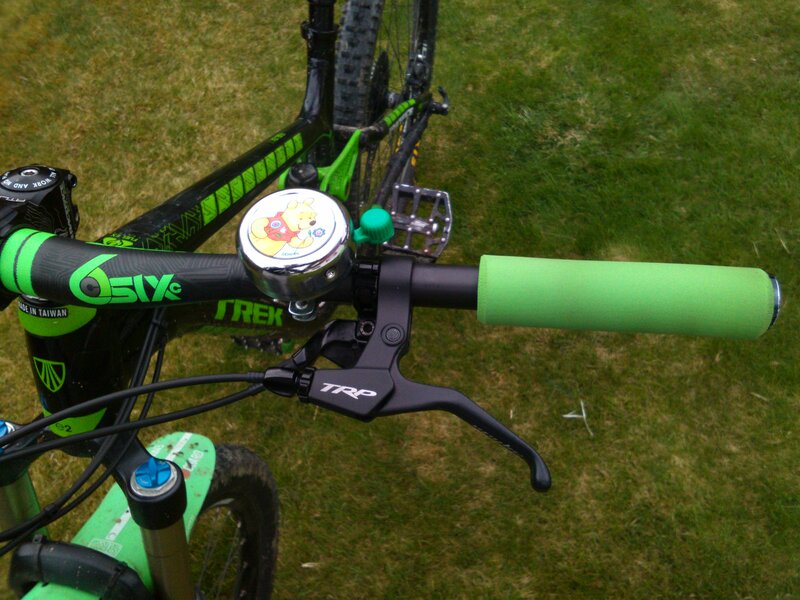 The hardest abuse these cranks got must be the time I landed on a stair step, with the pedals after jumping. 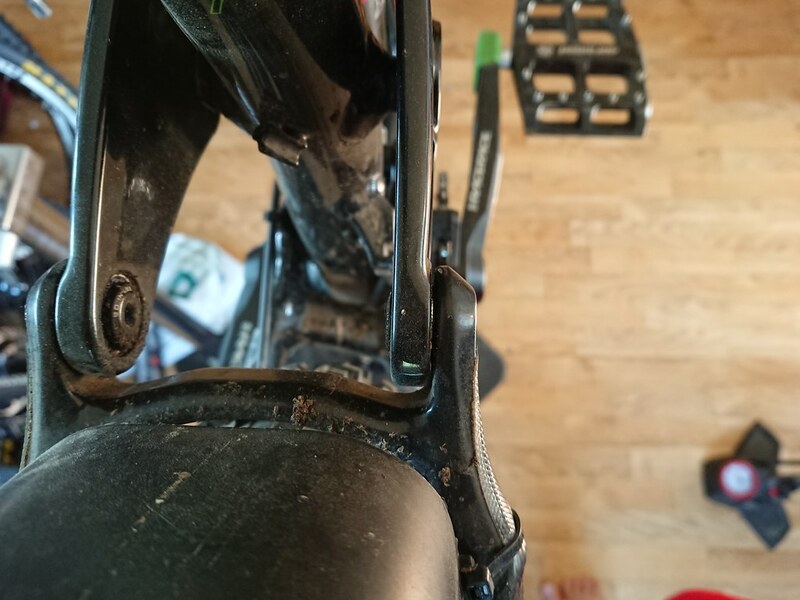 This rear dérailleur has been on some long rides, and got some abuse, some of the abuse was from crashes, some of the abuse is from the 2014 fuel ex frame set, so I am sure it contributed to the rear dérailleur wearing out faster. 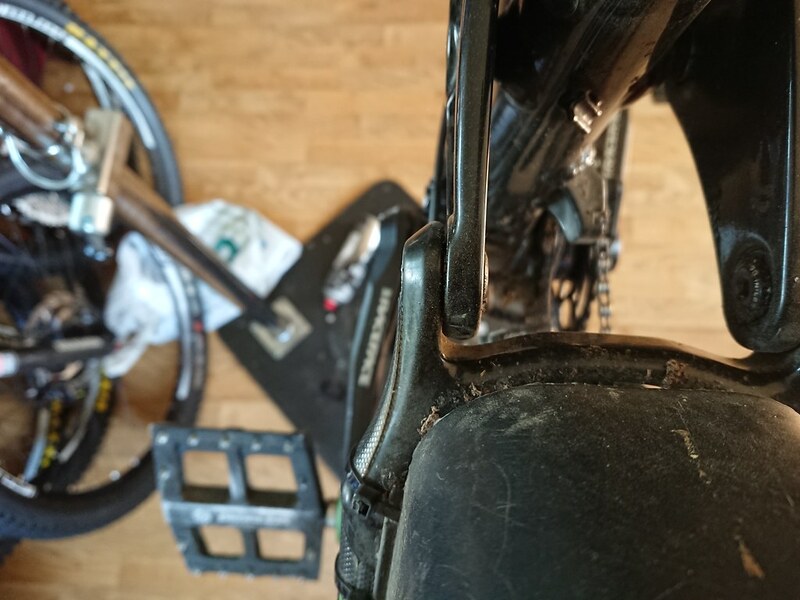 I have ridden this rear dérailleur since 2015, some weeks in 2016 & the whole 2016/2017 winter plus one winter, and some weeks and days in the summer of 2017. 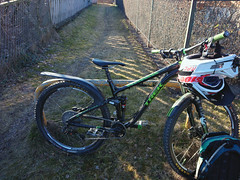 I ride a lot, I ride at least 5 days in a week (if I am well enough to), from 1 hour few hours, depending on how I ride up to 20 plus km, sometimes less, but my point is I ride a lot. 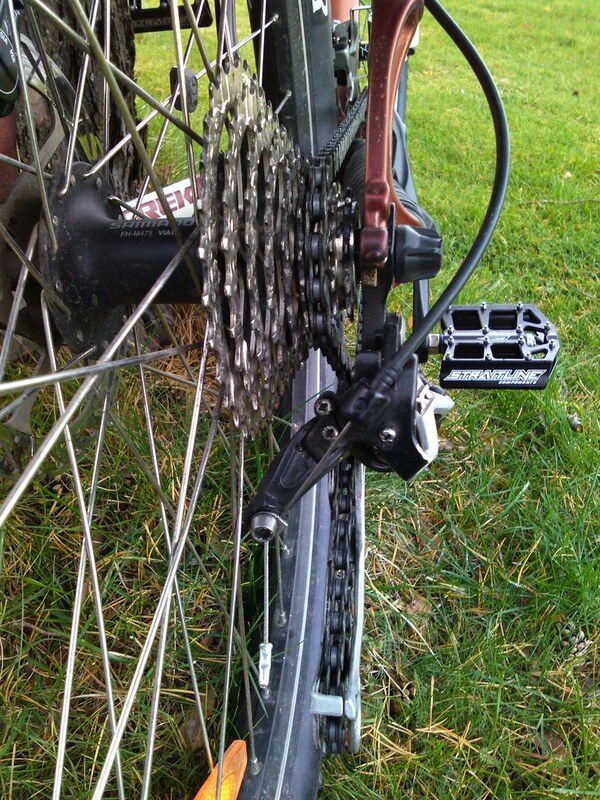 I have mostly used this rear dérailleur with 1x setup. 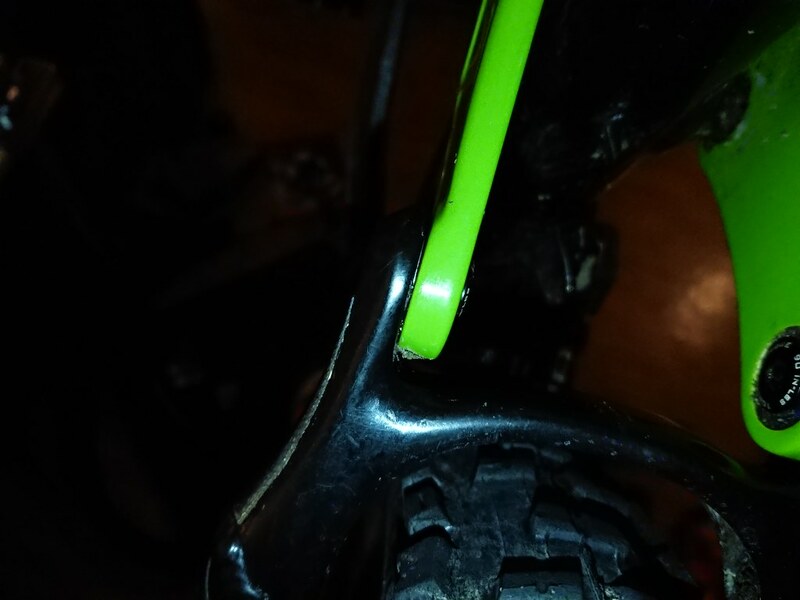 Sometimes I am unlucky and crash or mess up on a technical climb, and this is why the rear dérailleur got some scratches, It had some scratches before the crash, for smaller impacts, but the last crash really shows damage, but it’s only cosmetic damage, so my conclusion is that this is a robust rear able to take a lot of abuse, but the pins and swing arms are not replaceable, So when has play you have to get a new rear dérailleur. 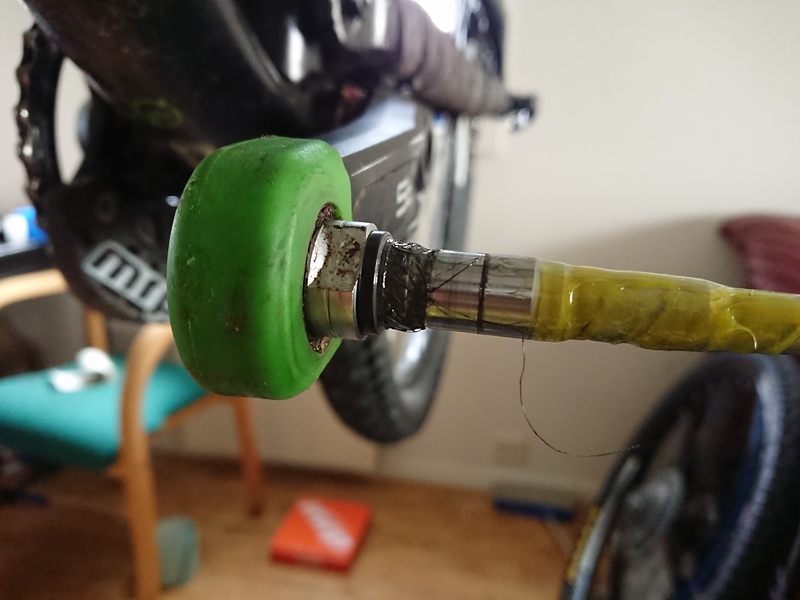 I crashed off a 1 m concrete wall, the cage was grinding against the wall, I had shifting issues, First I thought they might be the result of the crash, But later I found it not to be the case. 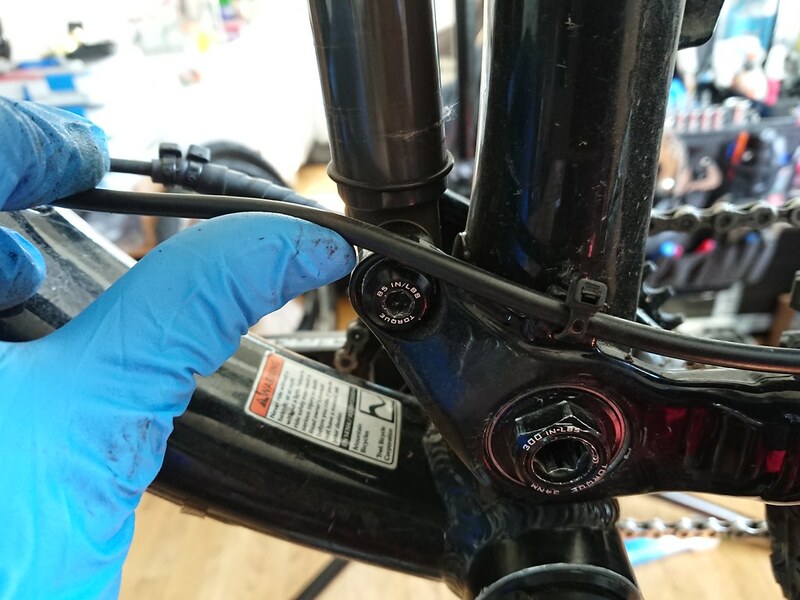 I Did an inspection on the rear dérailleur, I checked all the adjustment screws I took off the cage and did a service, the cage was bent, So I straightened it, but the shifting issues were still present. 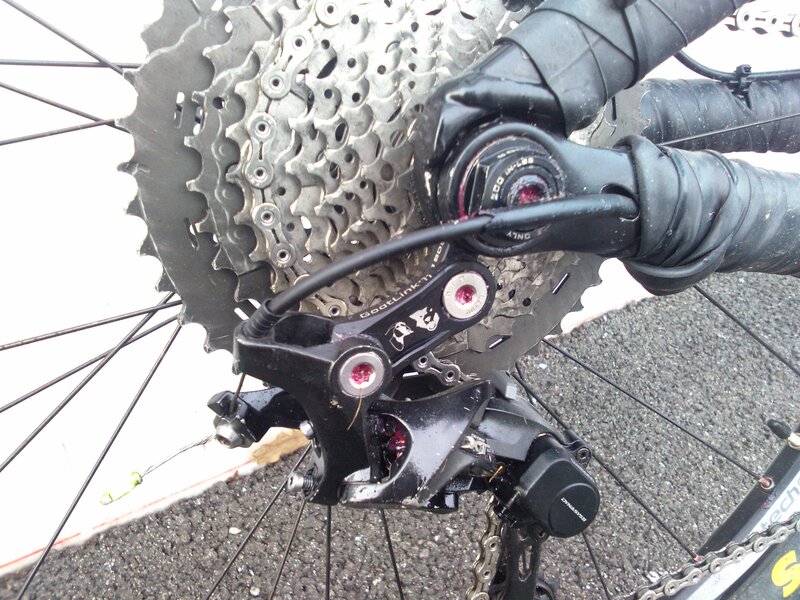 So I checked them, but then I checked for play, the rear dérailleur had huge play, so it was definitely the play. 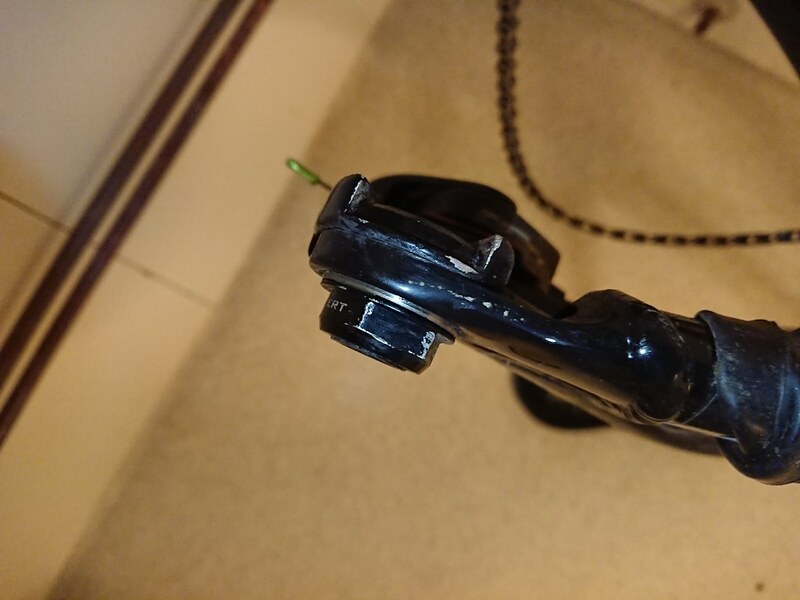 causing issues. 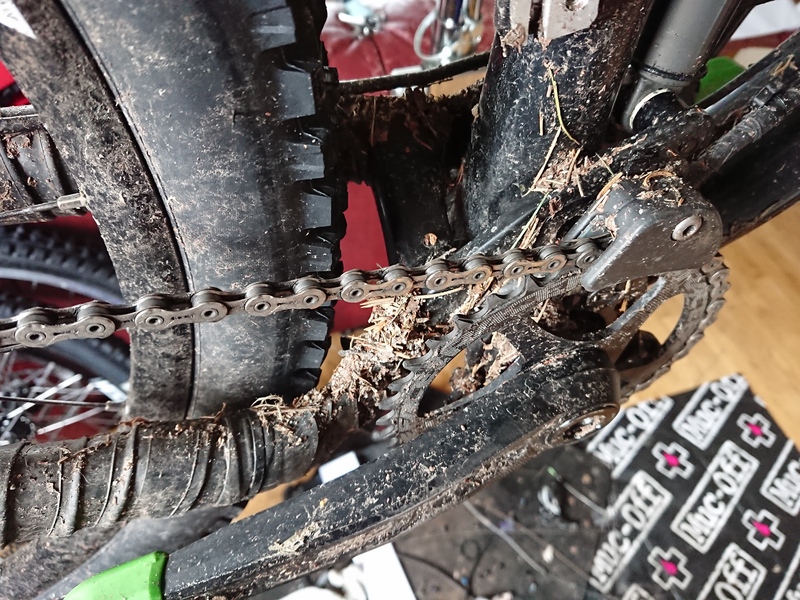 but I straightened it, but after few days of riding, I noticed shifting issues, So I checked the all the adjustment screws, but then I checked for play, the rear dérailleur had huge play, so it was definitely the play. 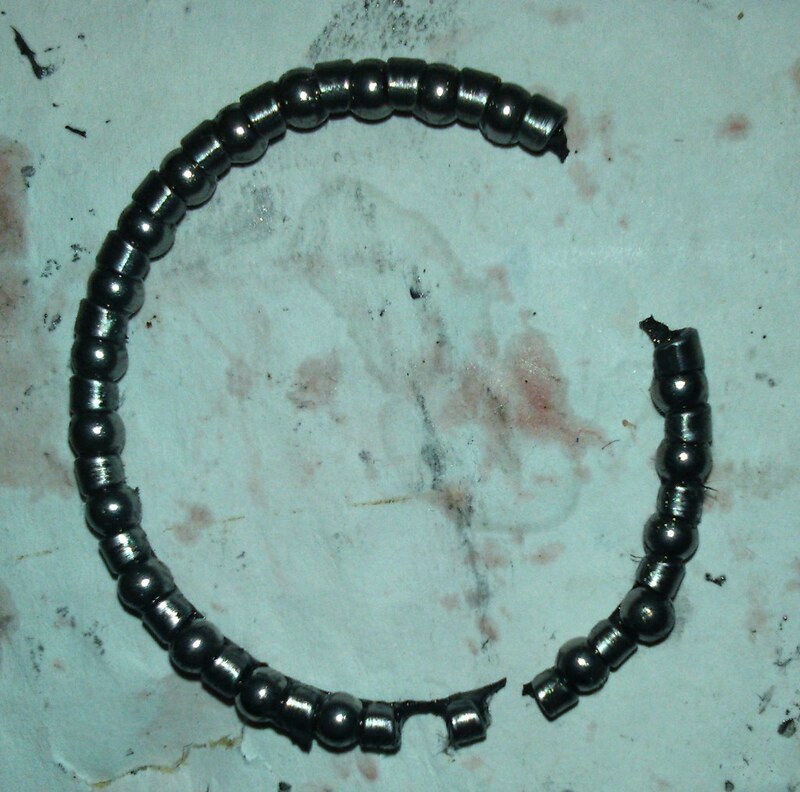 causing issues. 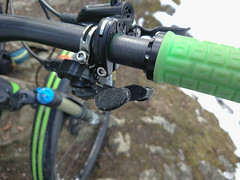 after riding few weeks with, there was just too much play to do up-shifts, the play caused the Rd to hesitate on shifts. The plastic cover took some abuse, but it held up well. 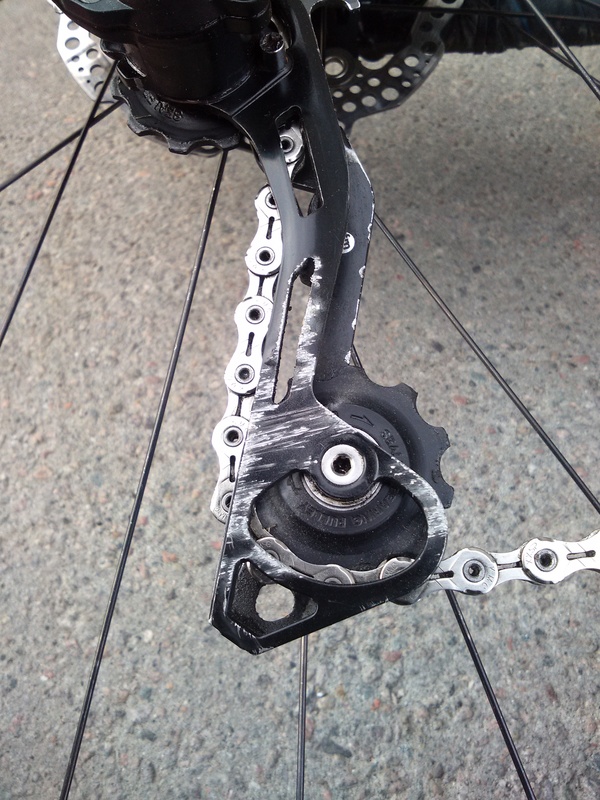 This is the most abused rear dérailleur so of mine so far. 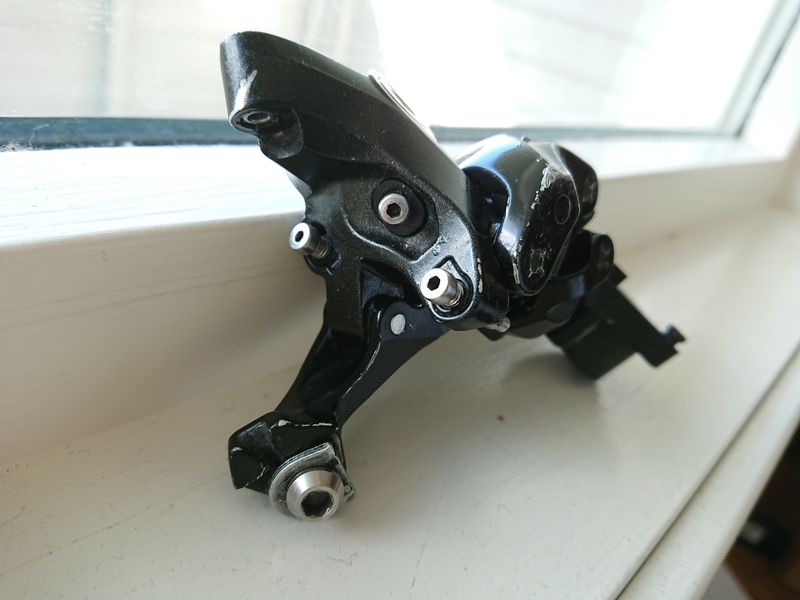 SLX M675 comes with bad jockey wheels, but you can upgrade to proper jockey wheels, the problem with the stock jockey wheels is that the that the jockey wheel and the metal ring grind against with other and cause damage to the jockey wheel which causes it to not spin smoothly. 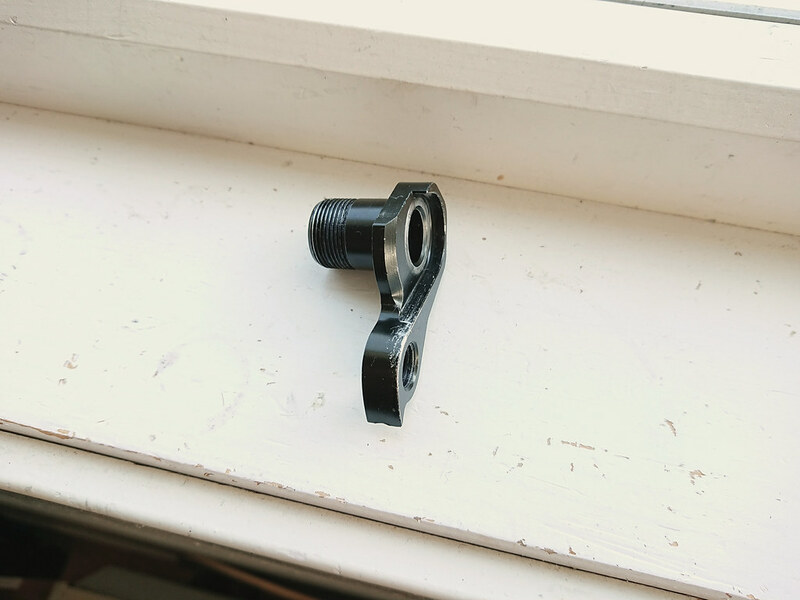 Even upgrading to XT jockey wheels which work better, they are not that great, Hope has better spacers, they are Labyrinth style spacers, so the bearings are more protected against contaminants. 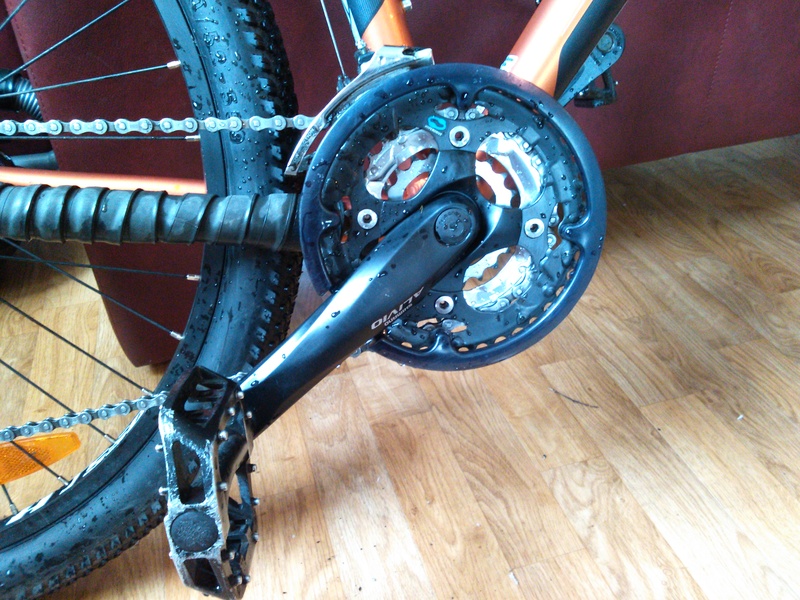 I recommend upgrading to Hope jockey wheels or similar, with proper bearings & proper cover. 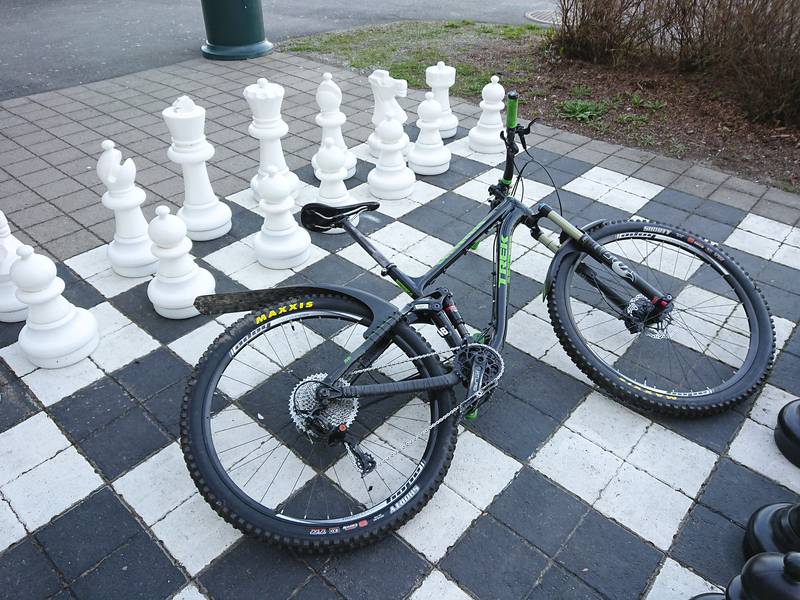 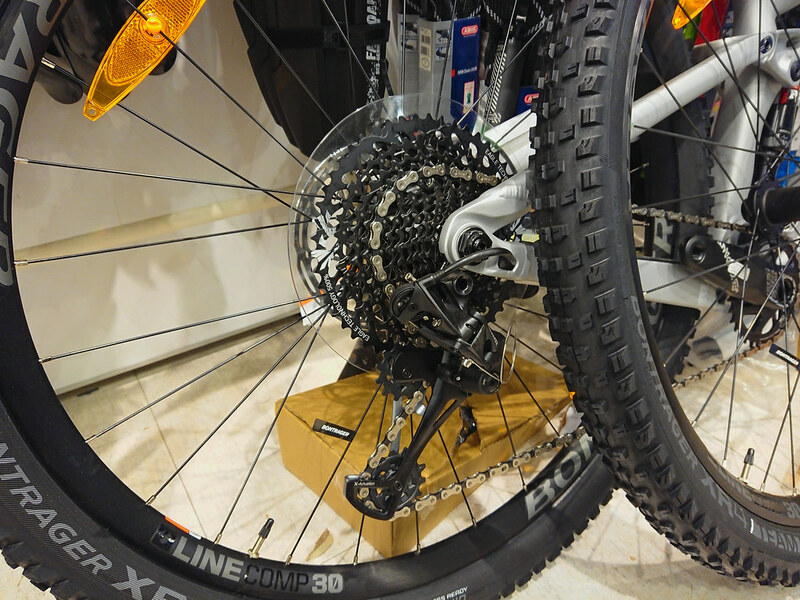 Using your 10 speed deore,slx,xt,xtr, rear dérailleur for 11 speed is possible, but it wont be as smooth. 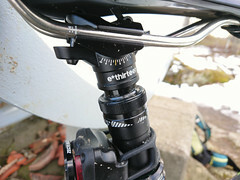 but of course to compare this you have to have exact same setup, which I had here. 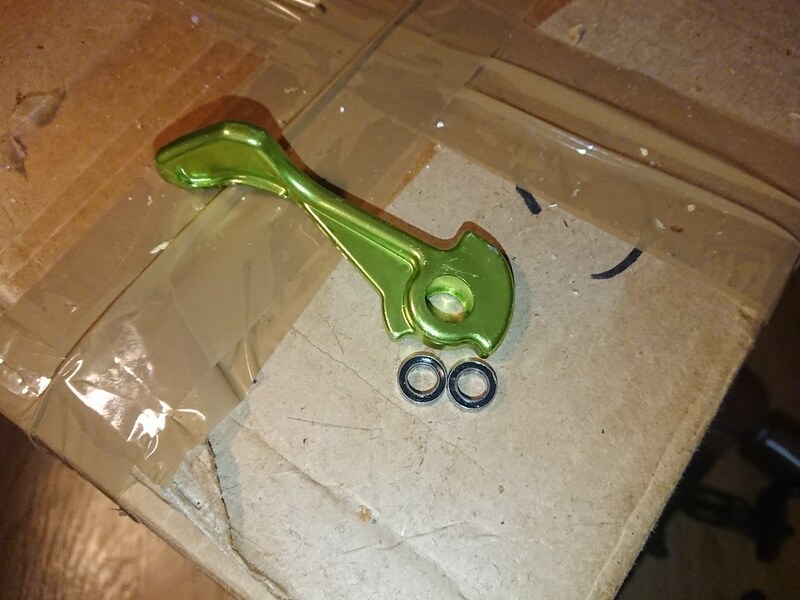 And of course The clutch tension must be properly adjusted & all other adjustments, I set mine up by decreasing tension until it the shifting performance was acceptable. 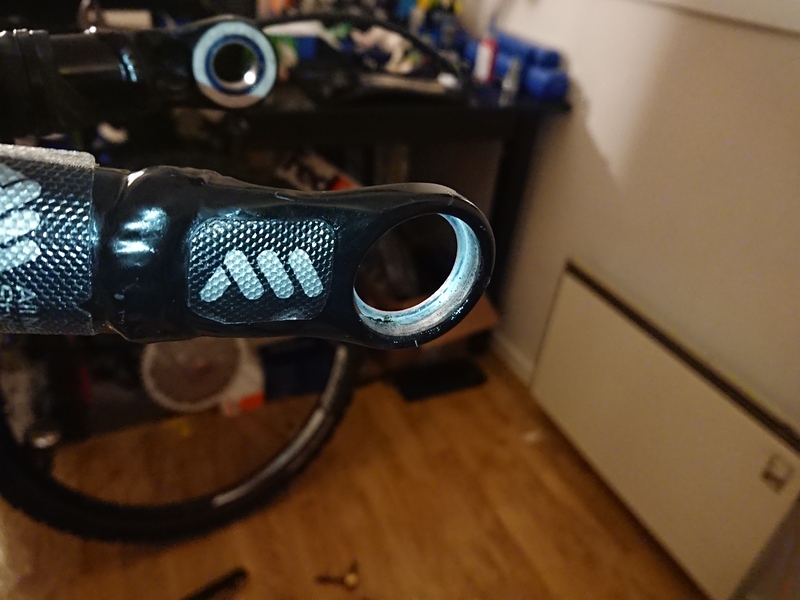 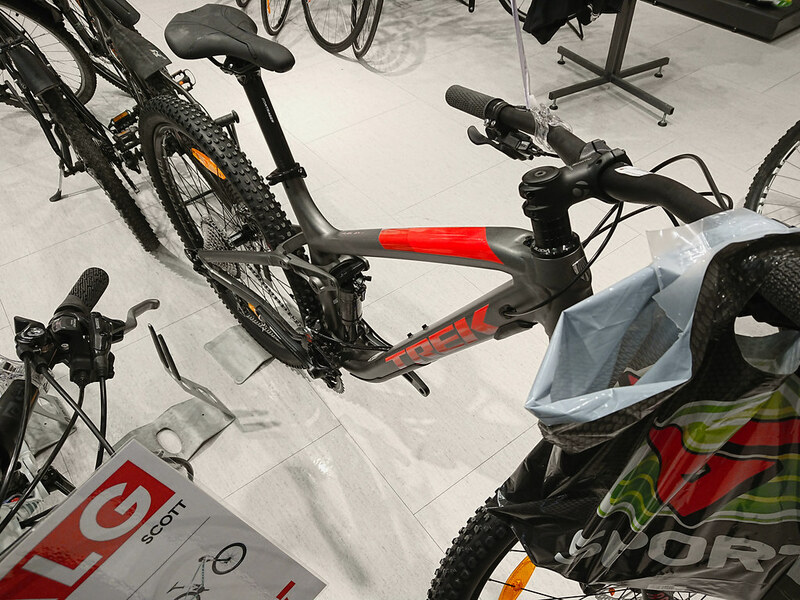 I recently rode the bike with SLX M675 few days and then the xt m8000 bike after wards and the performance is definitely noticeable. 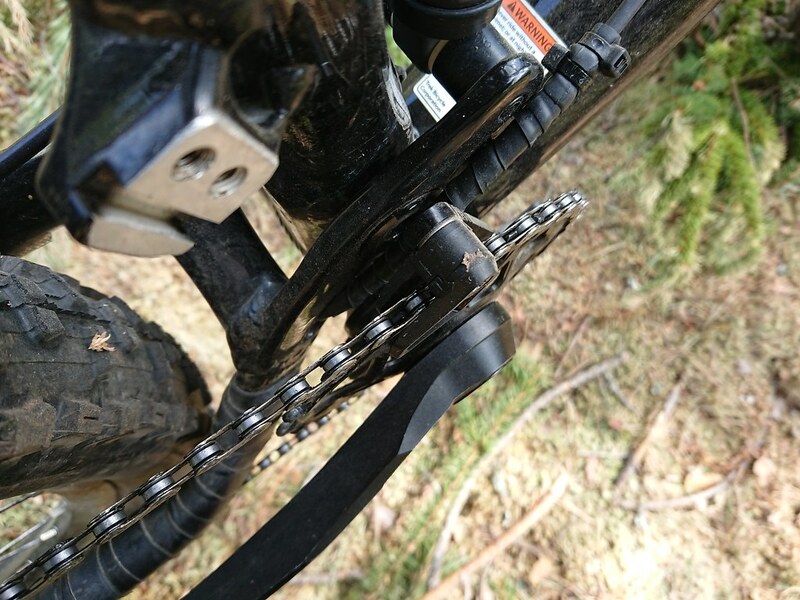 Even on 11-42T cassettes with stock links/without goat link, the difference was noticeable. 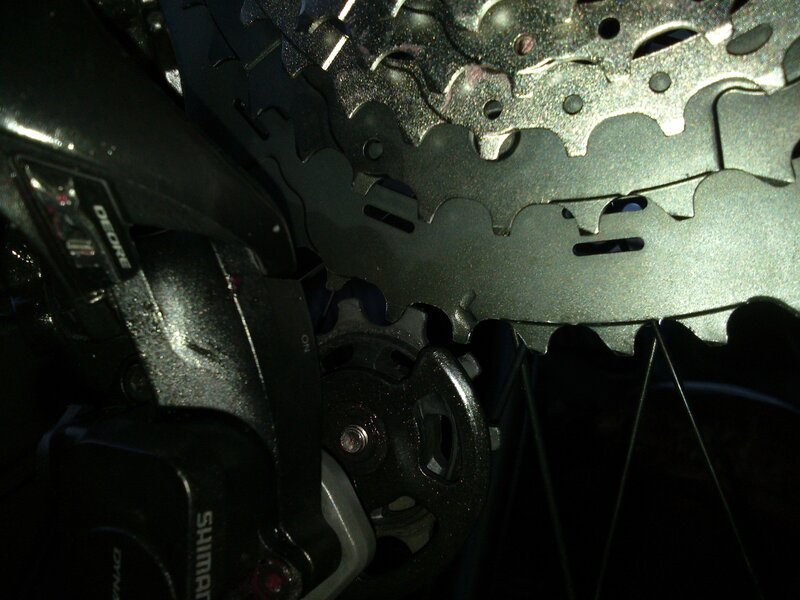 the difference was most noticeable in the lower gears/bigger cogs. 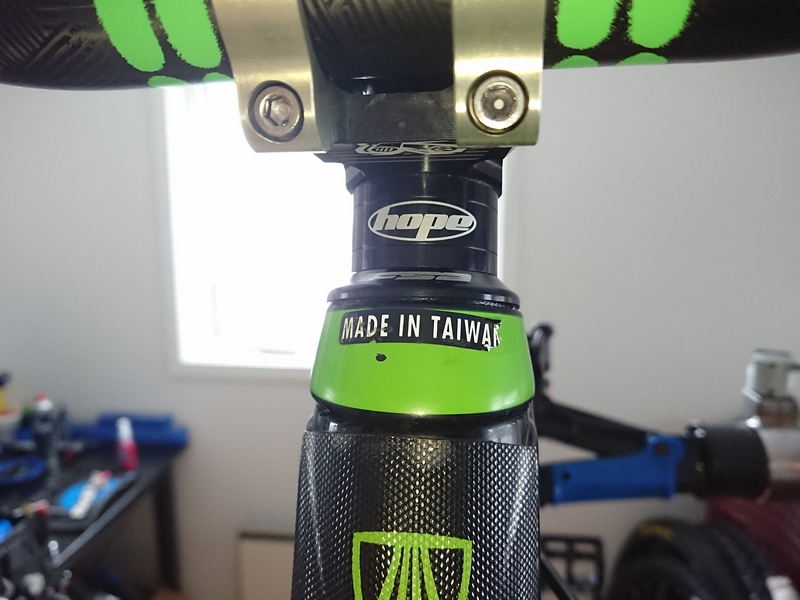 If went up and down much faster, and made less noise. 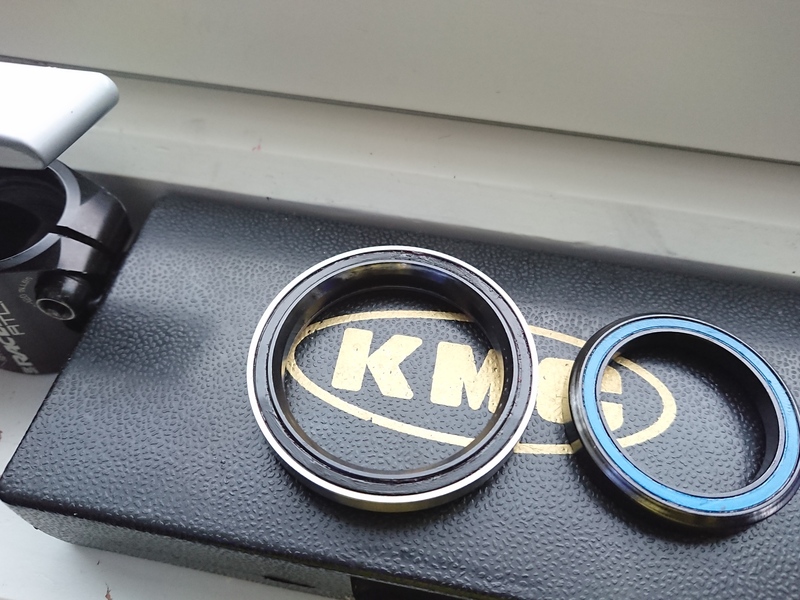 I used KMC 11X SL Silver on both setups. 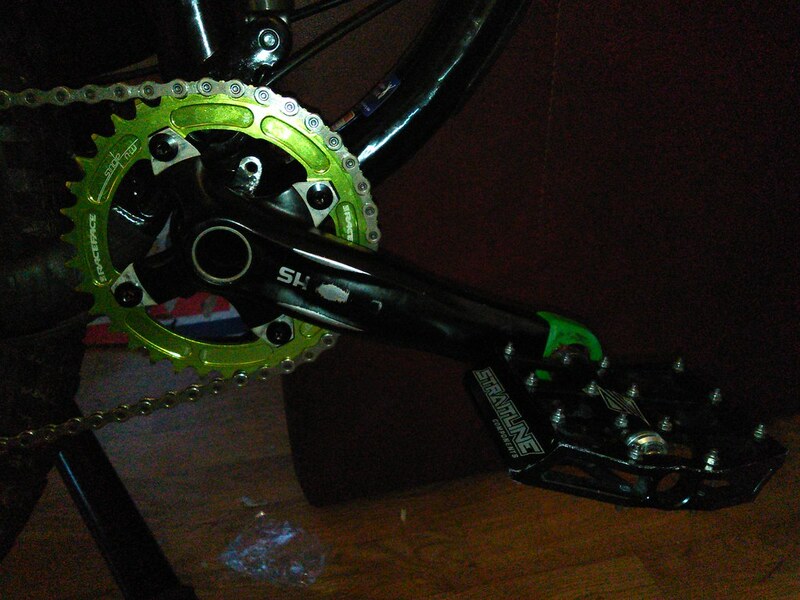 on my 2014 Fuel ex 7 29er I had to get a Goatlink to run 11-46T cassette possible. 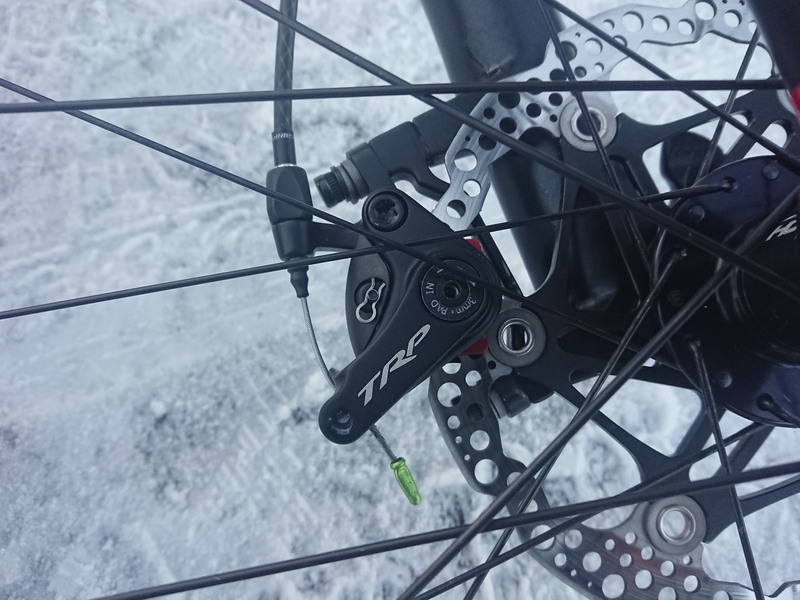 this picture shows the Rear dérailleur adjusted to the max,with a 1|1-46T XT m8000 cassette. 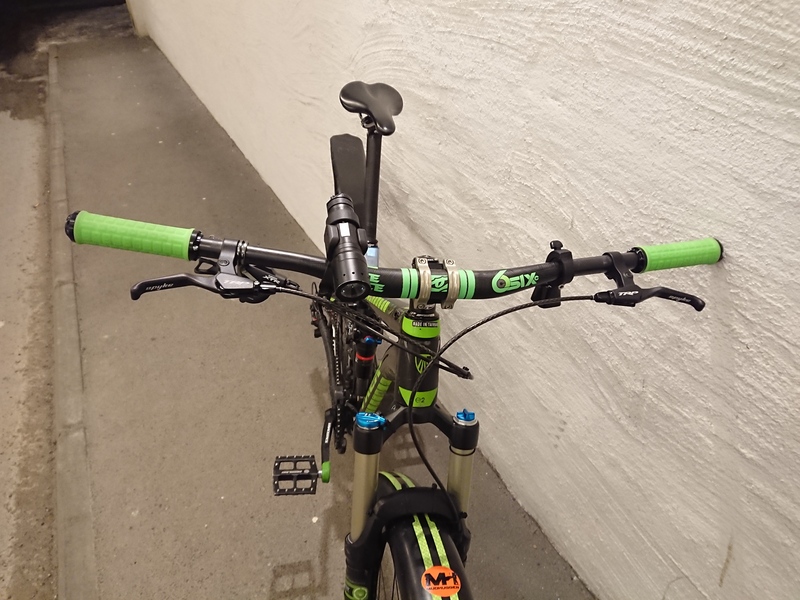 Is it absolutely necessary to upgrade? 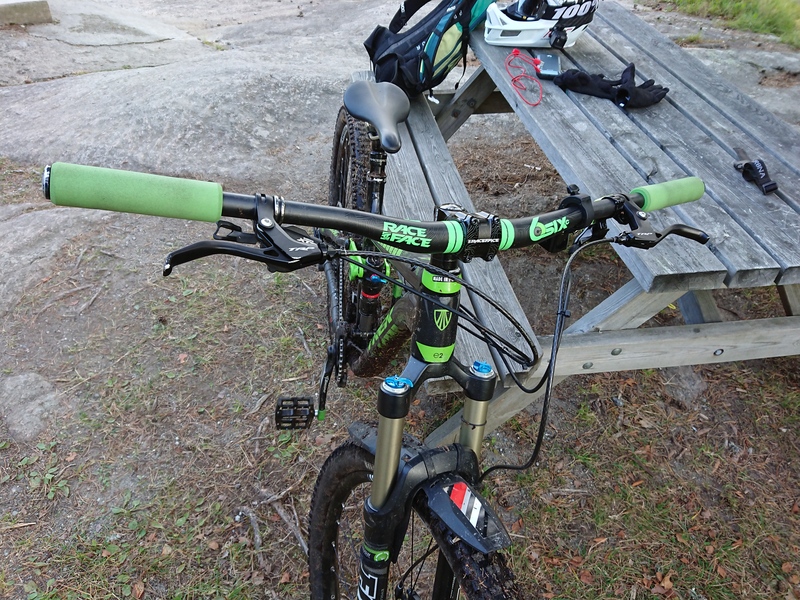 absolutely not,but on rougher trail it’s nice to have better shifting. 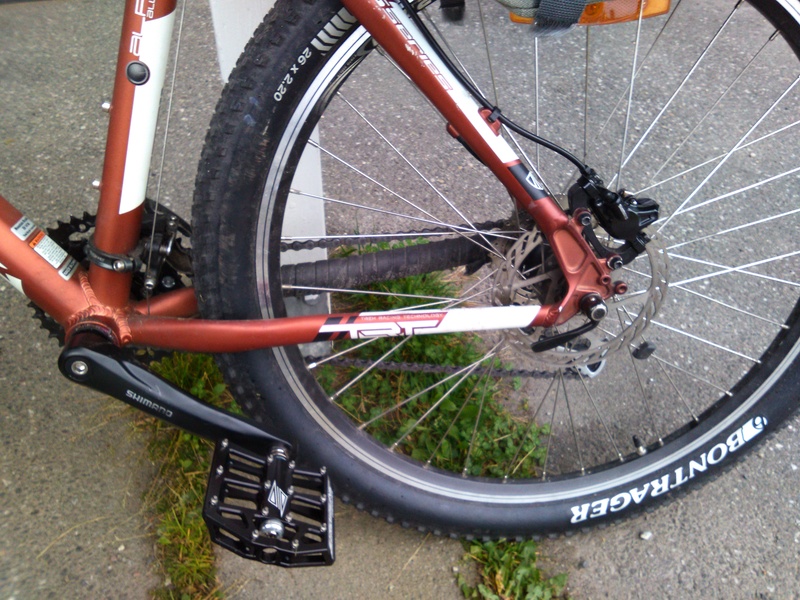 After few weeks of use of the XR3 Expert tyres, so I need new tyres so I purchased all the se4 tyres in stock. 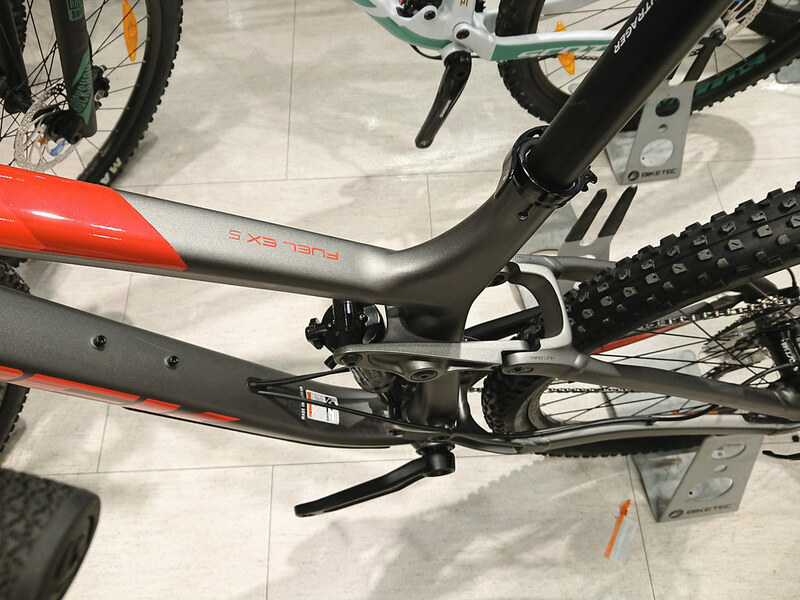 I did not abuse the tyres, I rode singletrack & some stairs.I do not mind the weight of these tyres because of the durability. 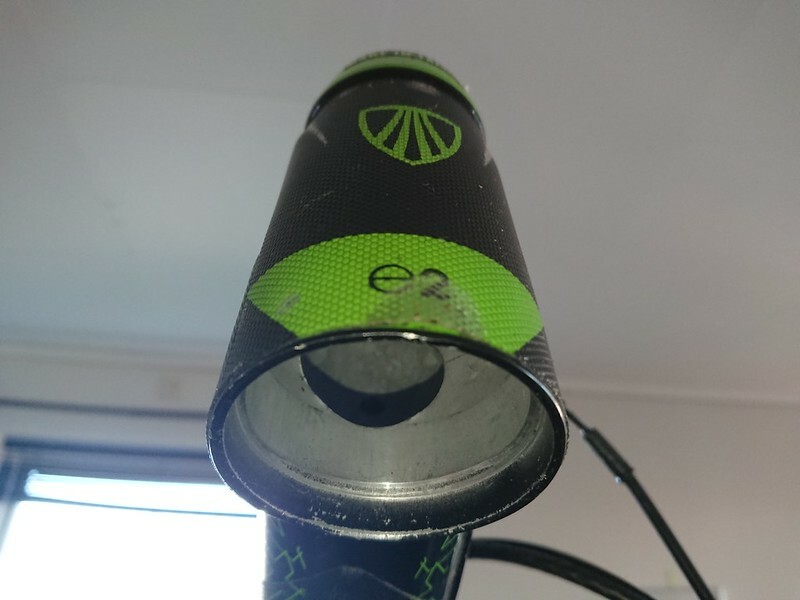 After using the 2015 Bontrager SE4 Team Issue 29×2.3 for the 2015 season, I tried Maxxis High roller 2 3C Maxx Terra EXO TR 2.3 the 2016 season, which are much better tyres in my opinion, so I needed to update you on this. 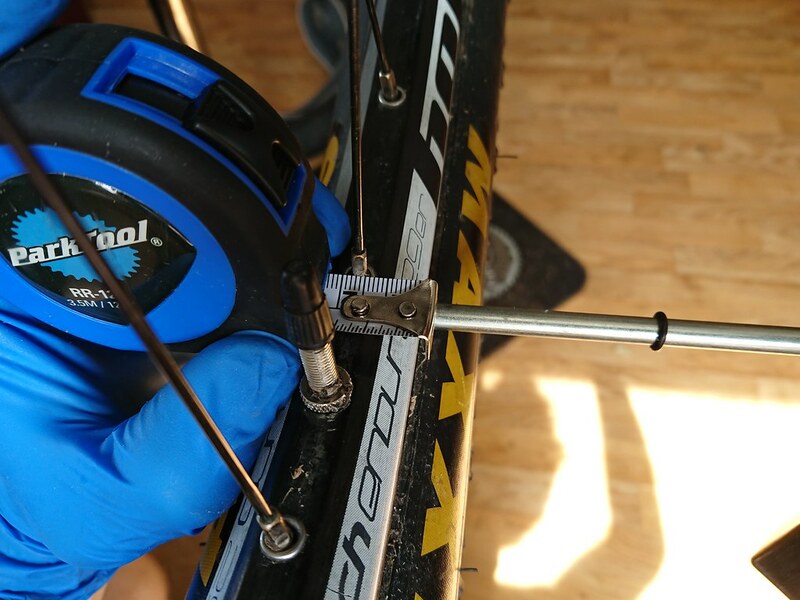 No twisting when running 25 psi. 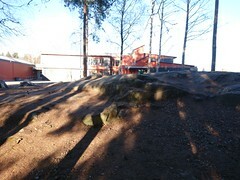 Takes rock gardens pretty well, no cuts yet. 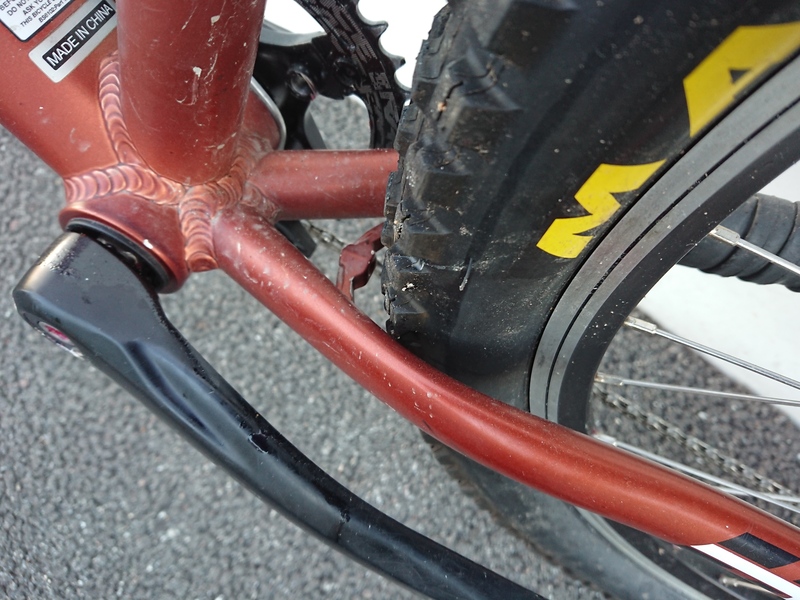 As you can see the side knobs are pretty close, that’s why this tyre corners so fast. 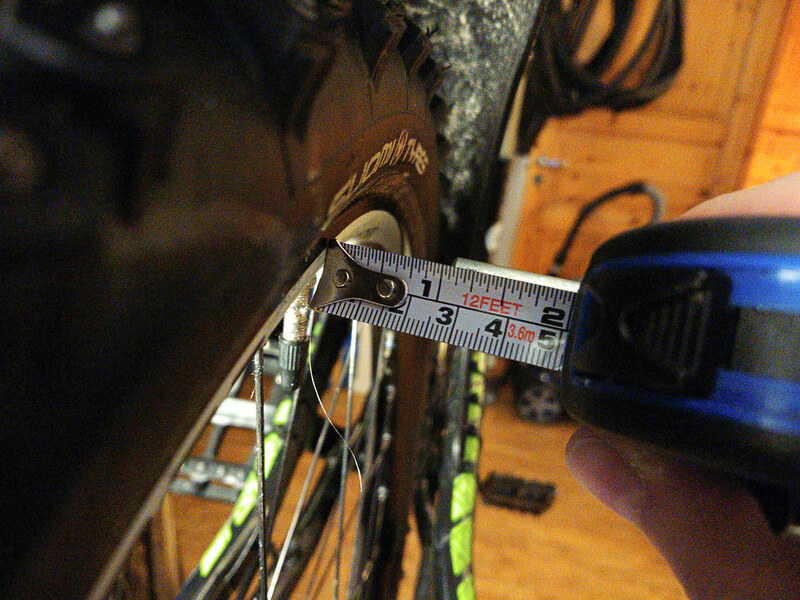 heavy at 1010 grams for one tyre its quite heavy, but the higher weight is unavoidable with thicker s, stronger tyres. 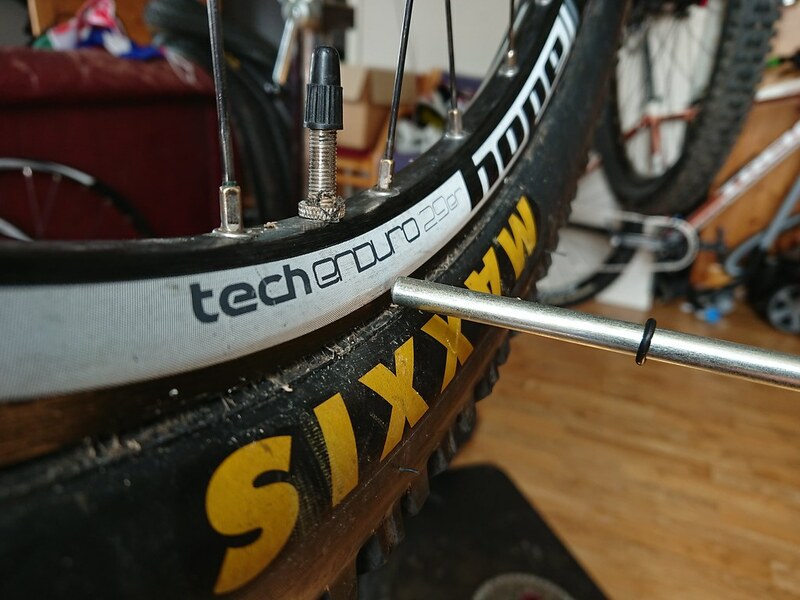 The Se4 tyre is way too hard which result in the tyre washing out/sliding out on hard packed dirt or loose dirt, The tyre does not compress and form to the surface enough. 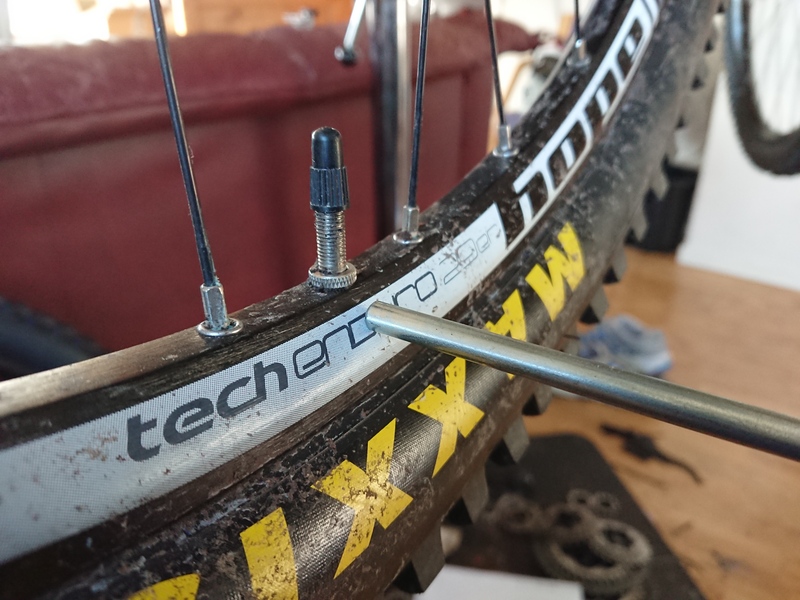 I had these tyres on my spare bike, but iI swapped wheels from my spare bike over from my main bike and taken a ride the local trails with the Bontrager Se4 tyres the rear i crashed which I have never done on the trusty Maxxis High roller 2 3C Maxx Terra EXO TR 2.3. 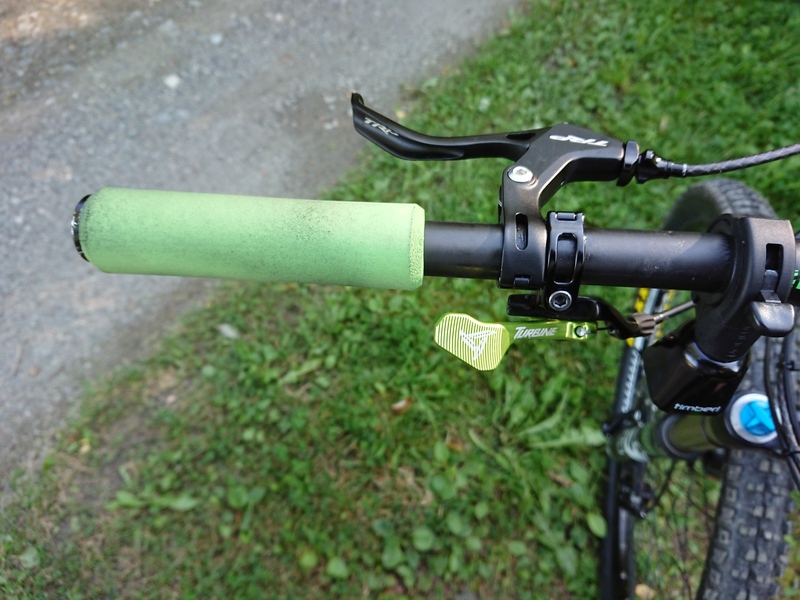 I have not had any issues when riding on the pavement or asphalt road, but I haven’t ridden down o’clock turn on asphalt, so I can’t Tell you about it. 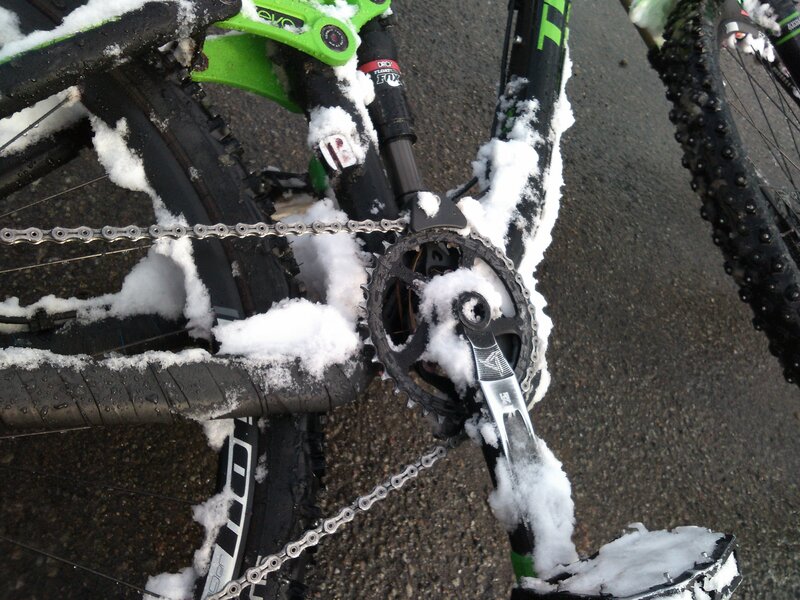 Not so good on common variable trail conditions. 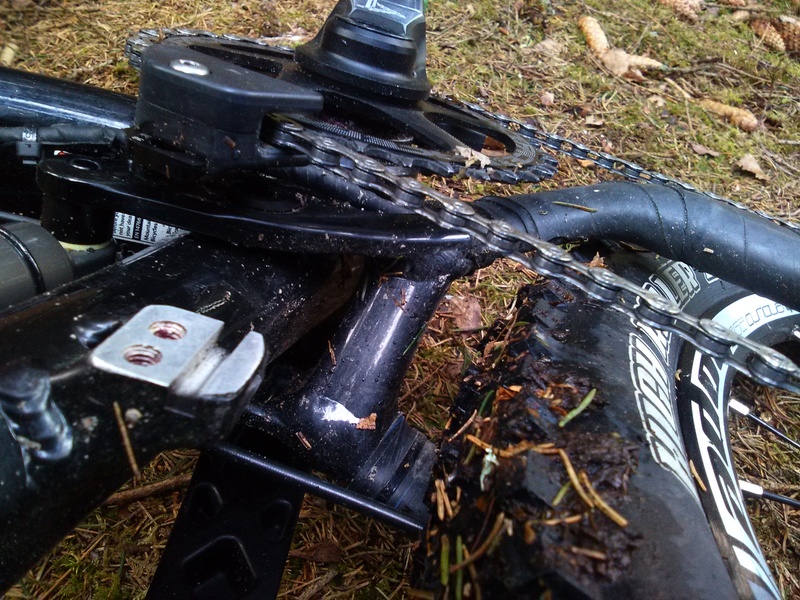 mountain biking, I recommend getting a tyre with better cornering grip, and stickier rubber for better grip, I now use Maxxis HighRoller 2’s and I have never looked back. 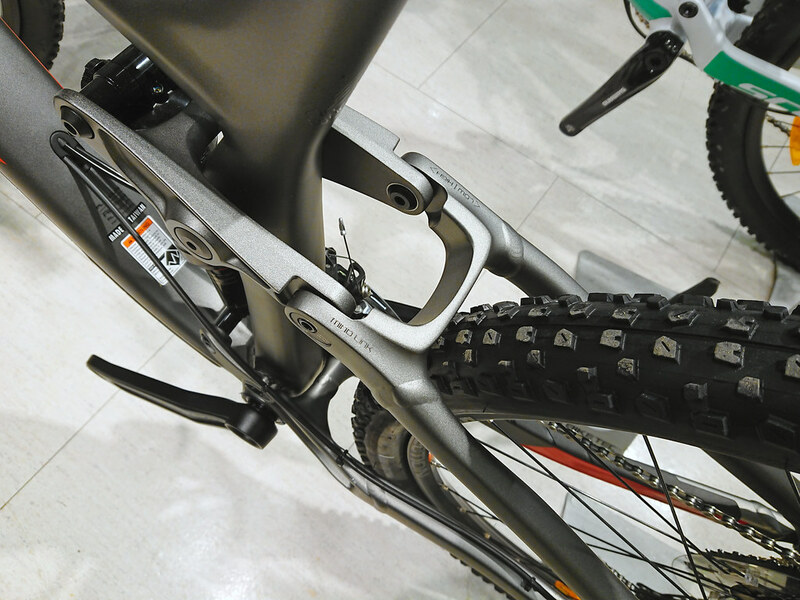 Maxxis HighRoller 2 is as durable and got a much softer compound. 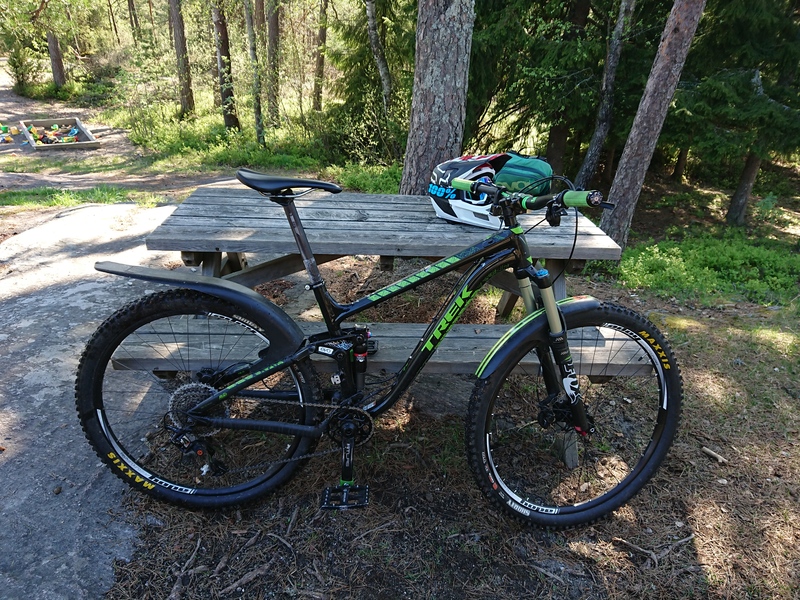 For me the Maxxis HighRoller 2, offer a better package, even it does not turn as fast, but for me it’s perfect, sacrifice, the result is an excellent overall experience.